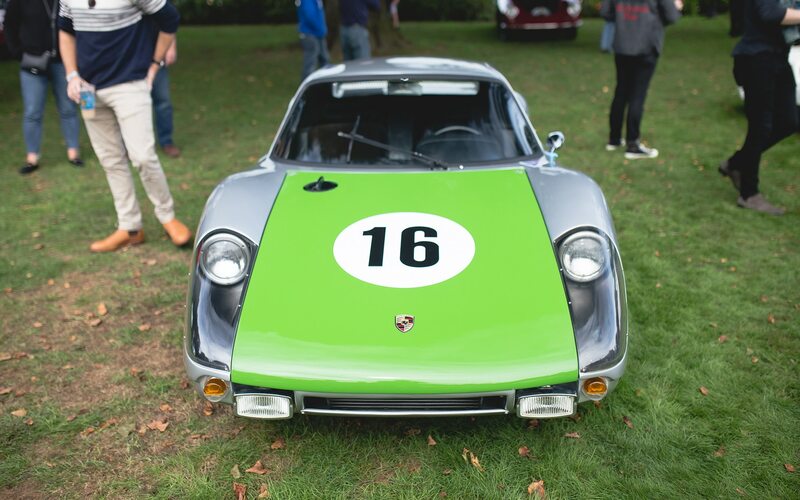 OLD WESTBURY, New York – As autumn rolls around, it’s typically the annual cue for vibrant foliage, cool crisp air, and pumpkin spice lattes. 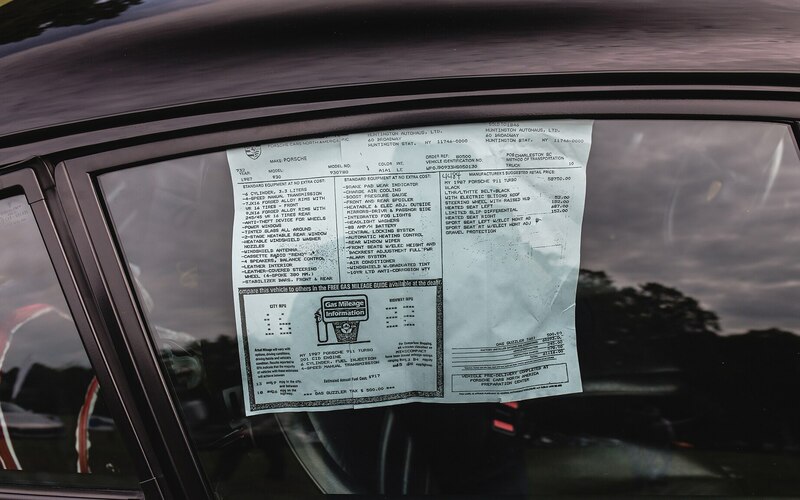 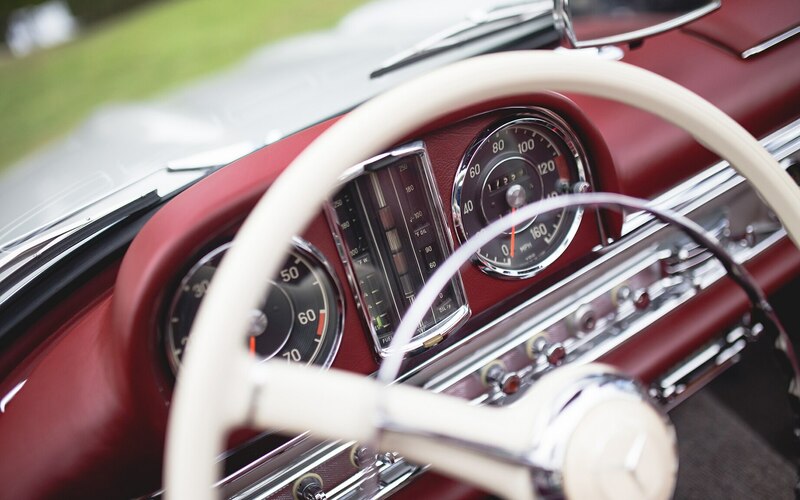 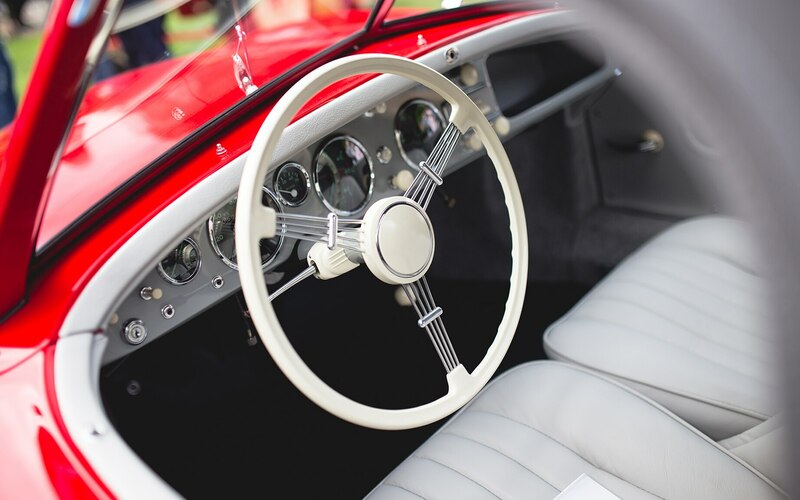 For those in the upper half of the country, it’s also a last-call for vintage automobiles to clock in some miles on the odometer before heading into dormancy from old-man winter. 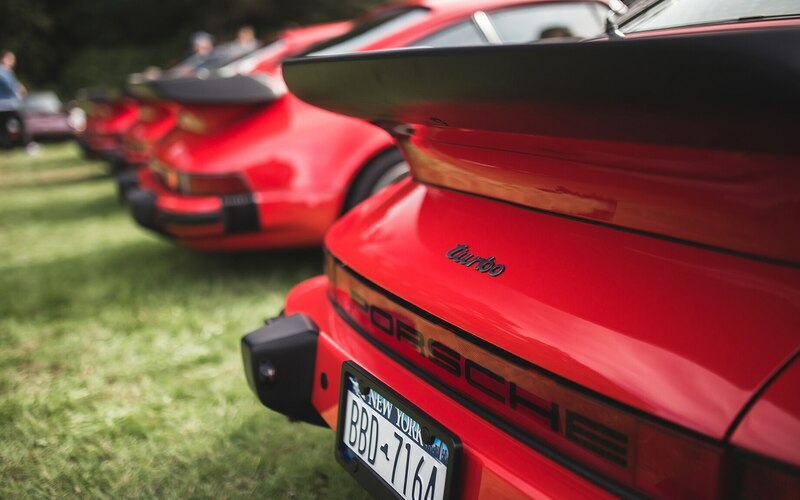 And for some, there’s even less of a chance of overheating thanks to cooler ambient temperatures. 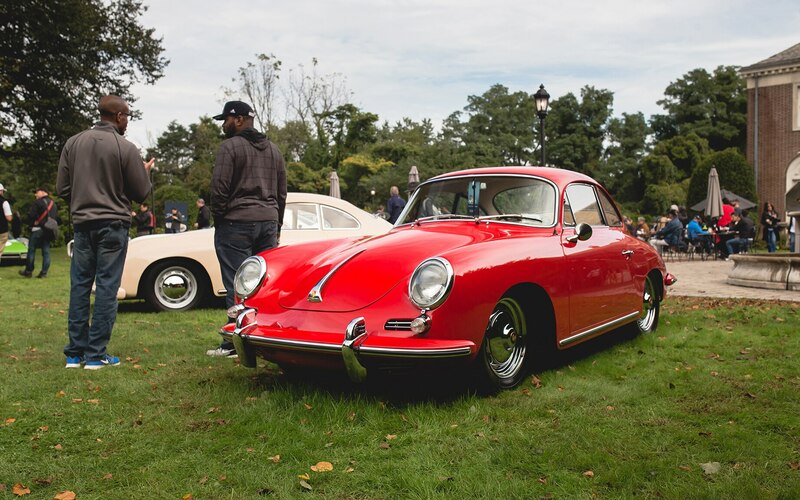 Taking advantage of the last of this year’s good weather in the Northeast was the second annual Driven to America car show in New York. 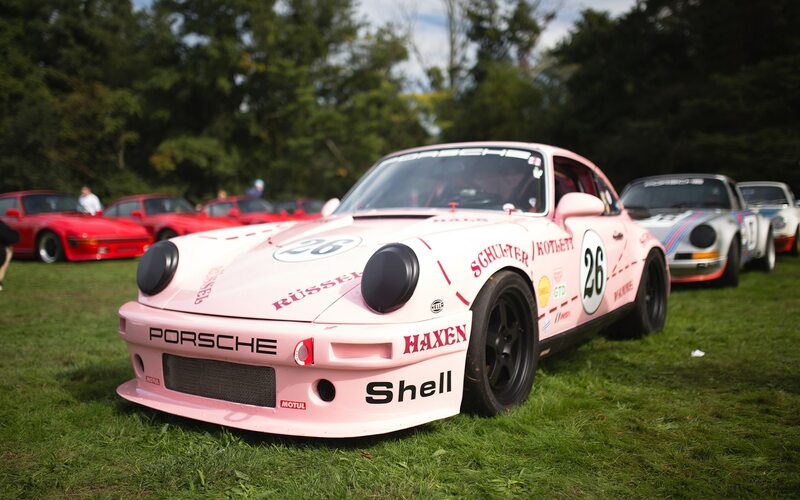 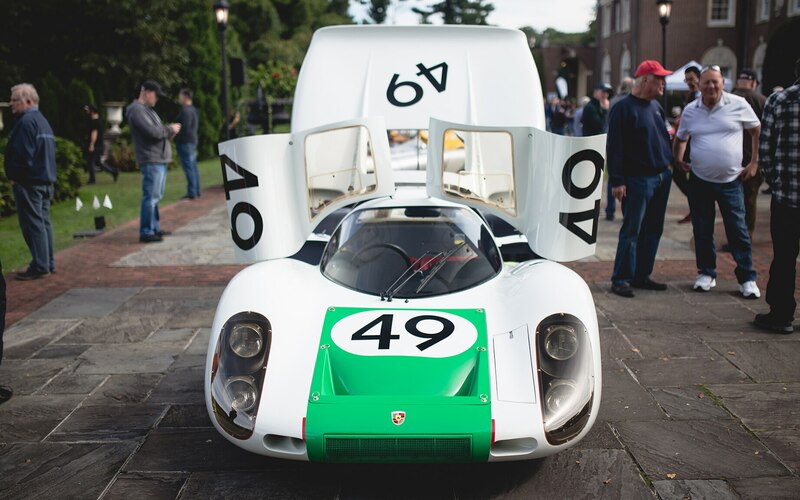 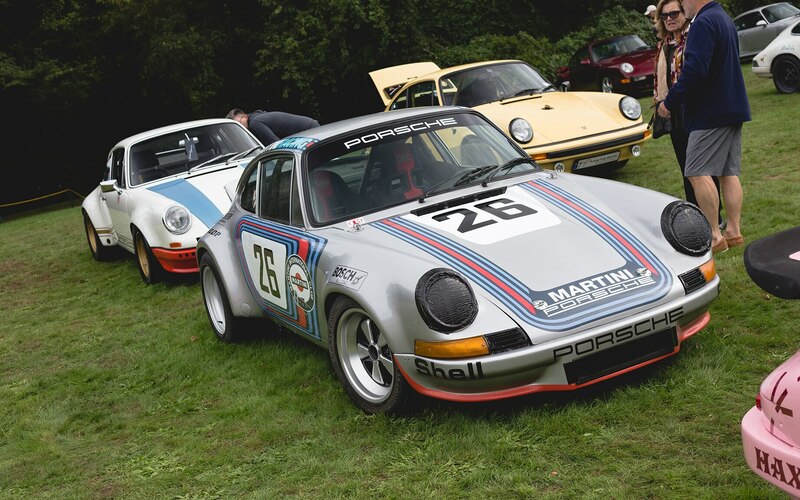 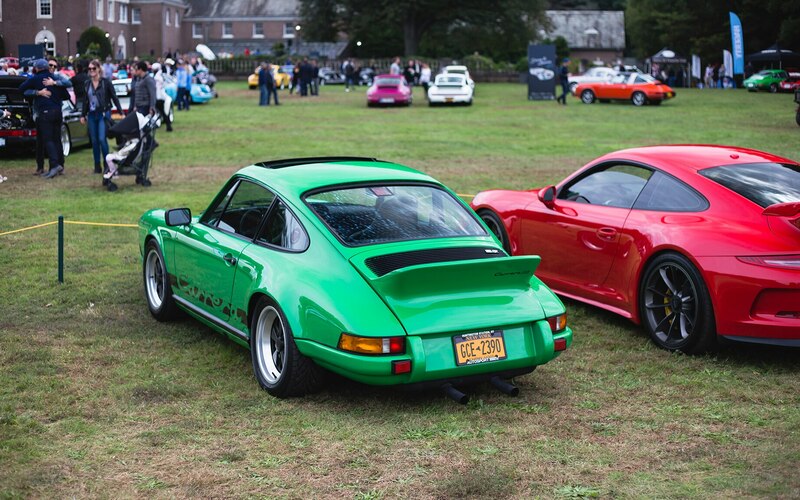 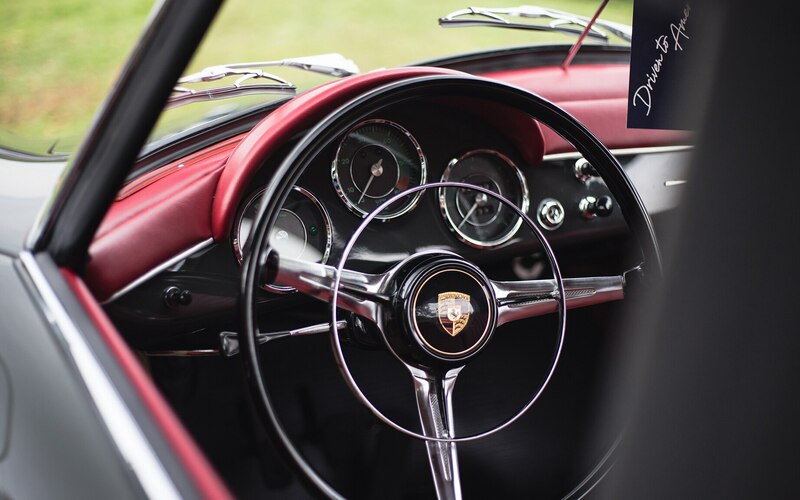 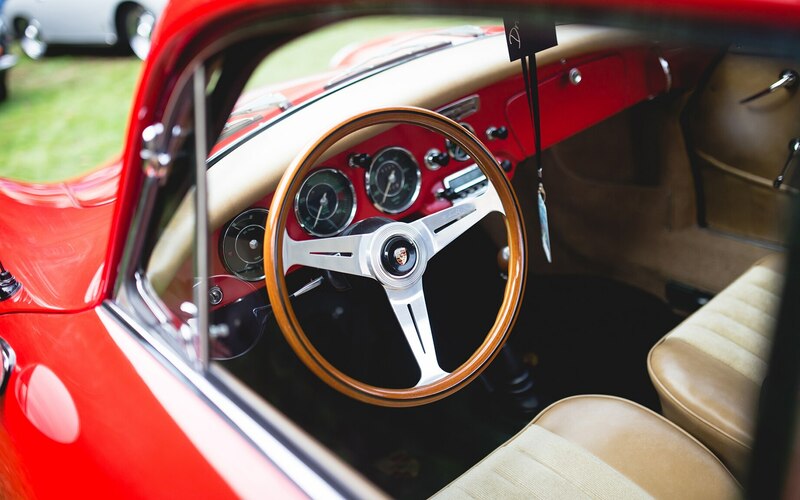 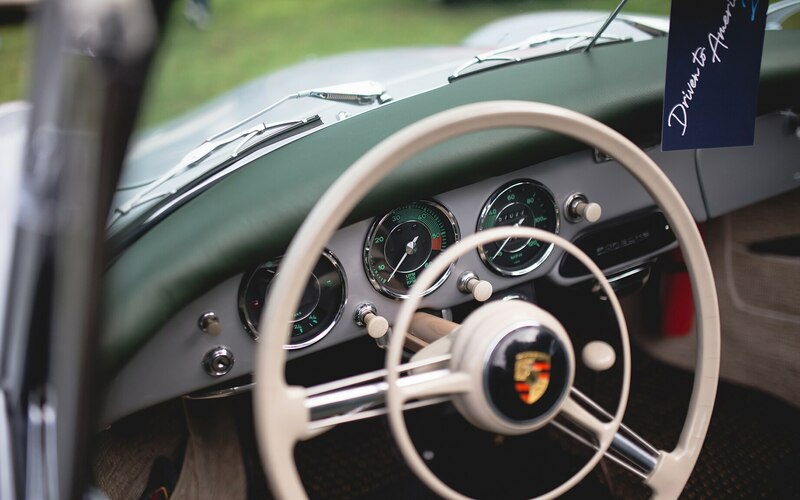 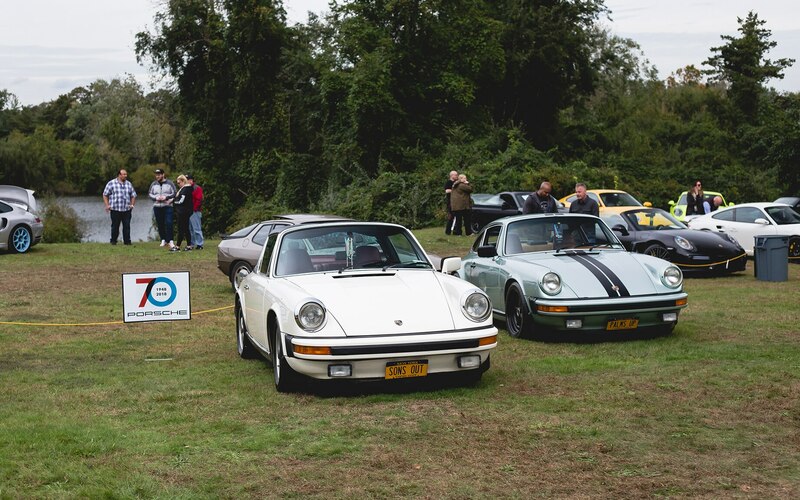 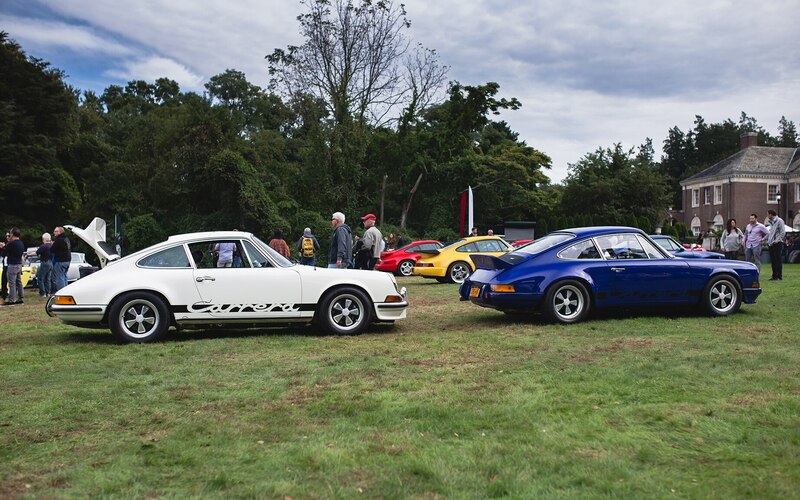 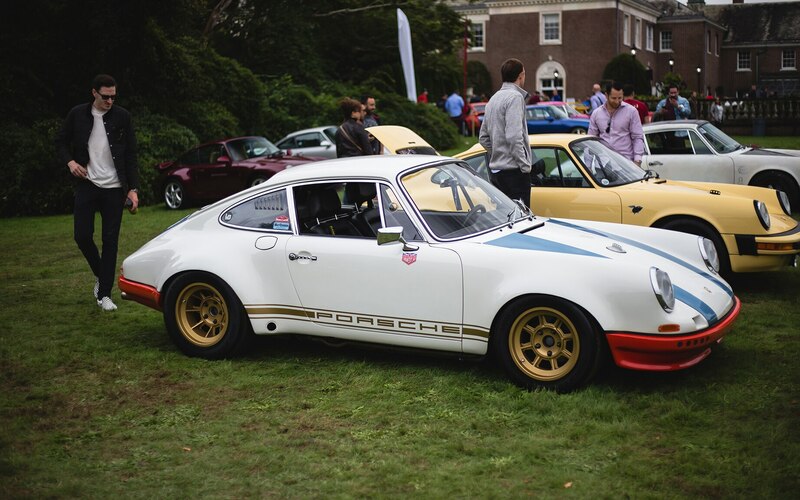 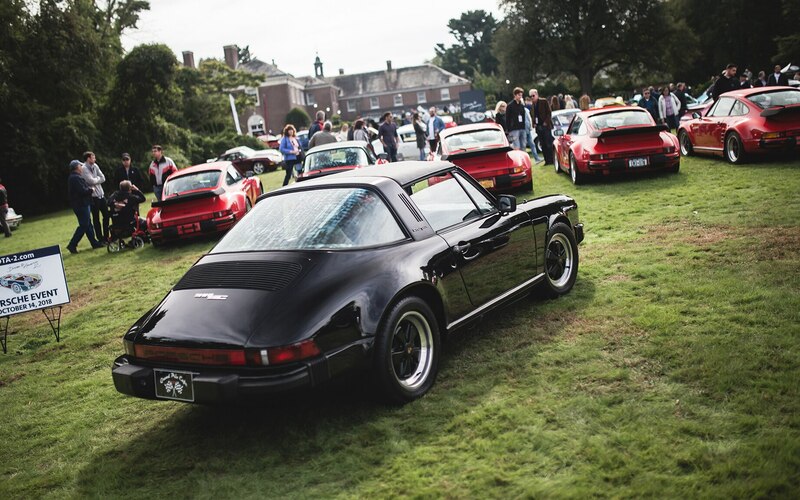 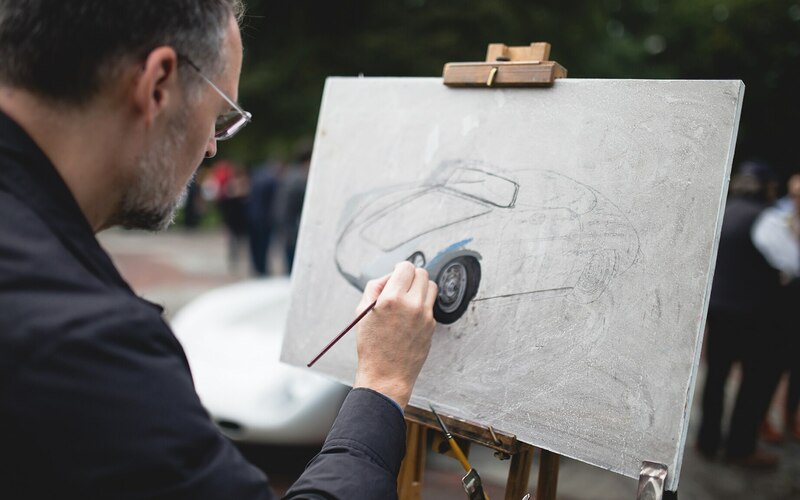 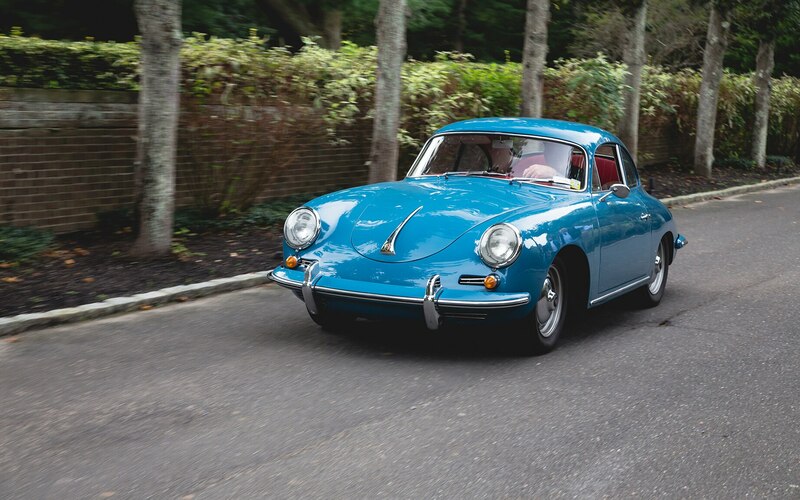 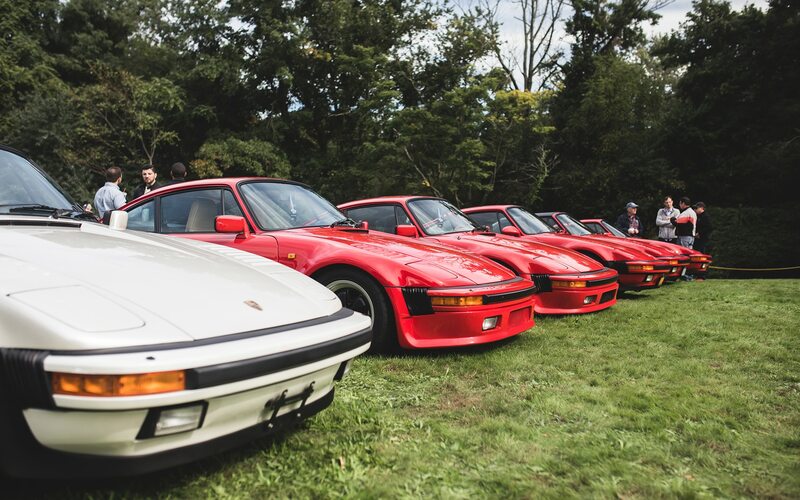 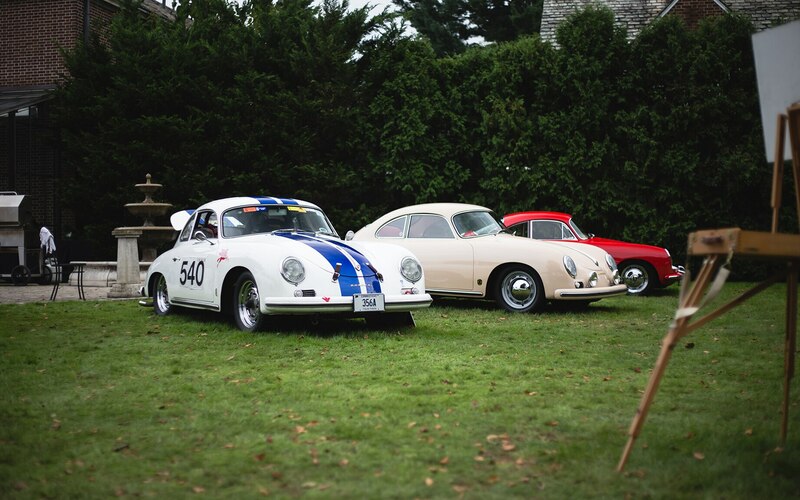 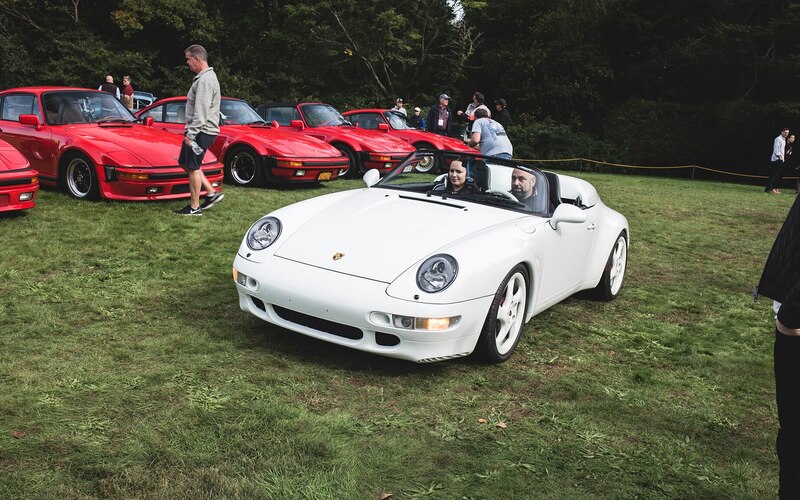 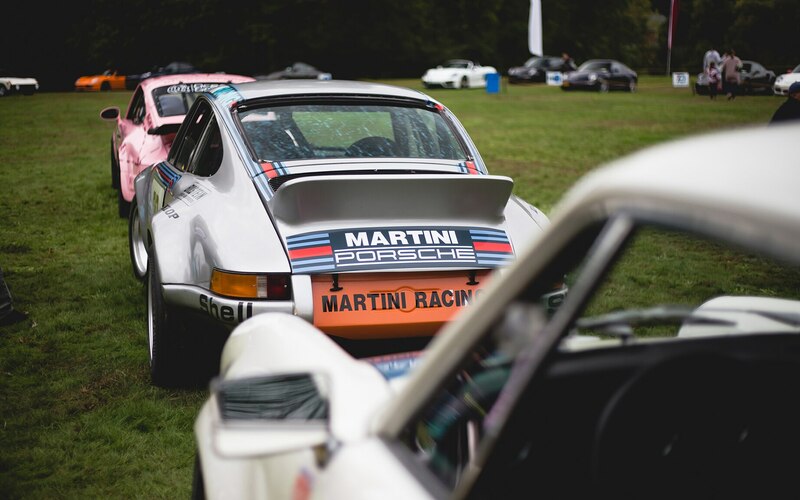 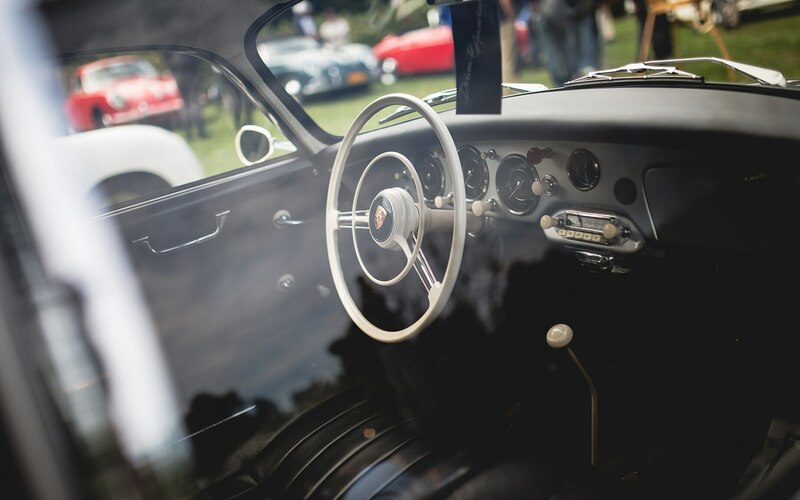 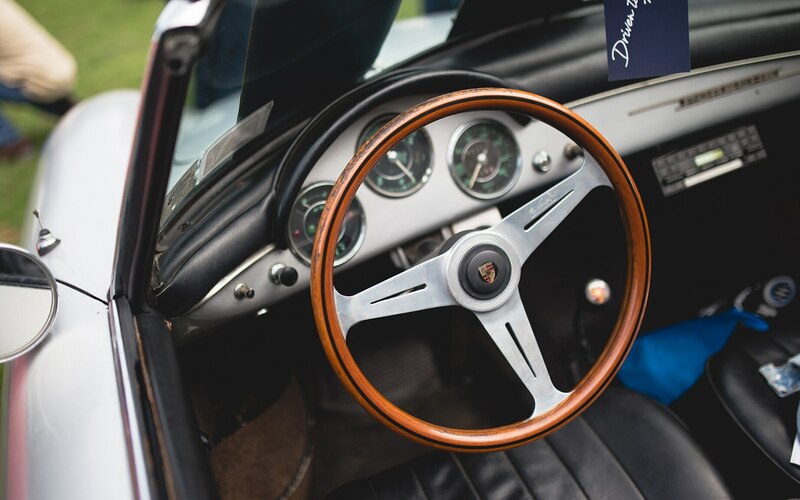 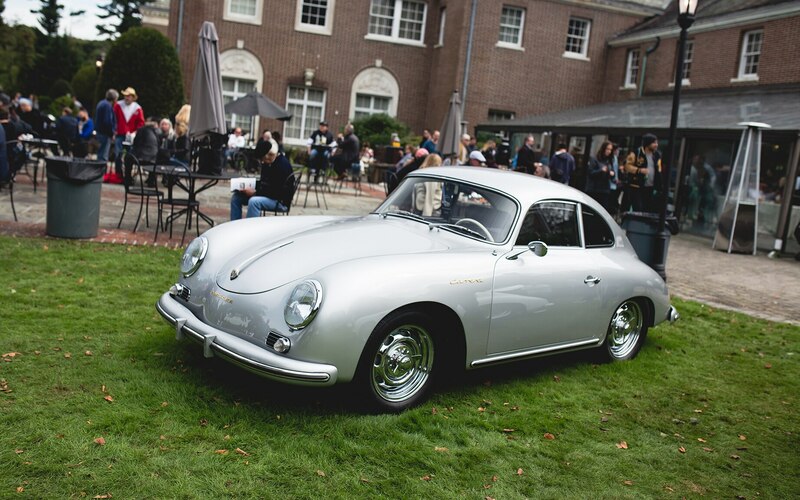 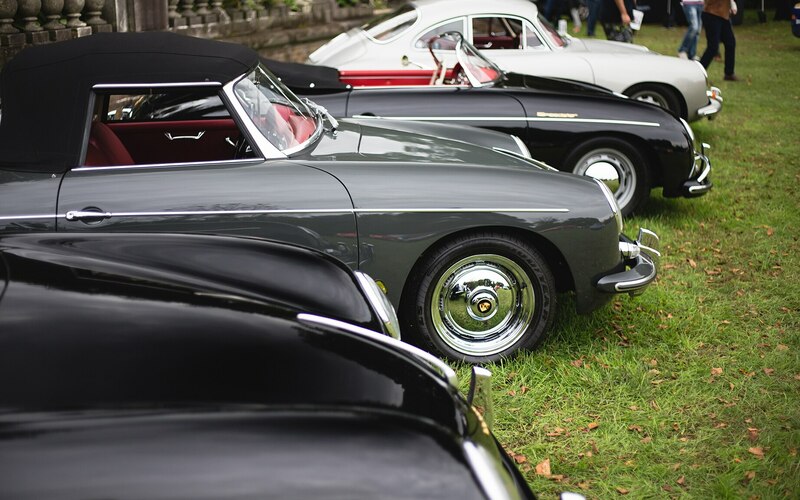 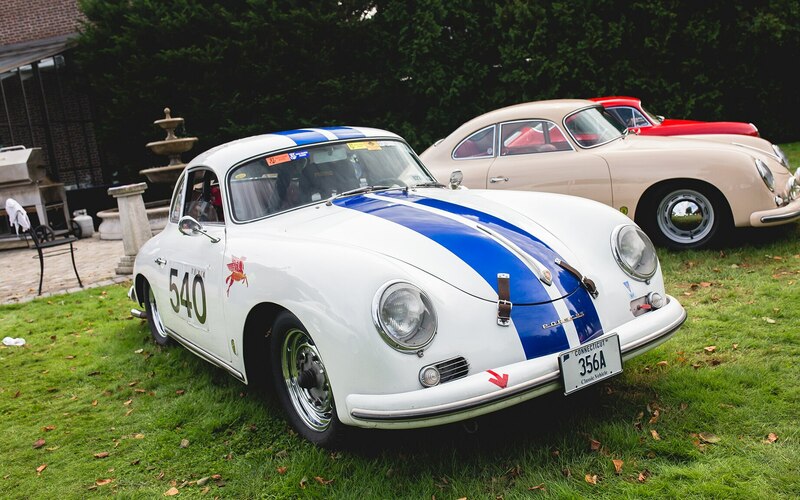 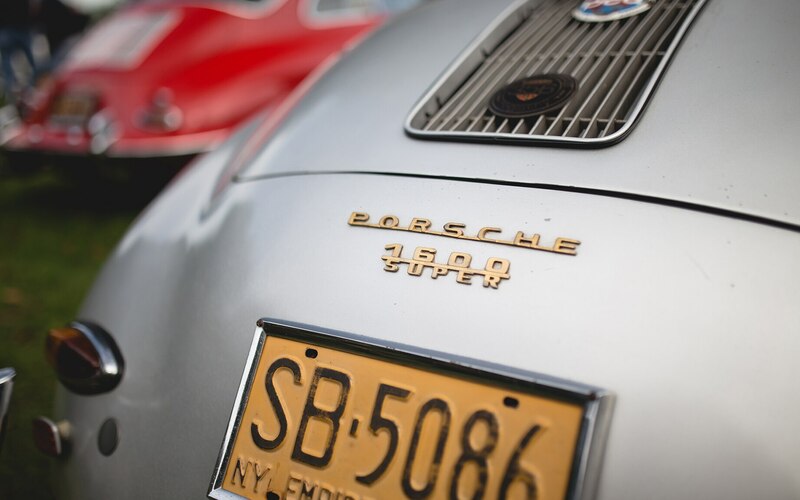 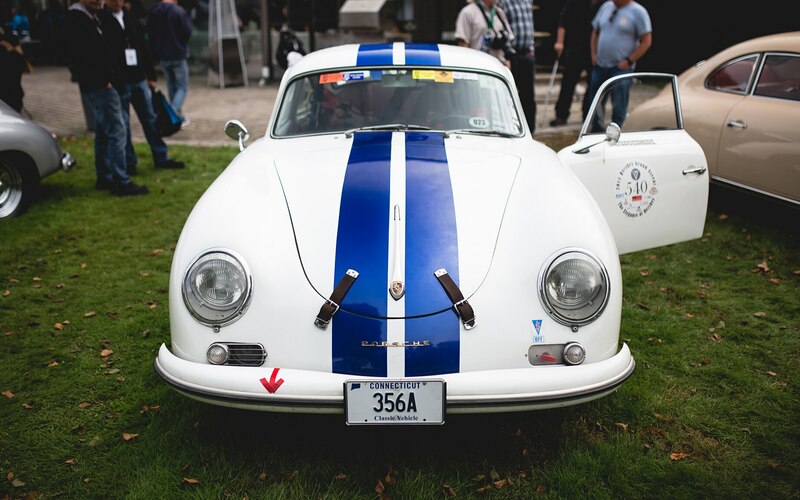 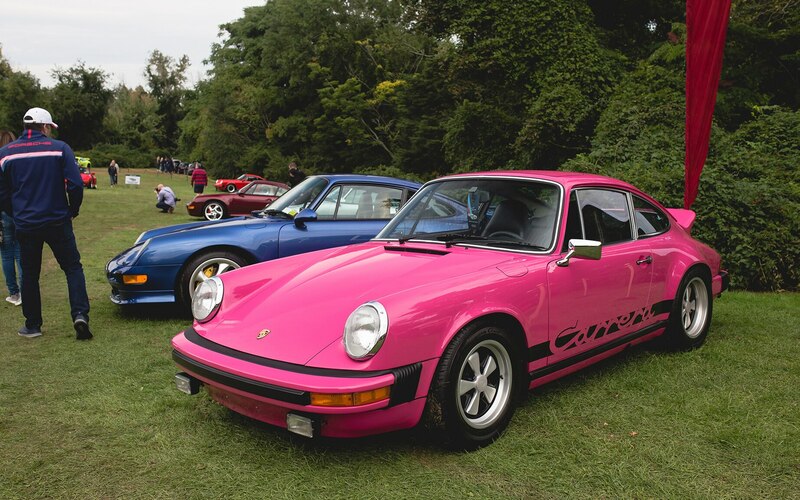 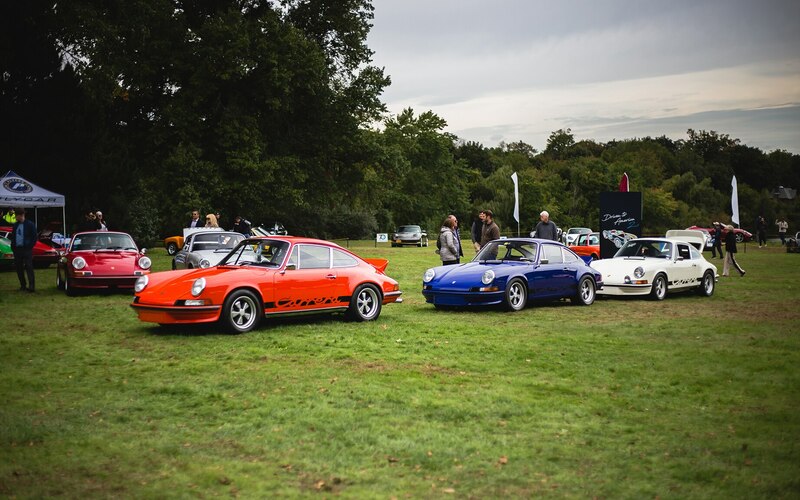 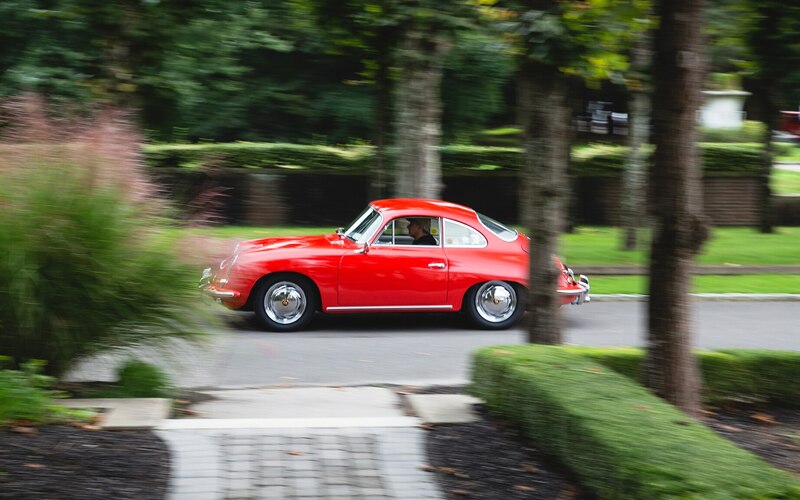 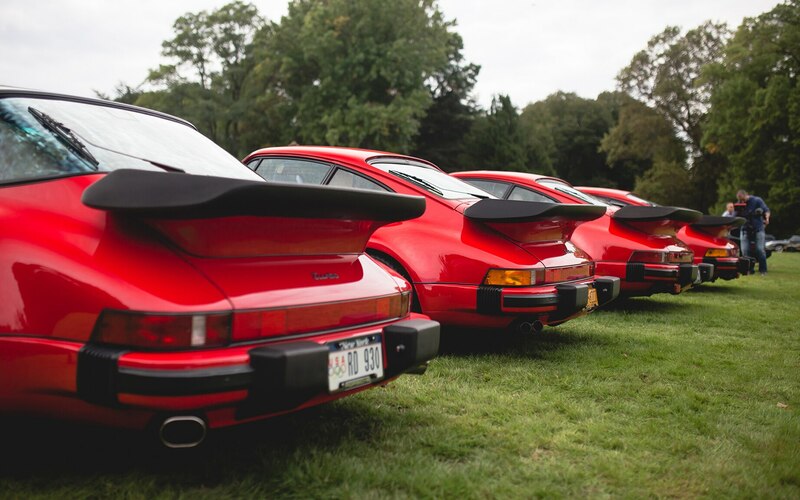 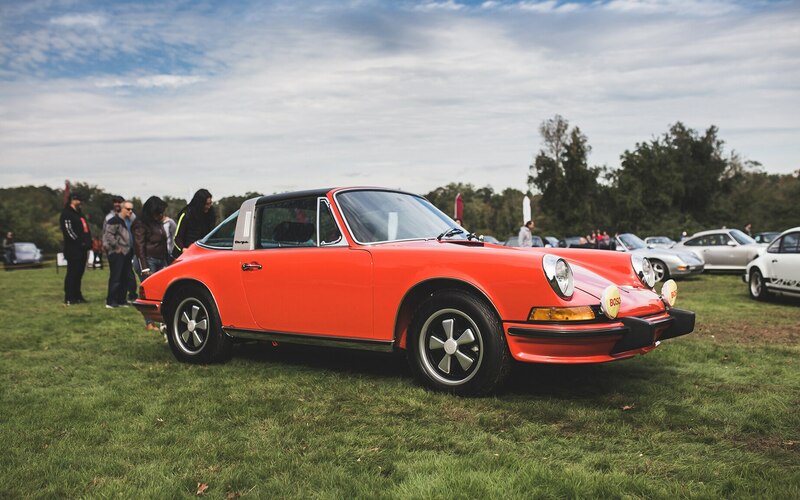 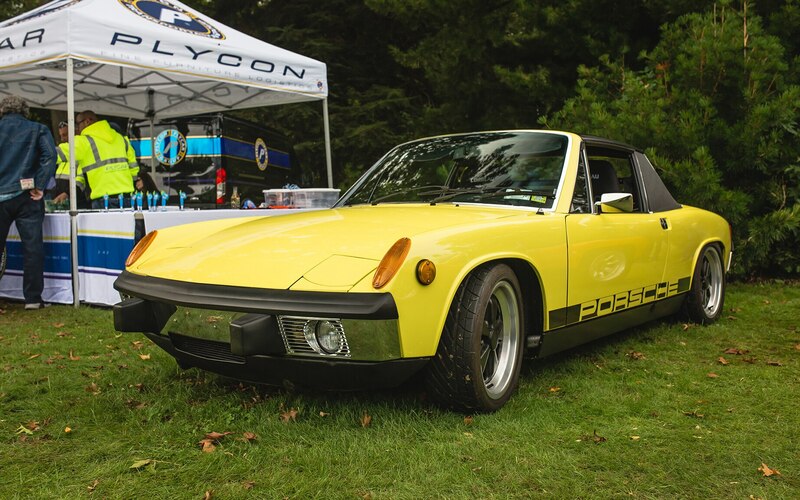 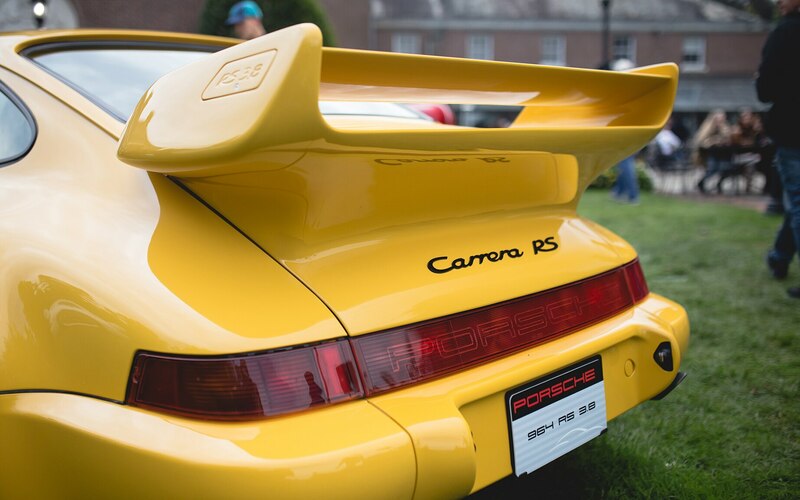 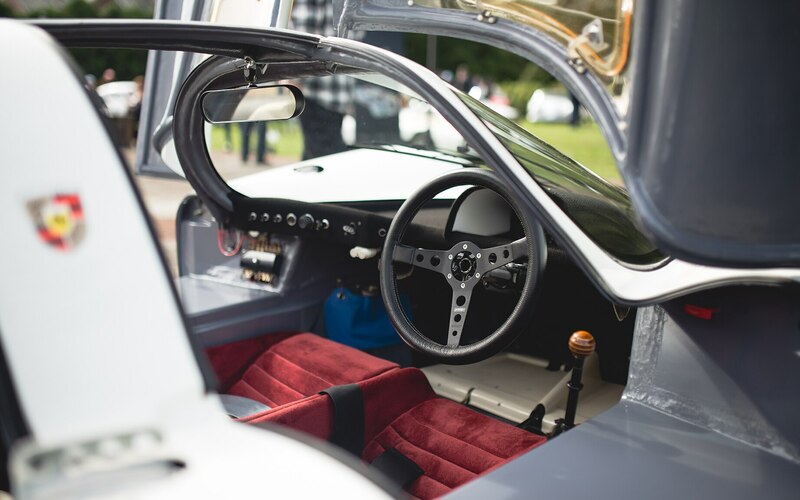 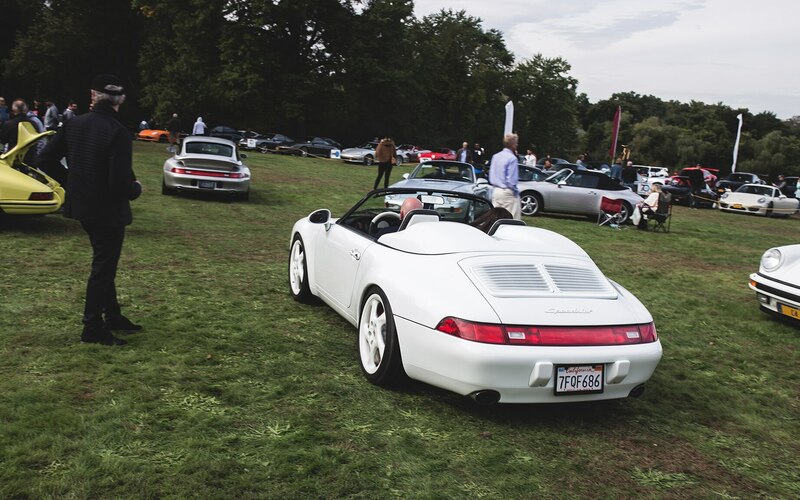 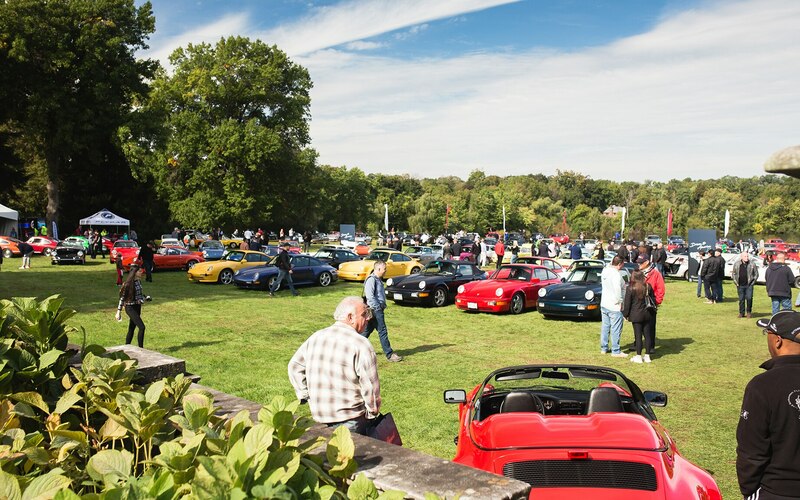 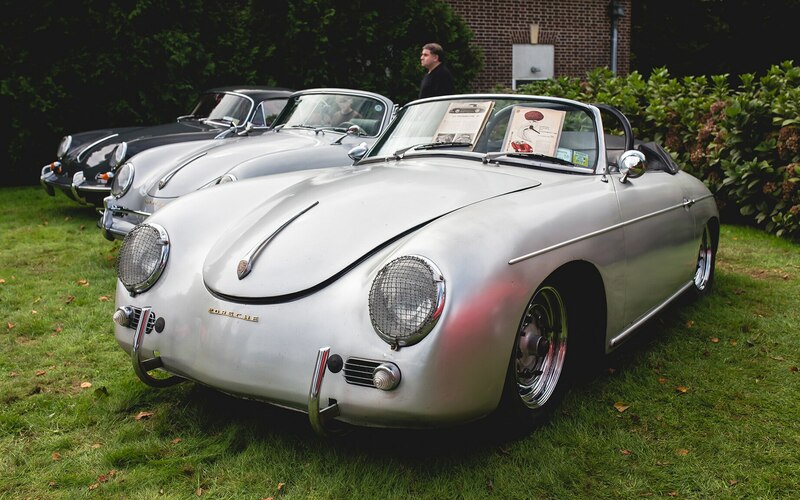 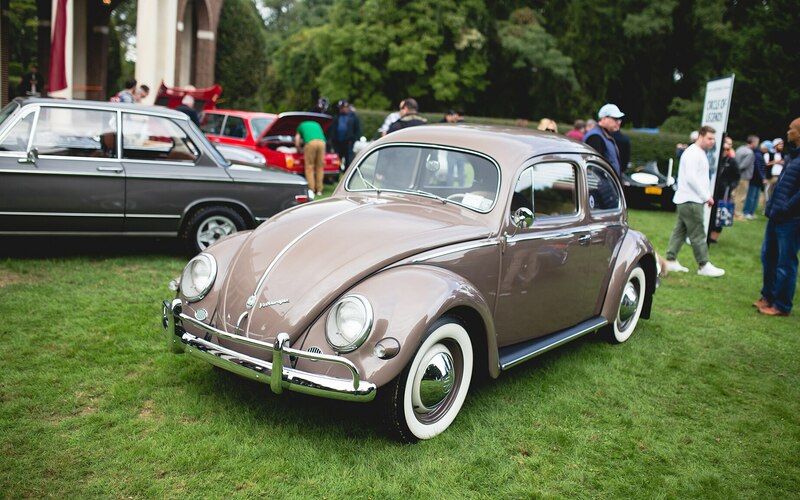 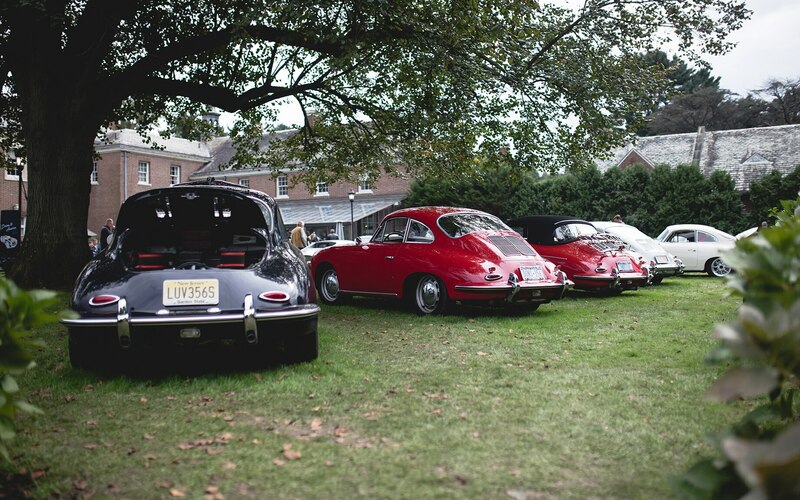 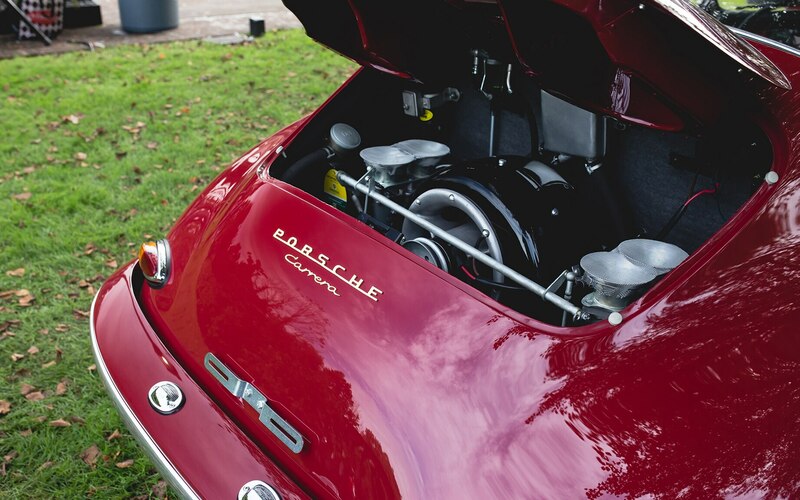 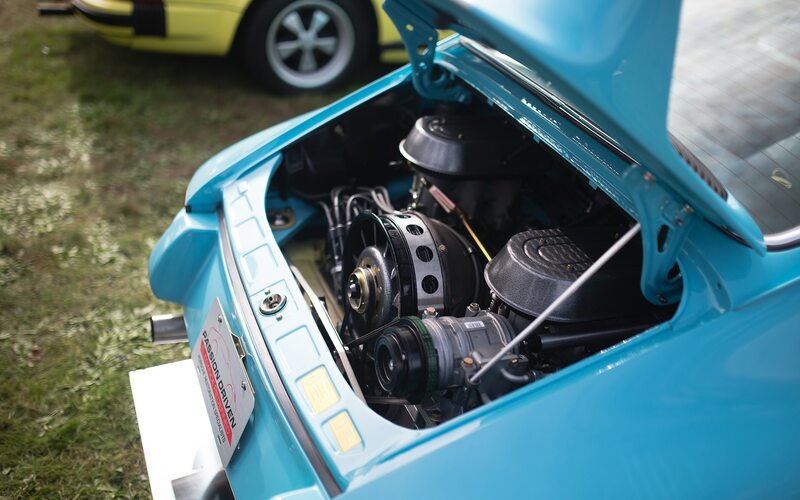 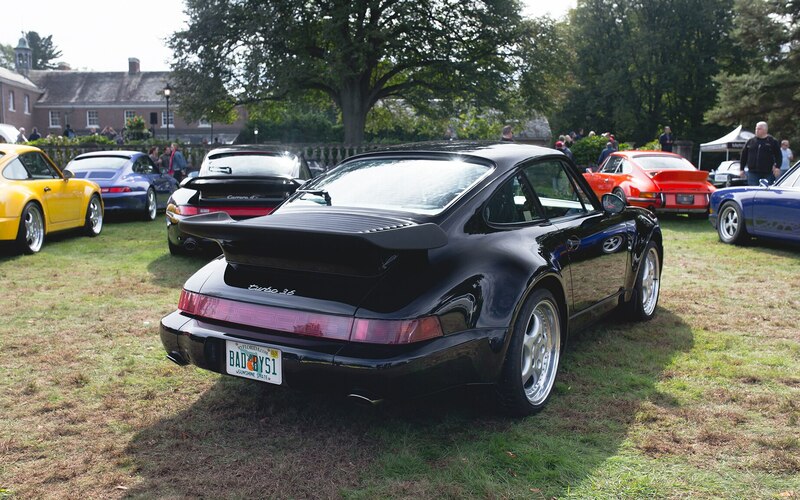 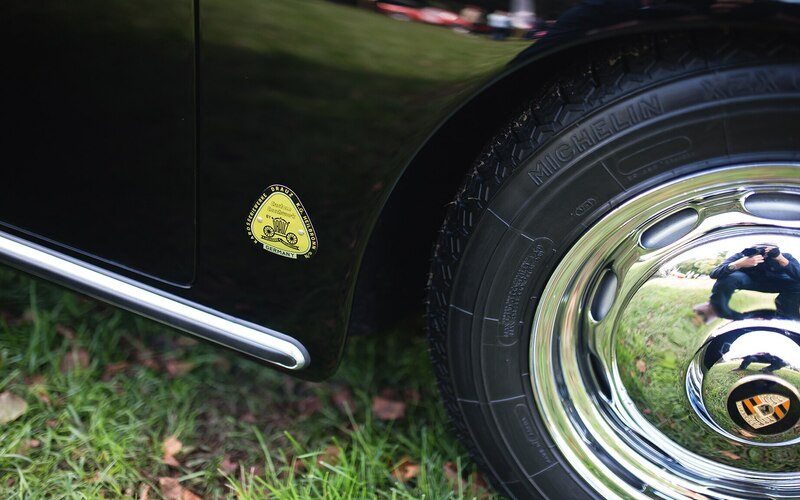 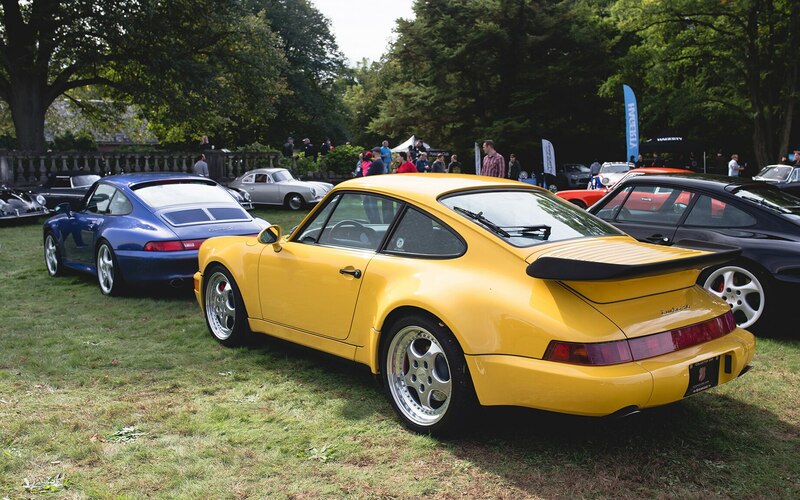 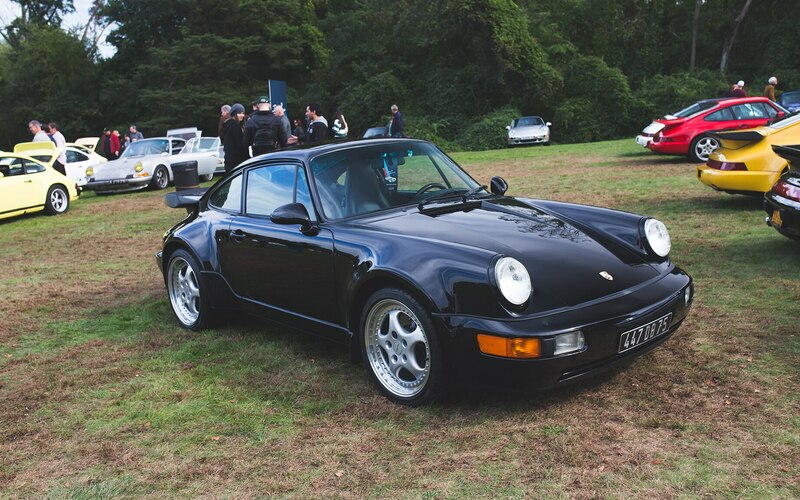 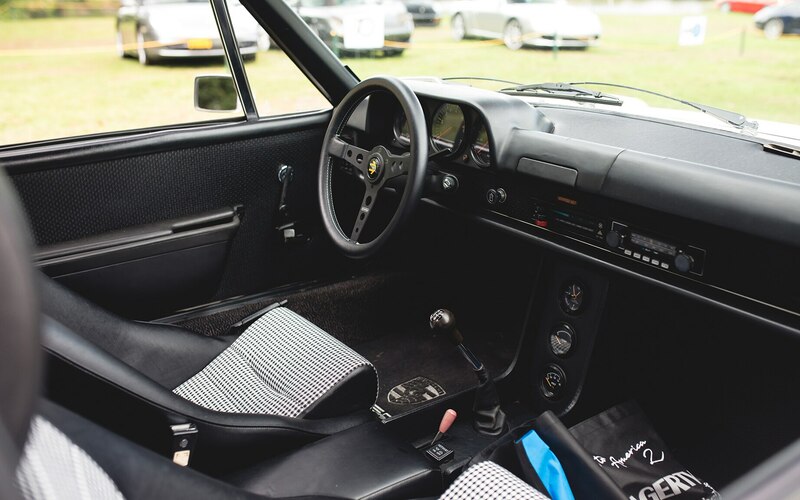 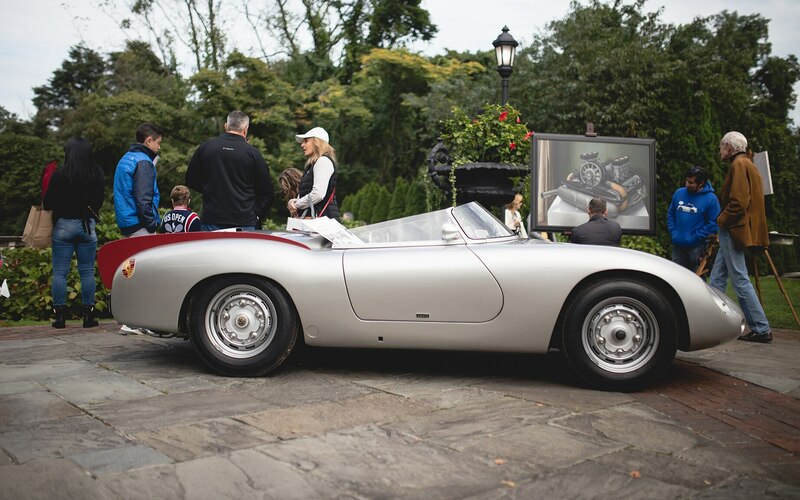 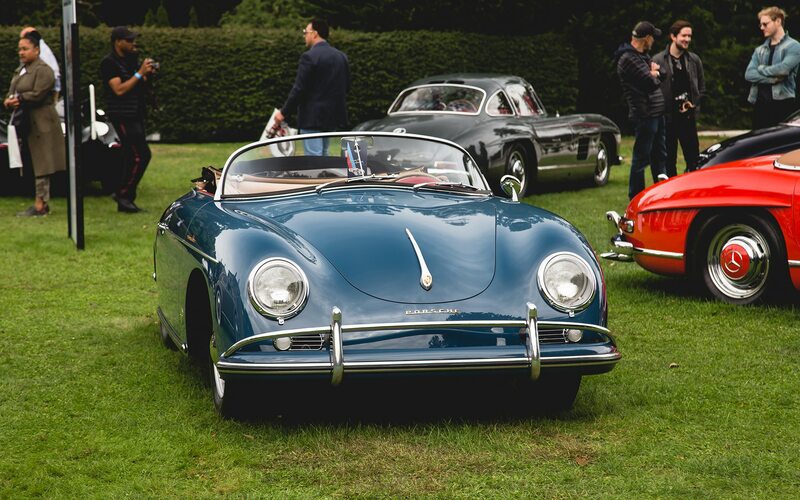 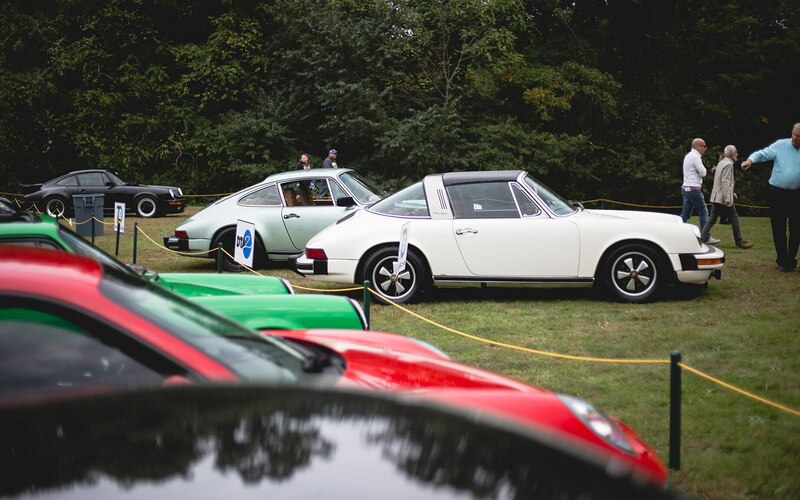 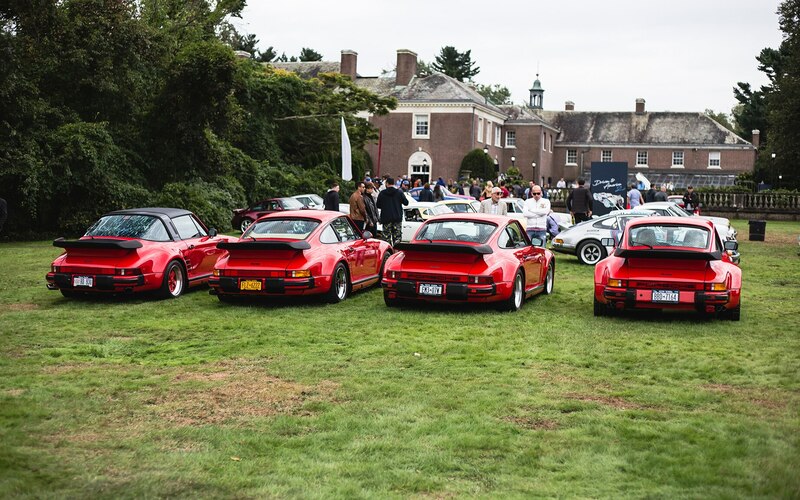 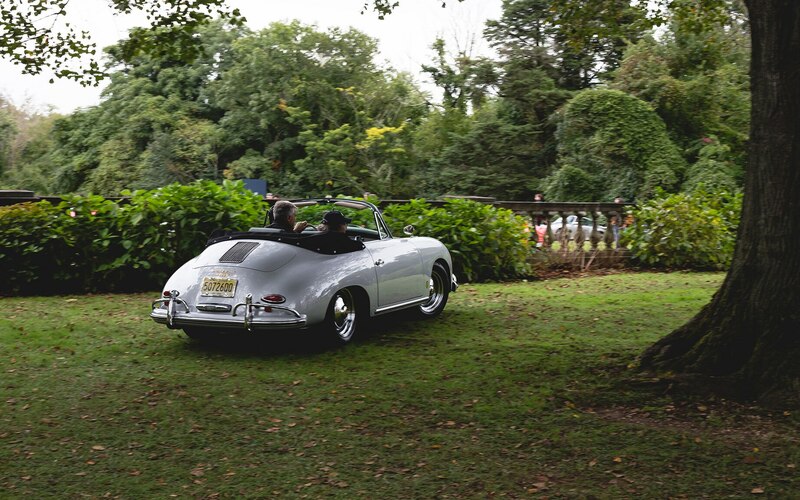 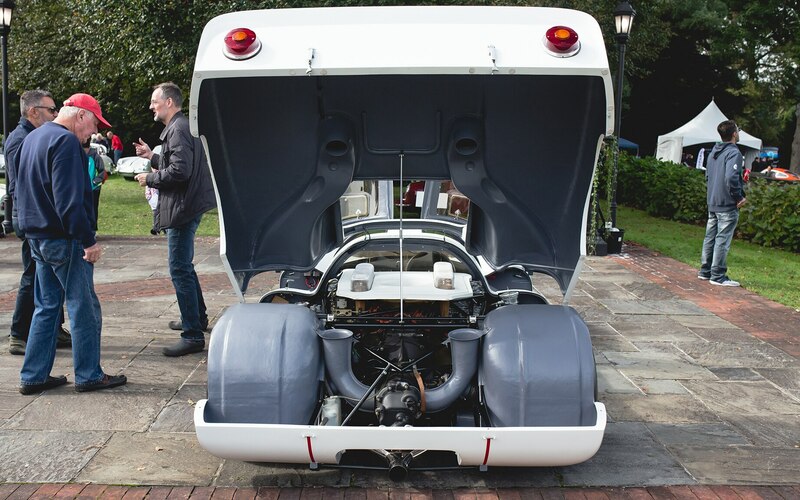 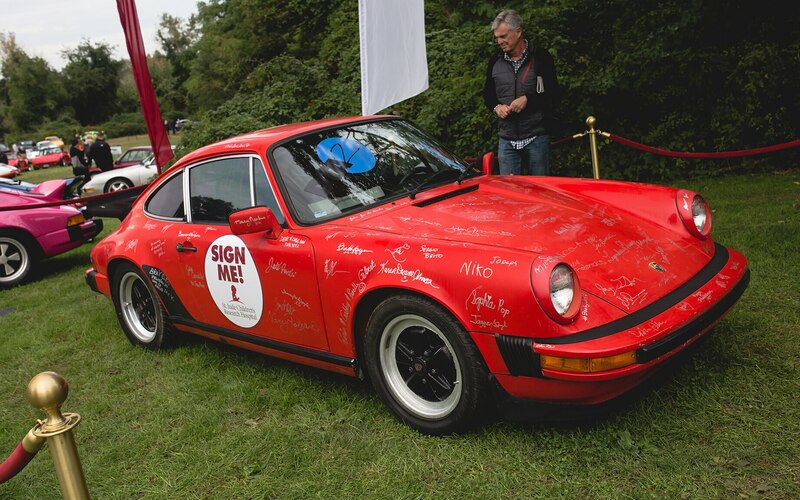 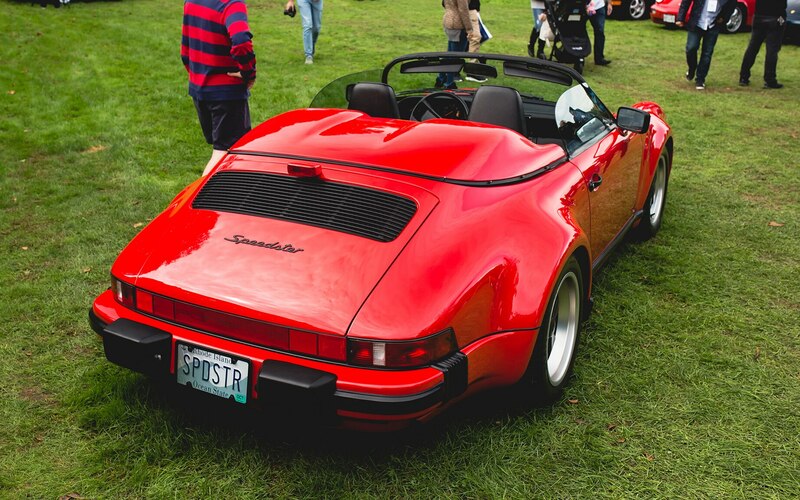 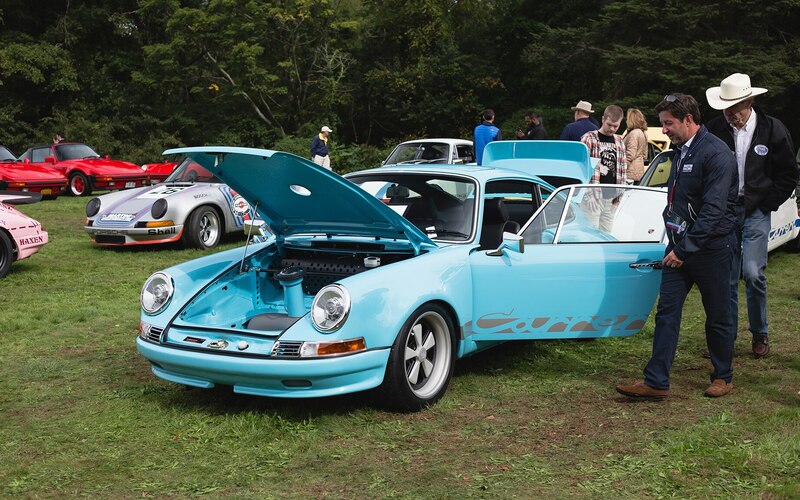 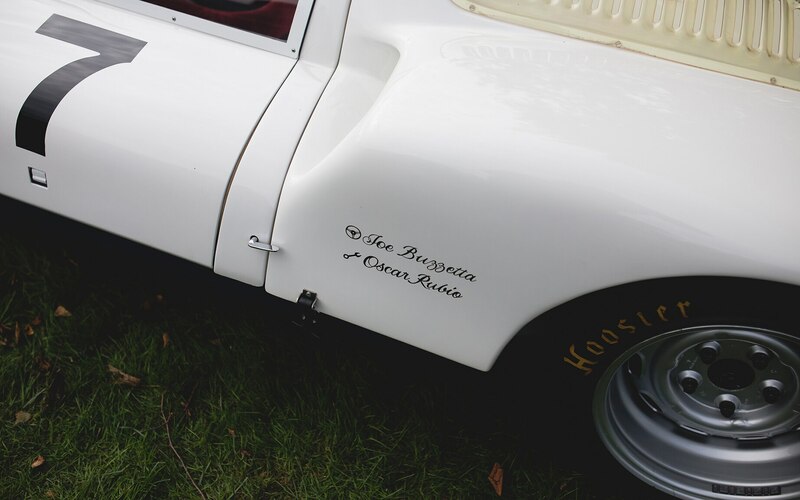 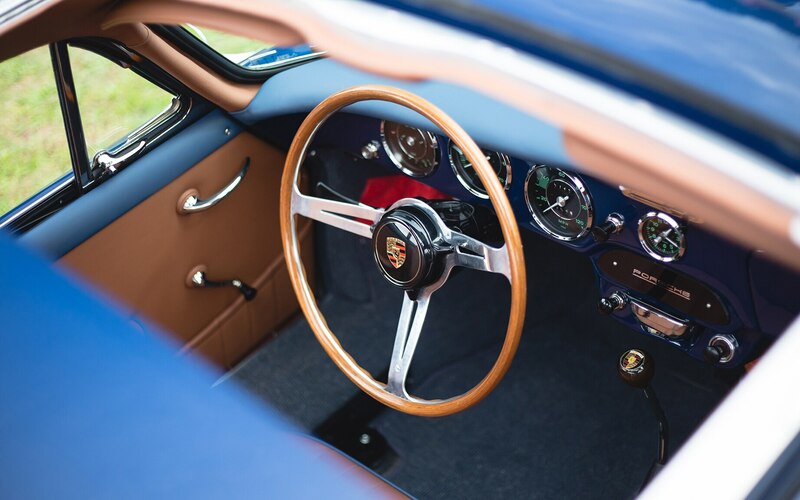 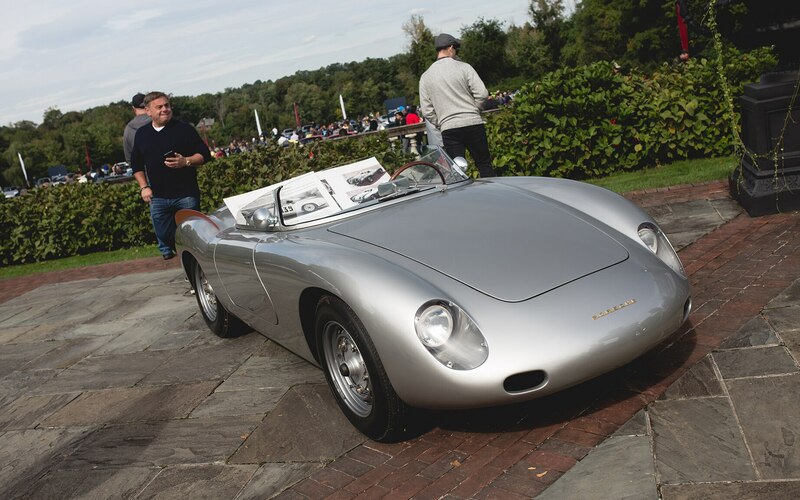 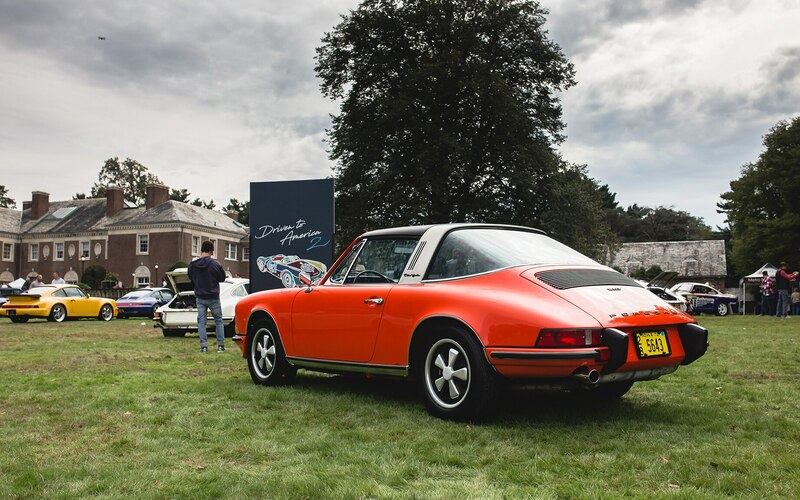 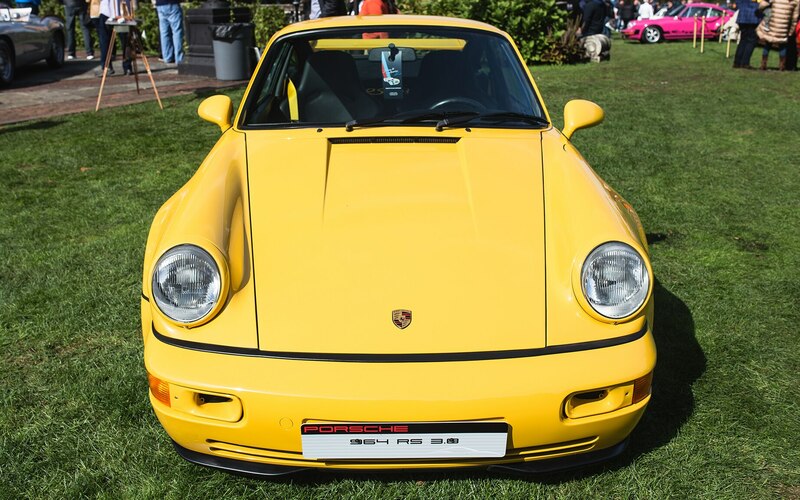 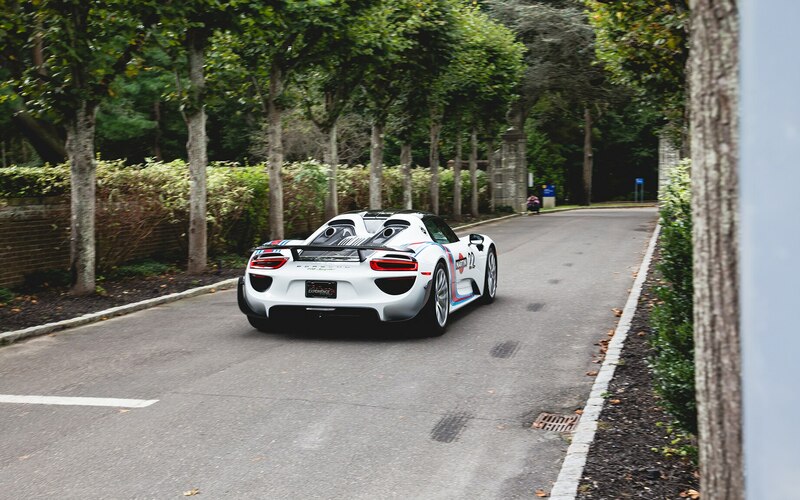 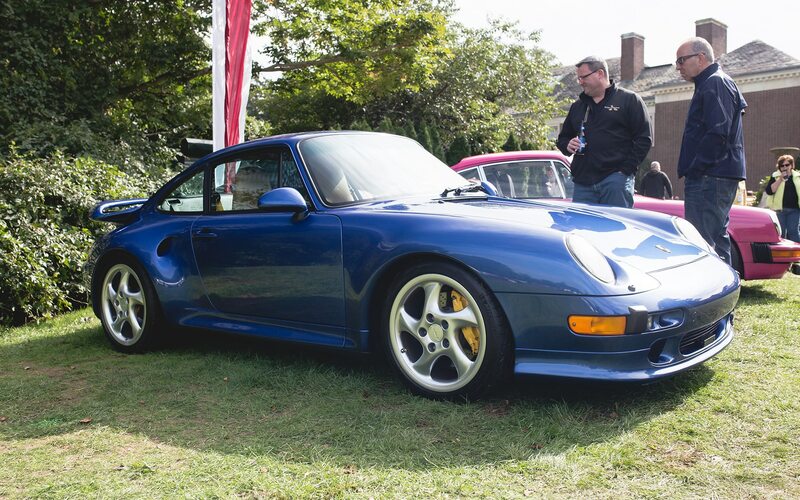 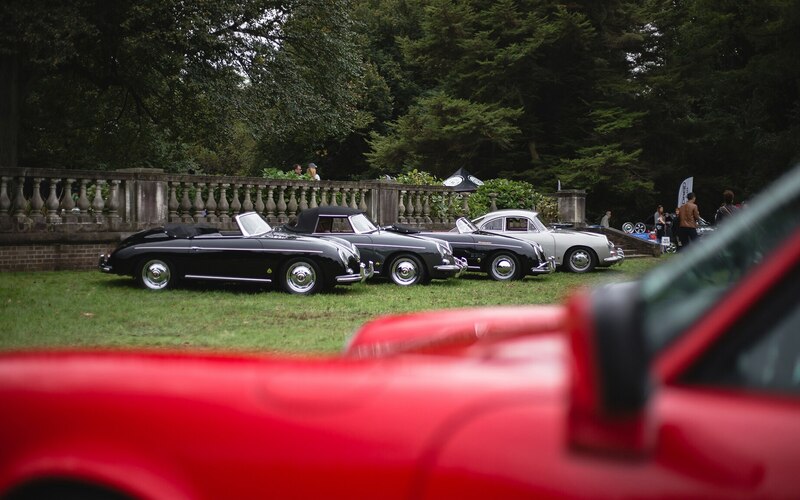 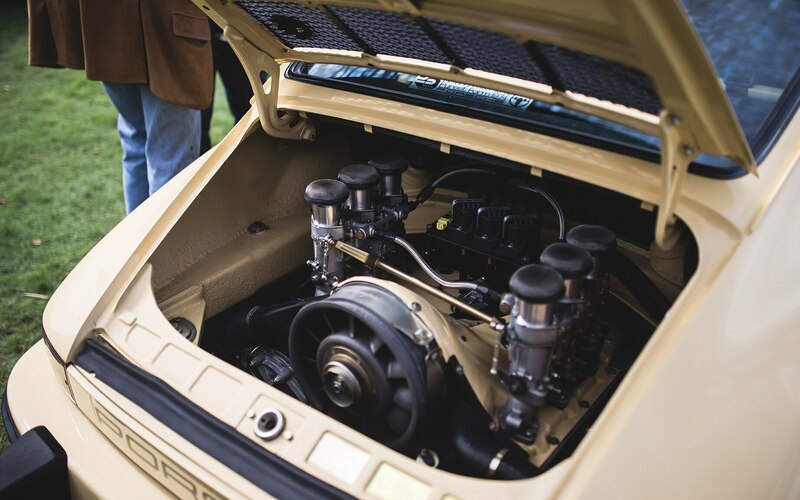 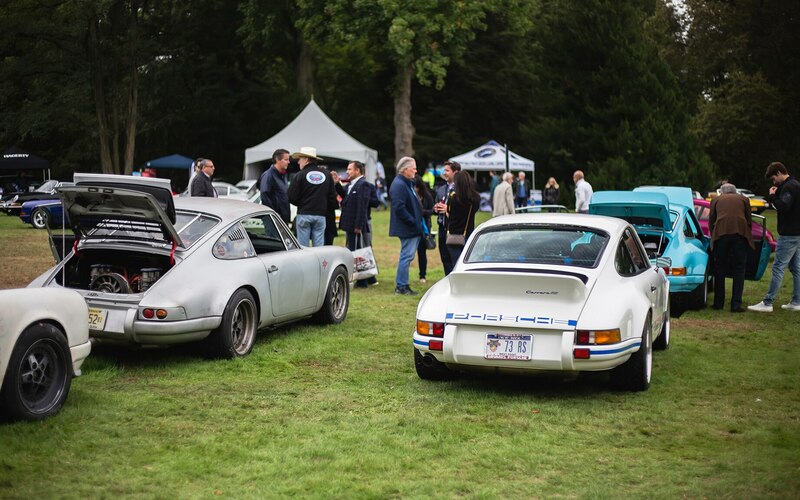 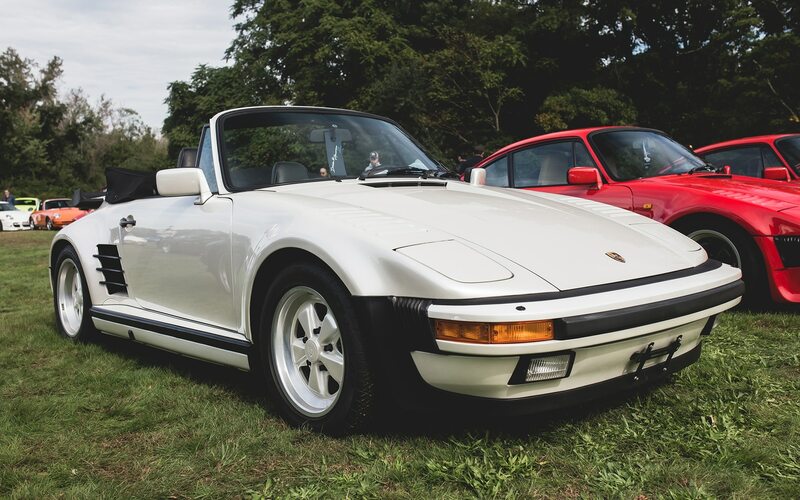 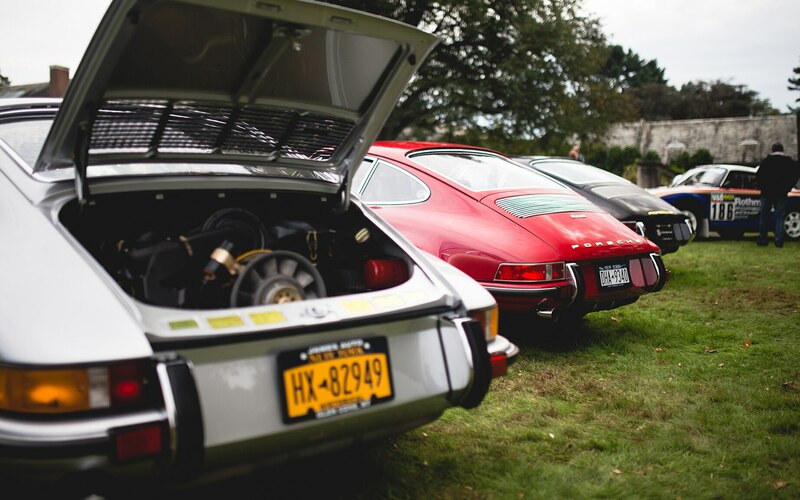 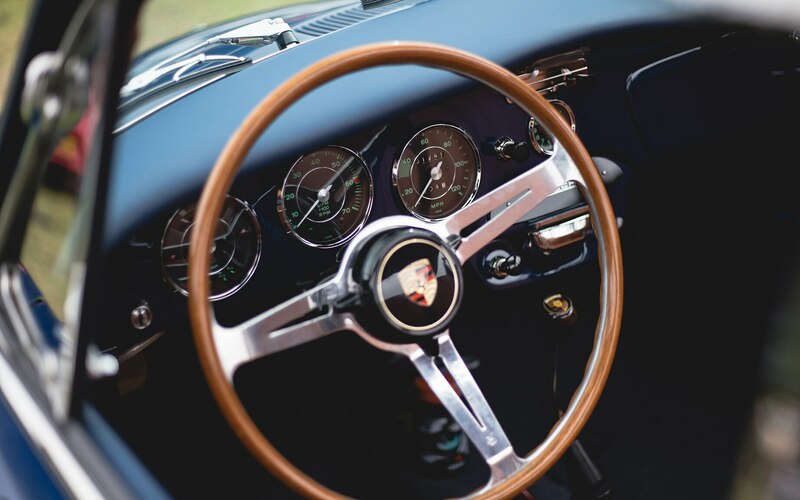 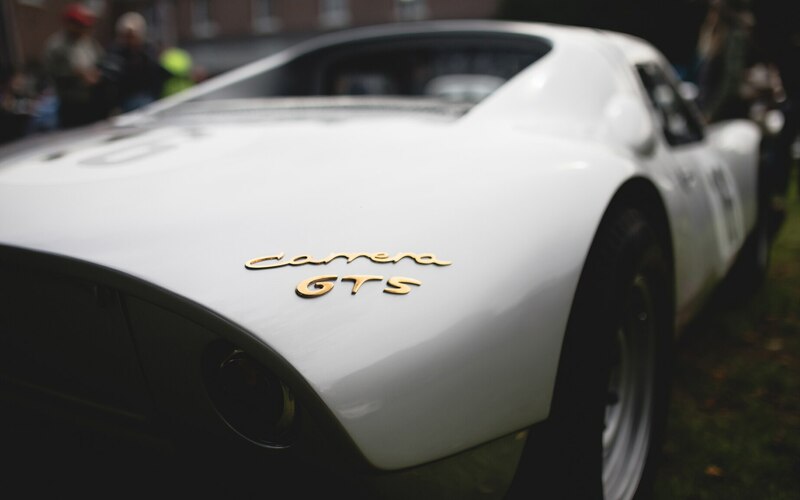 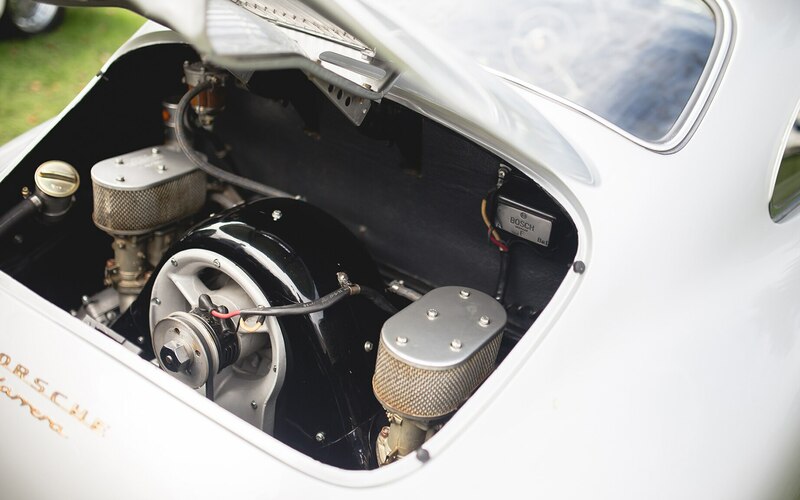 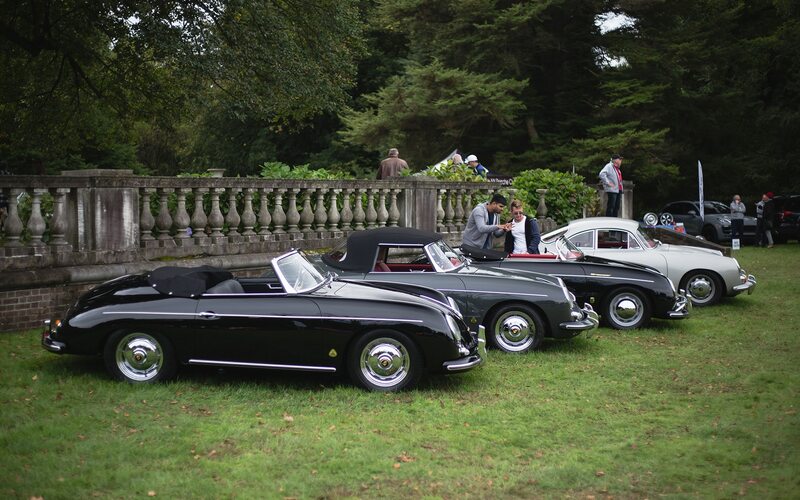 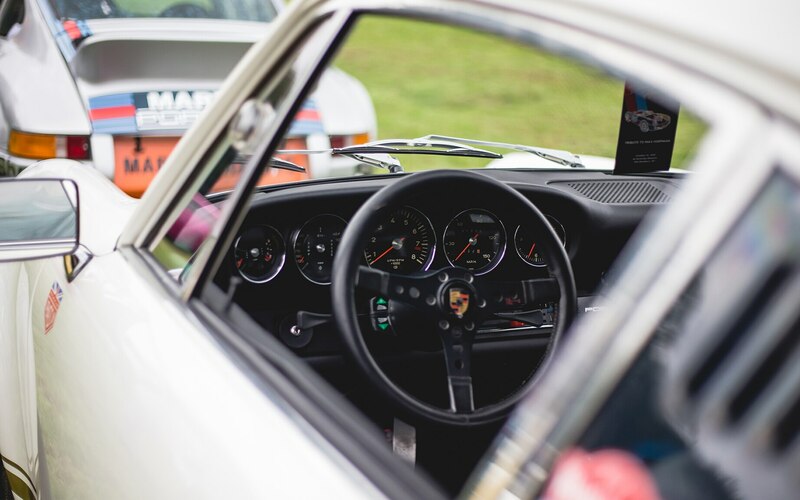 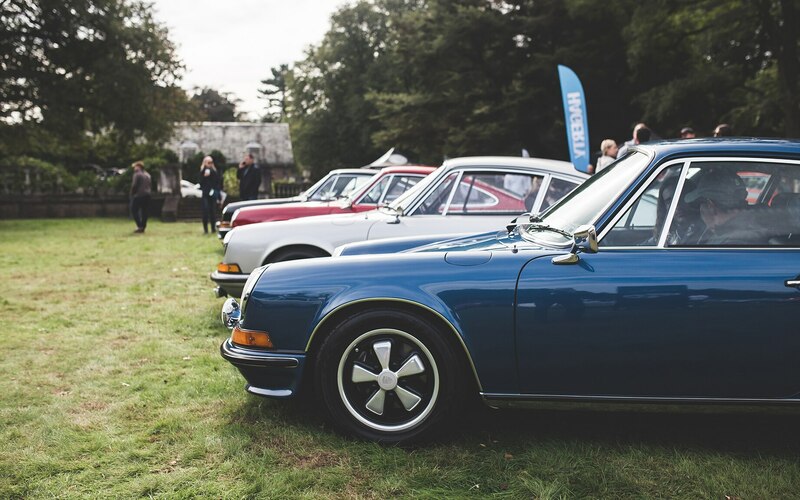 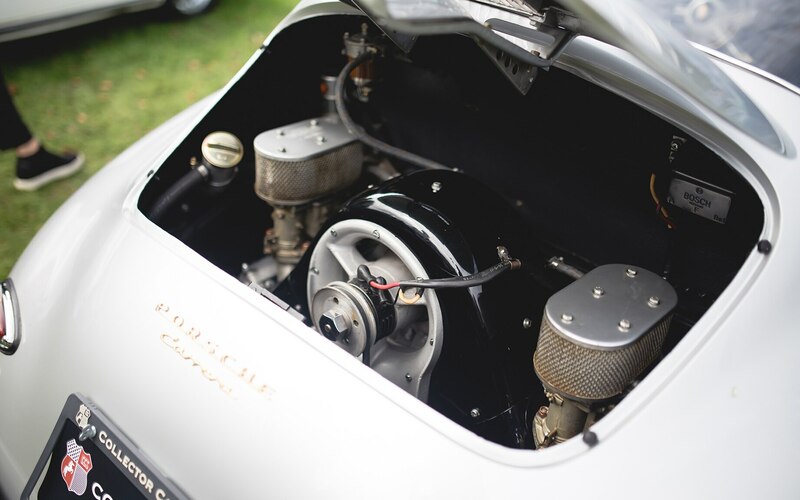 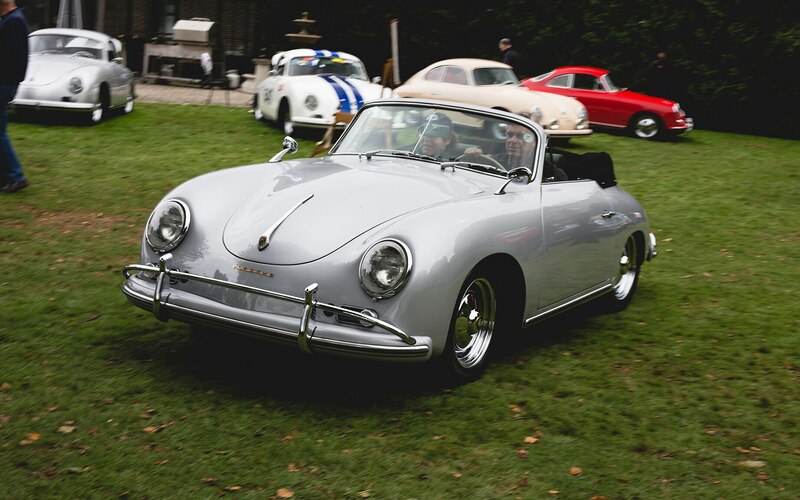 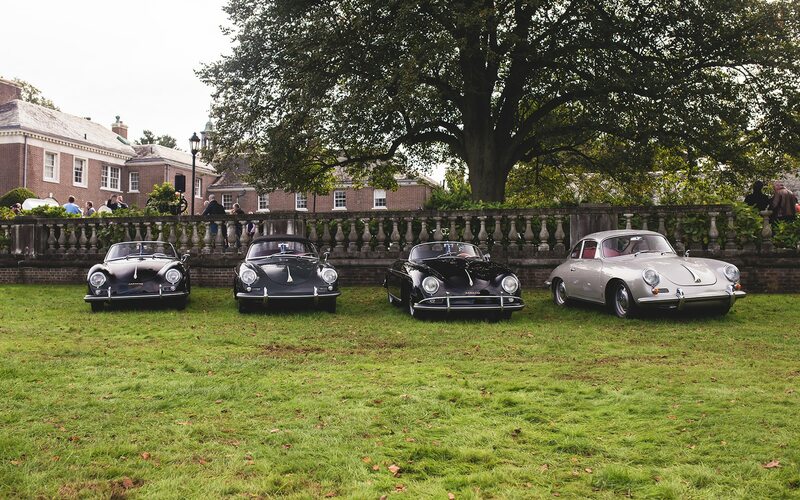 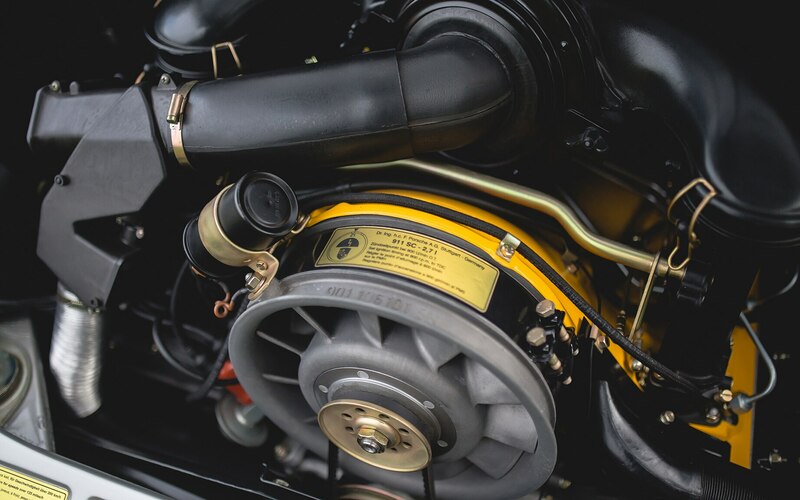 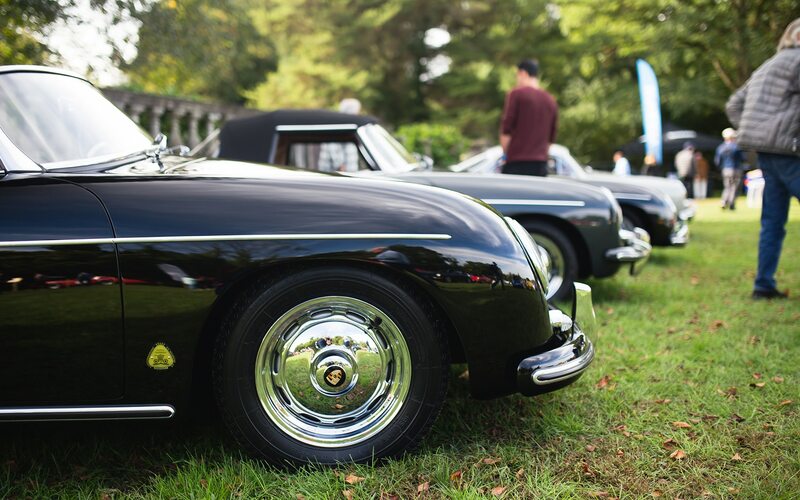 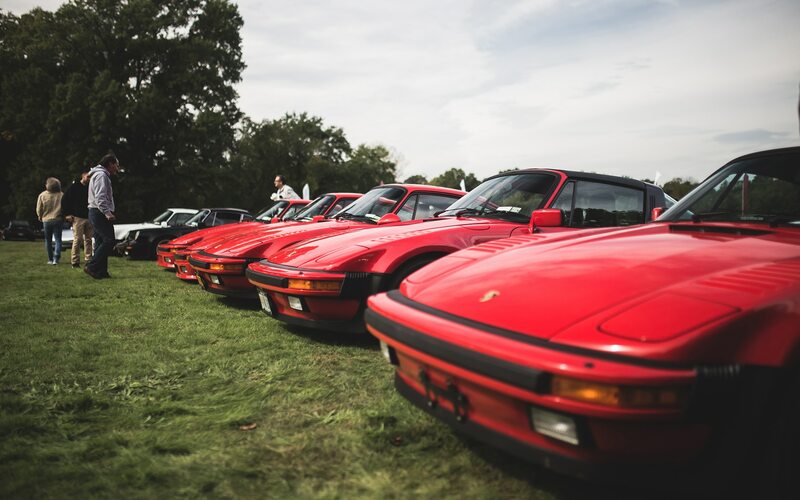 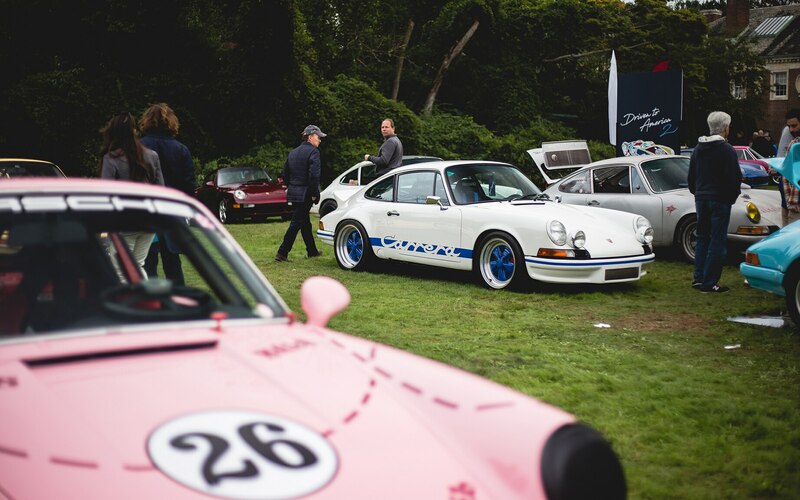 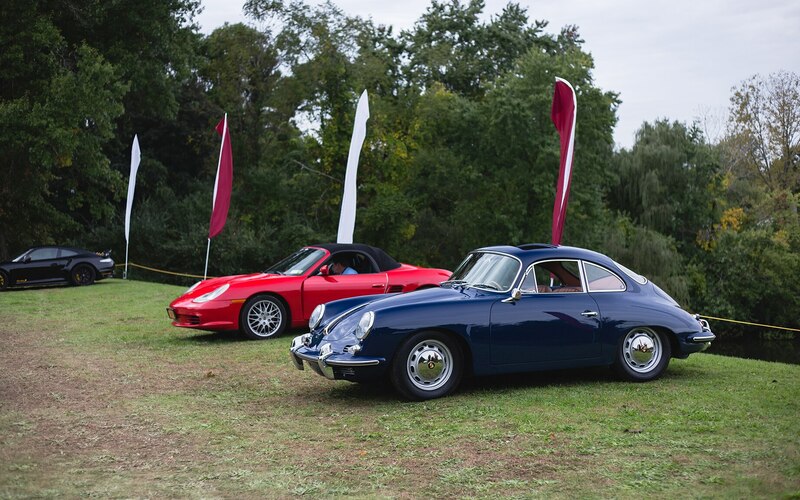 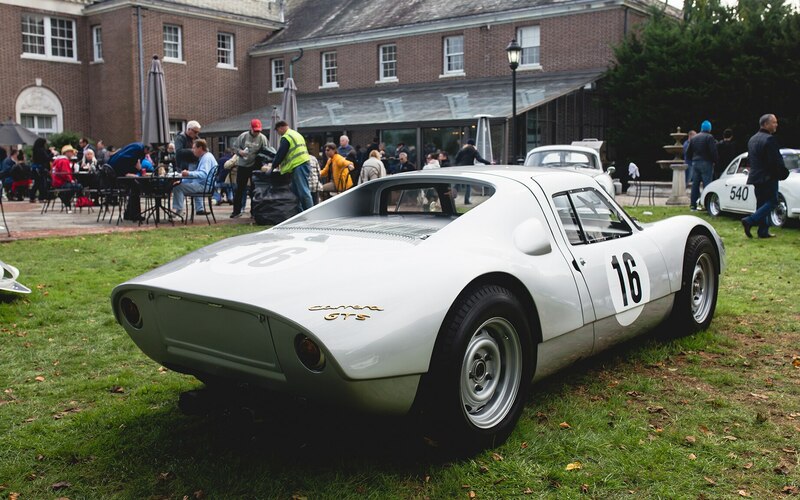 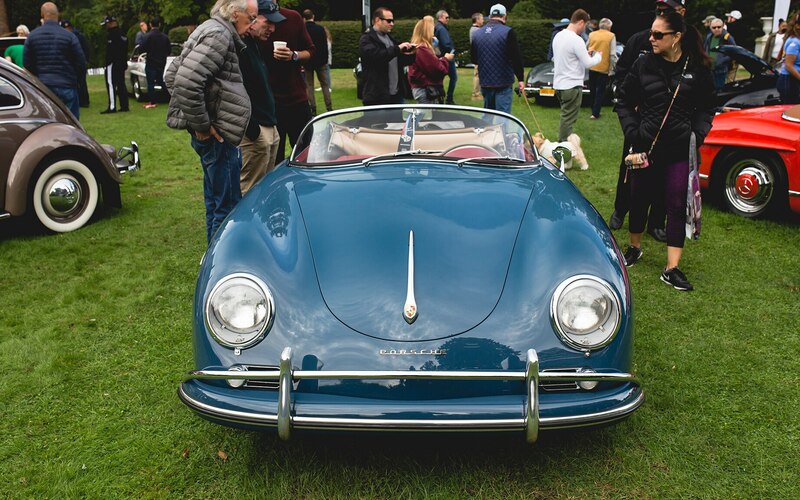 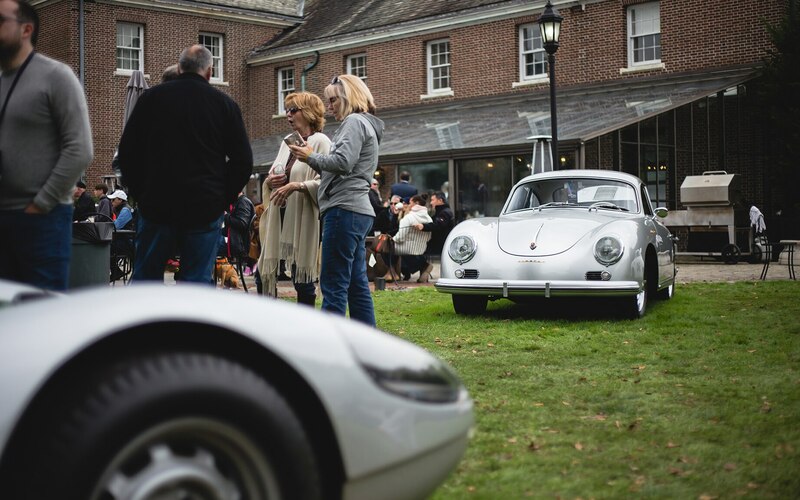 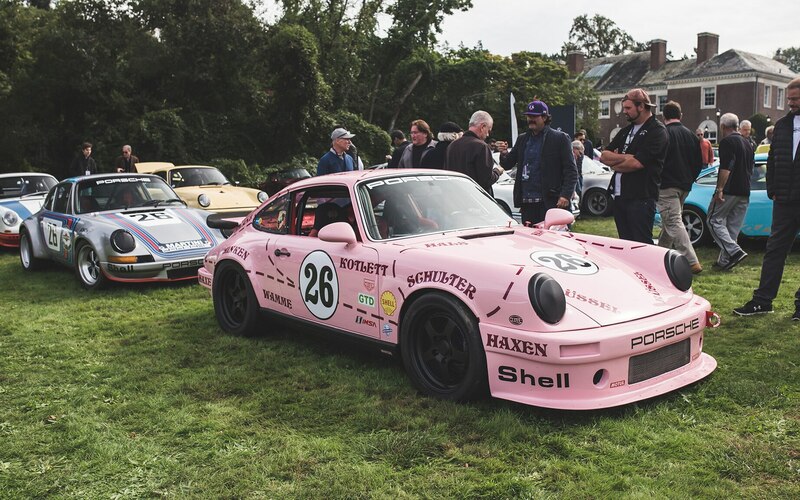 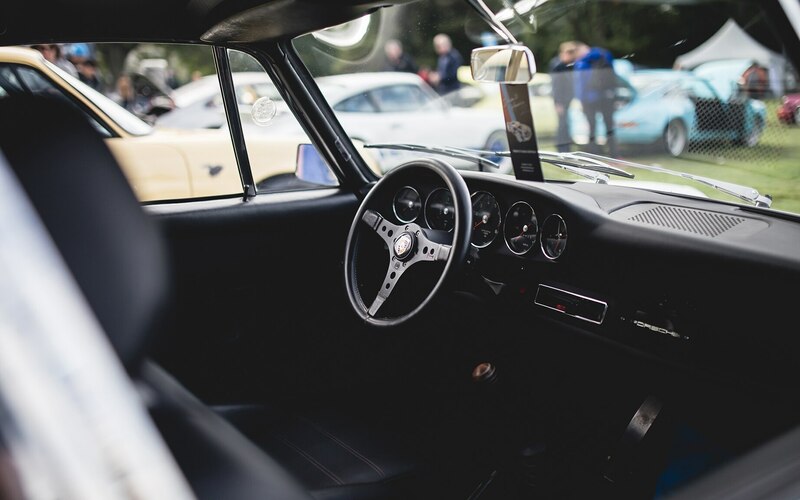 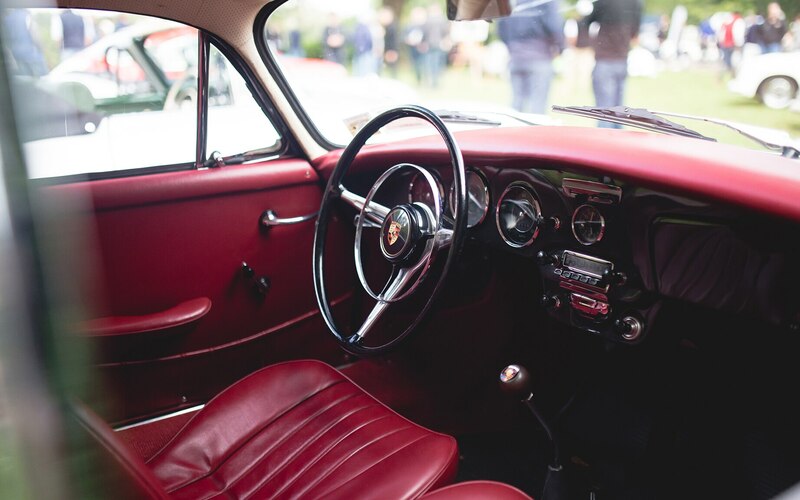 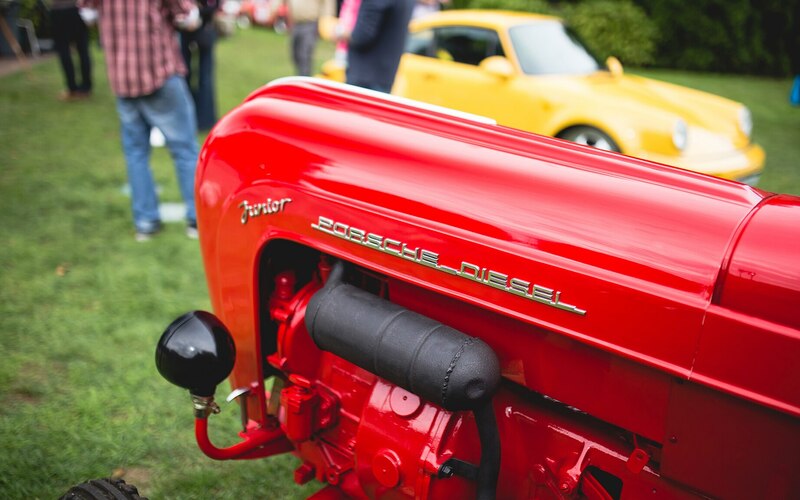 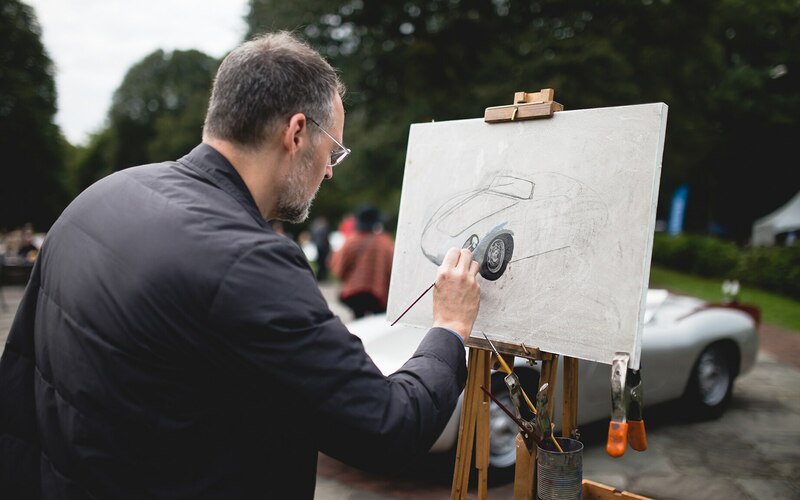 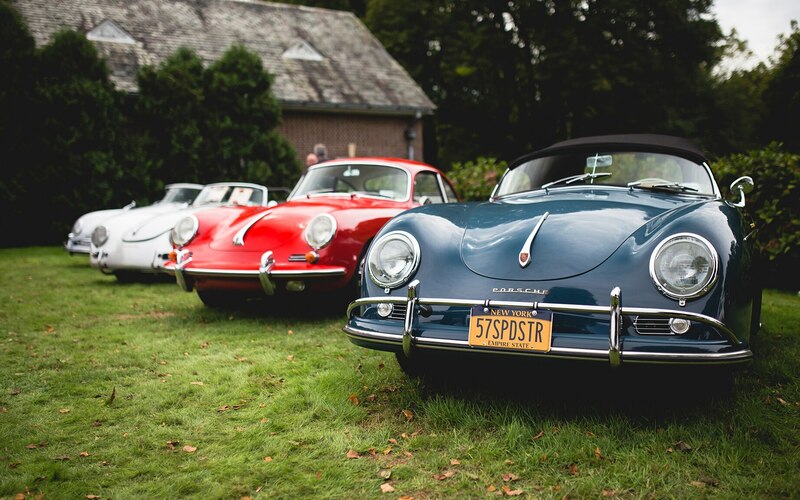 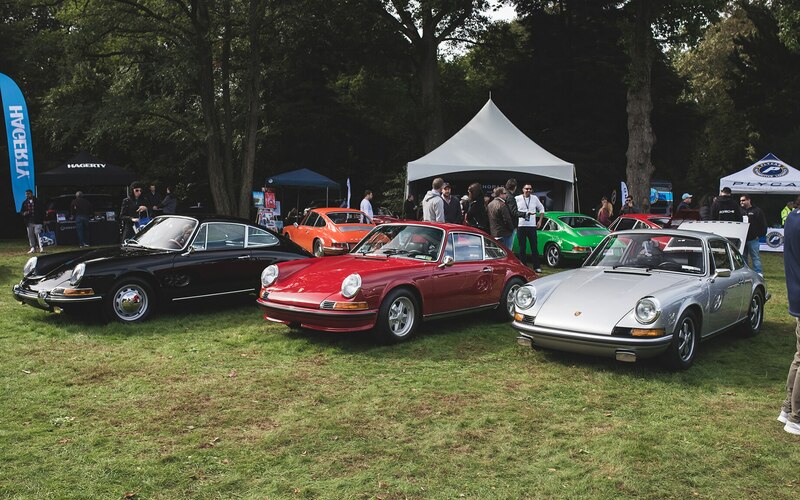 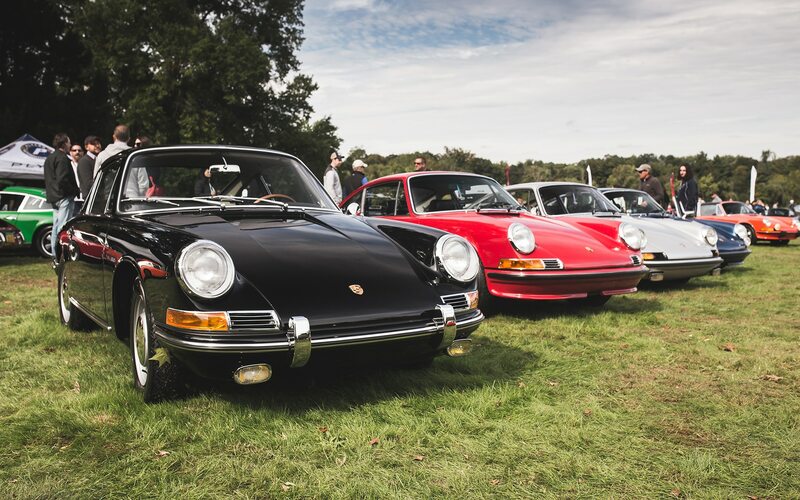 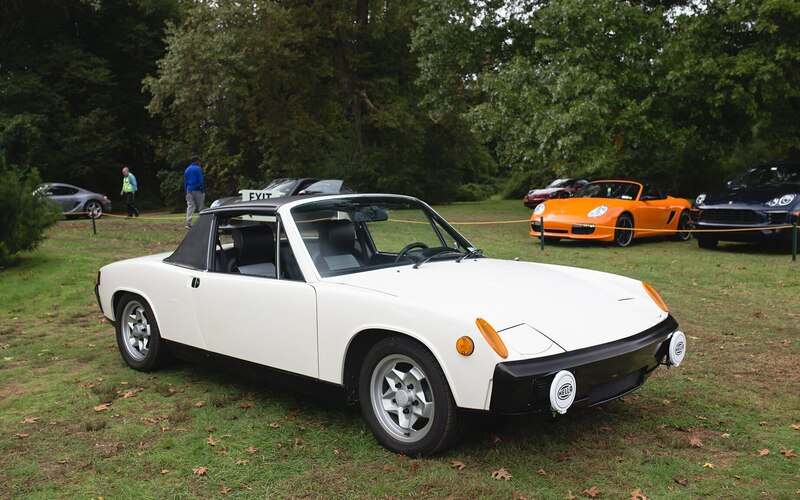 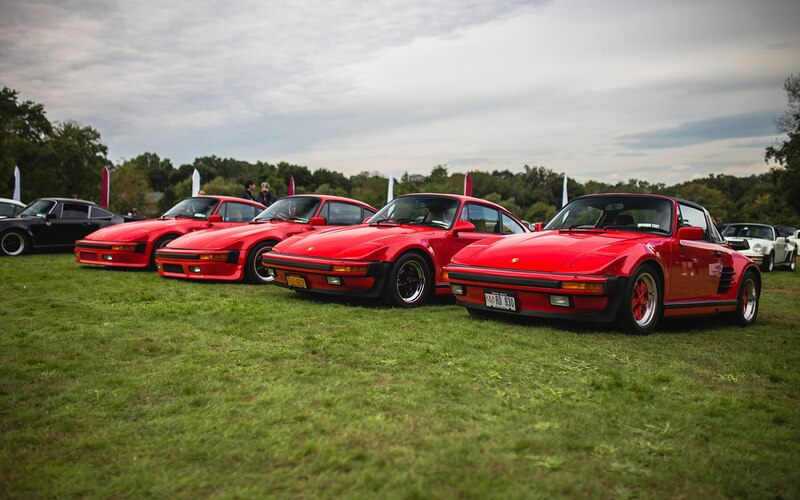 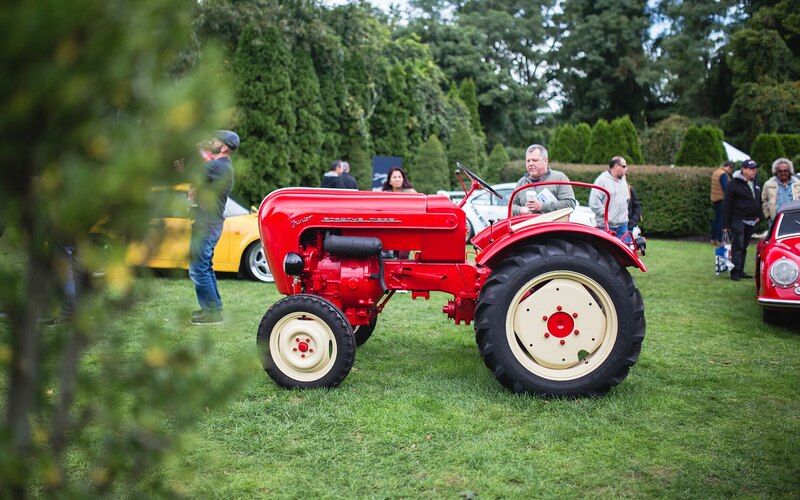 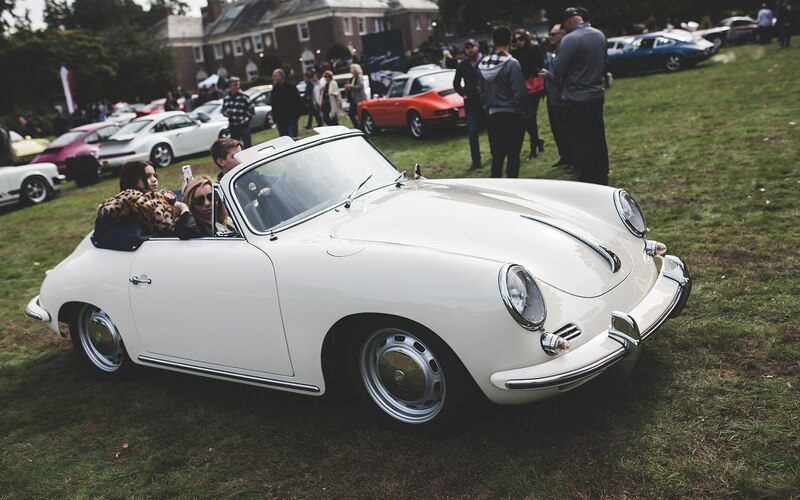 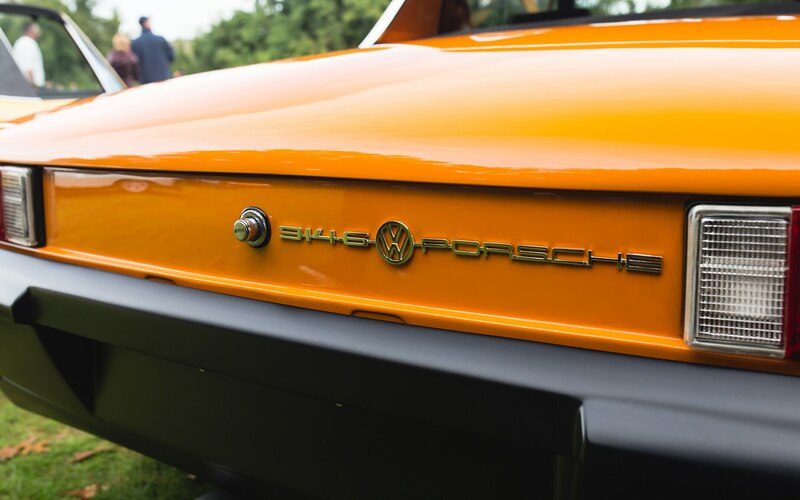 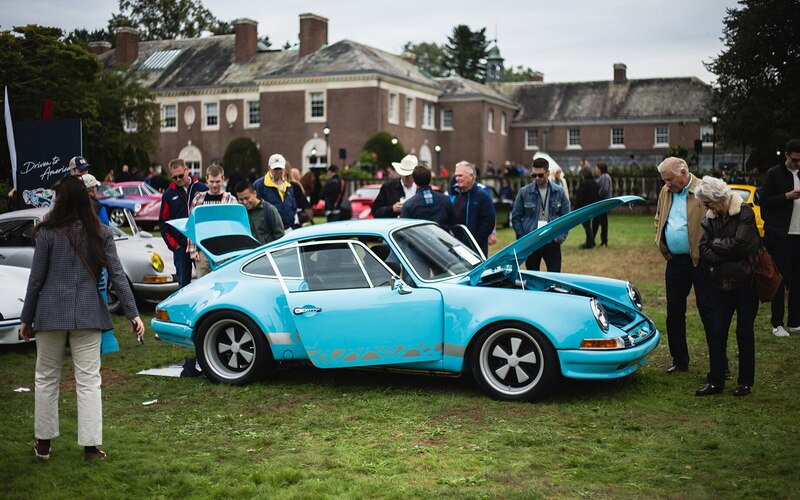 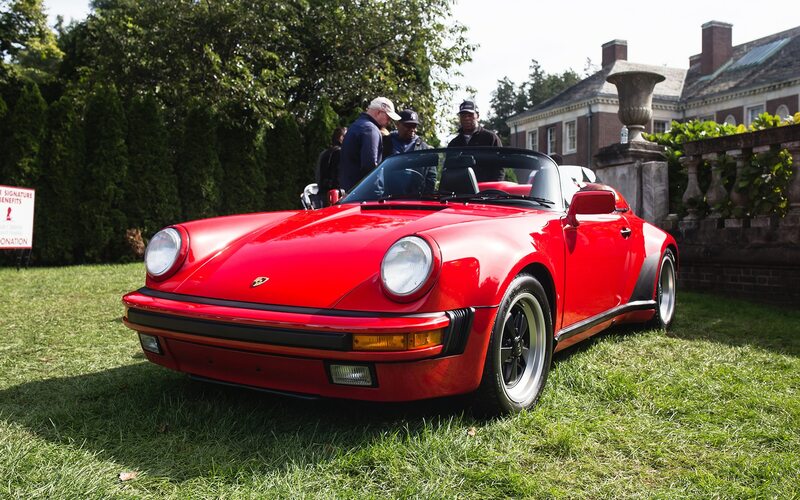 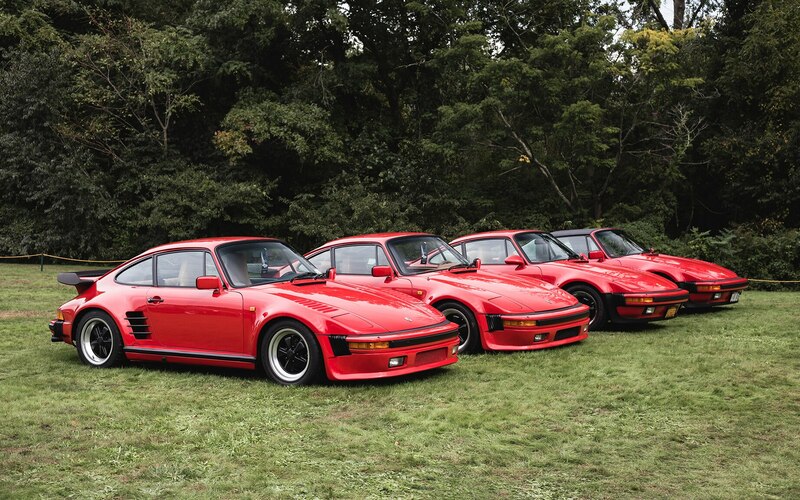 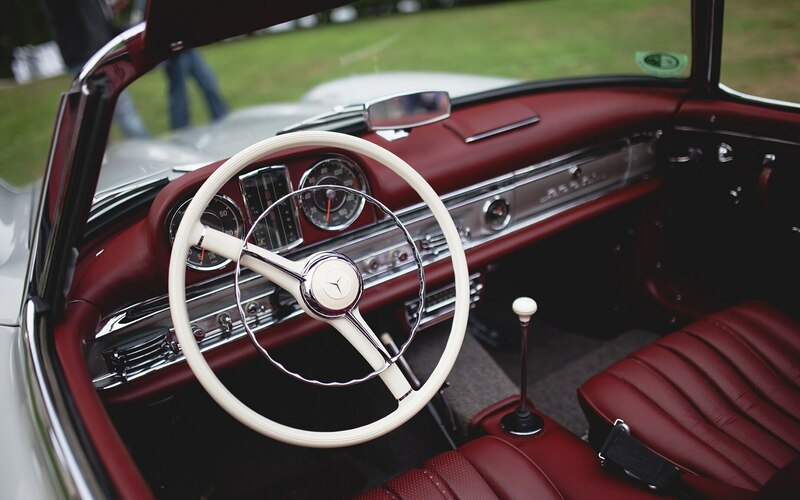 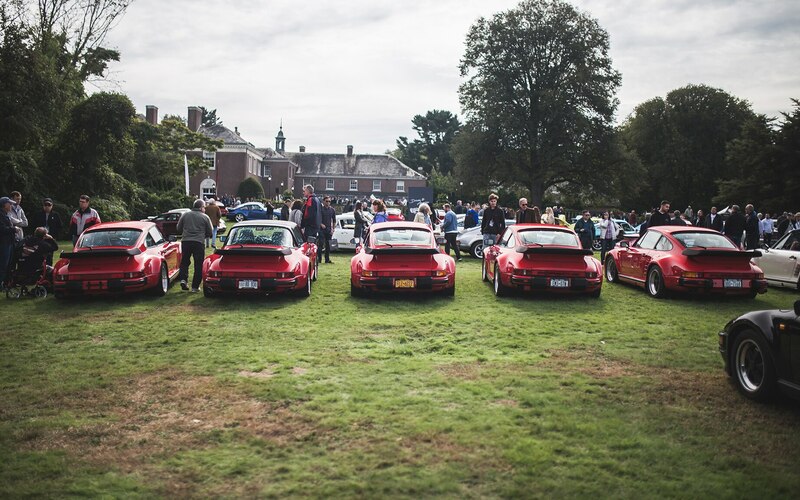 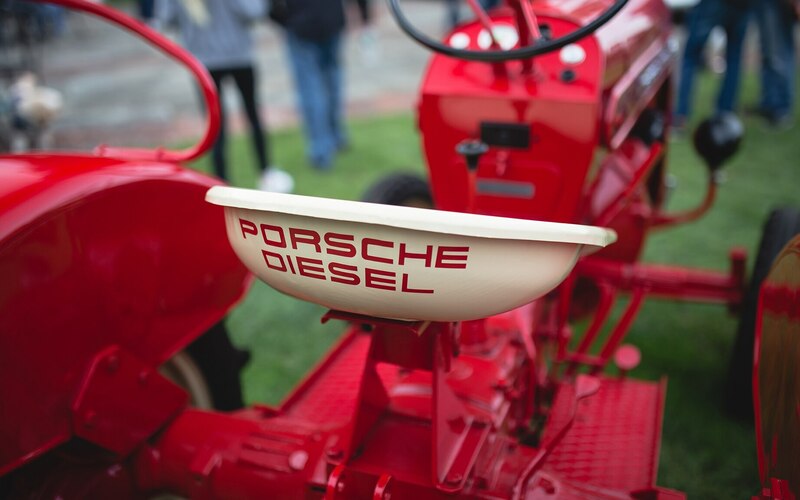 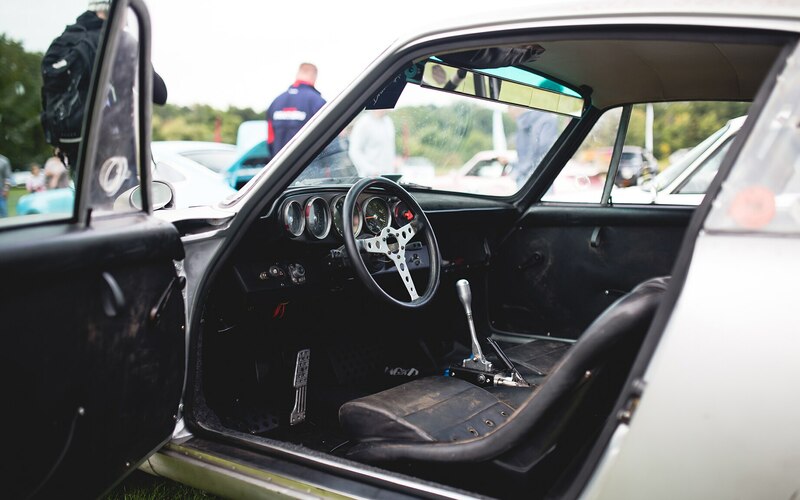 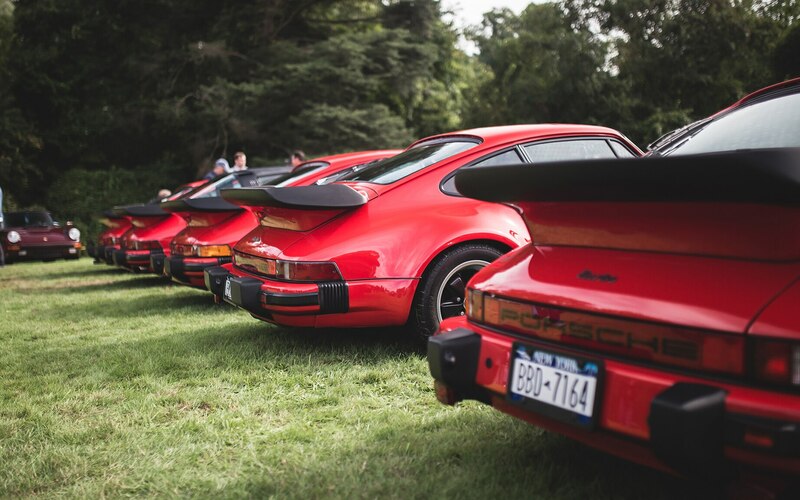 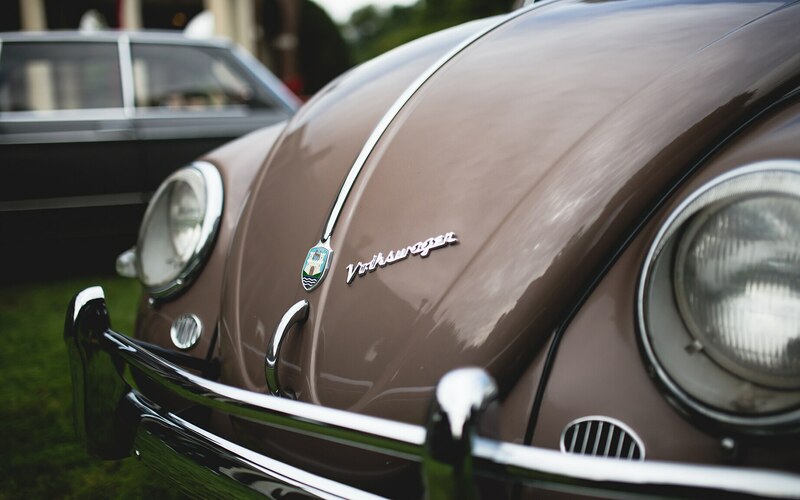 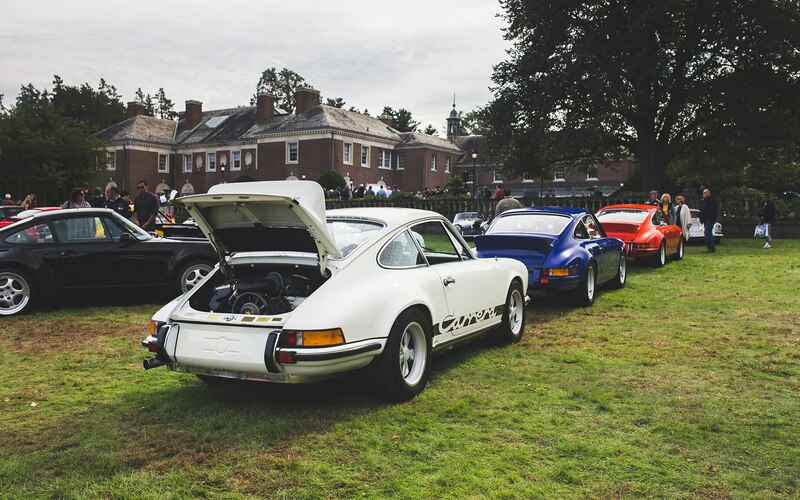 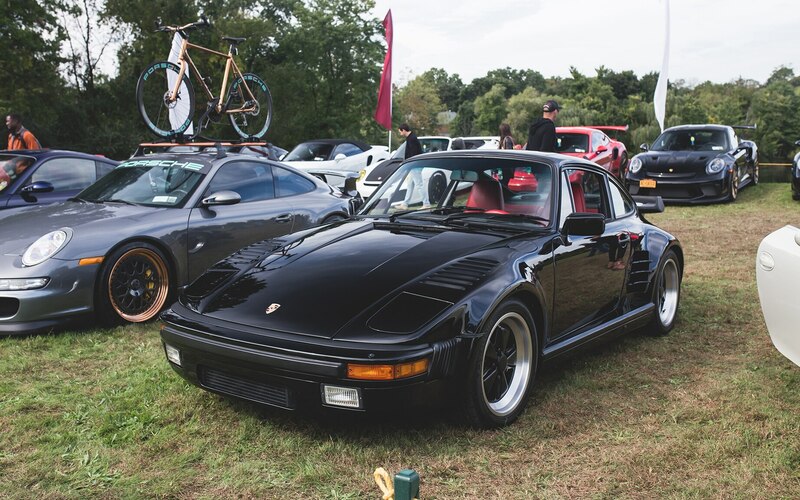 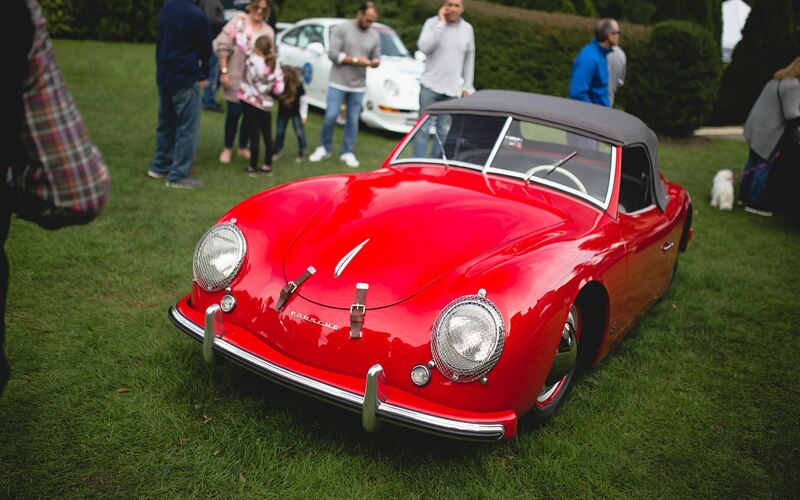 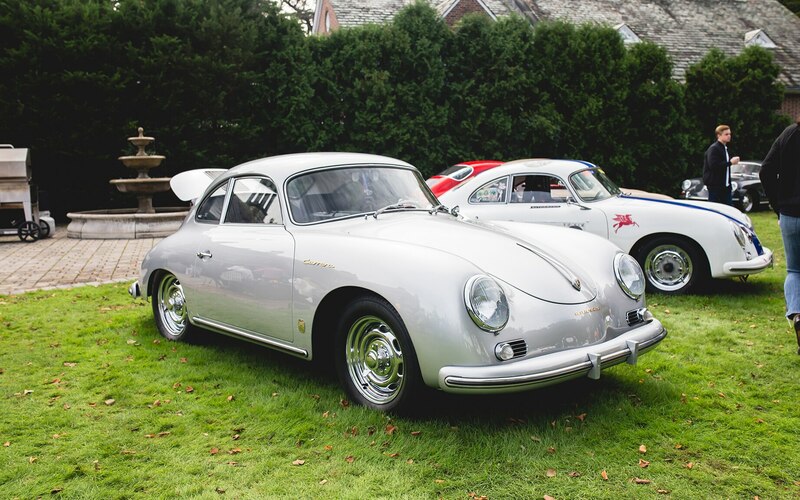 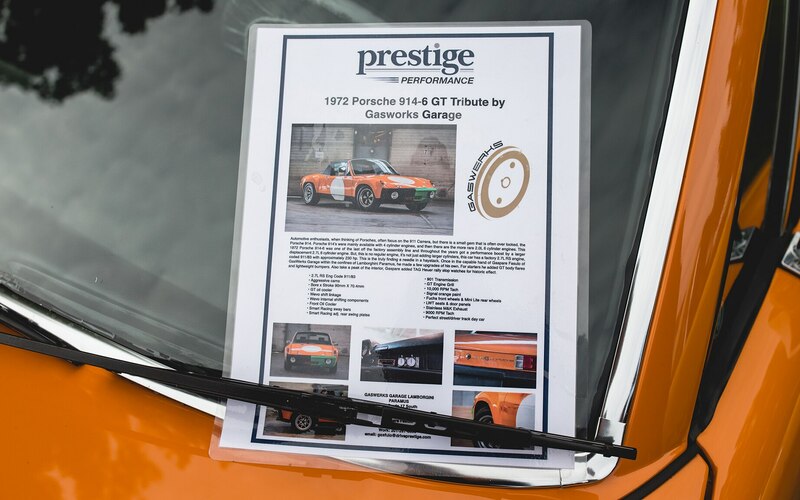 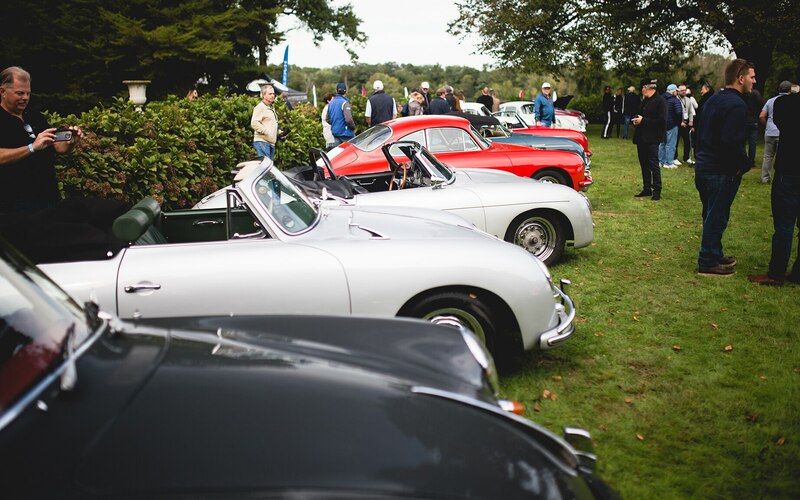 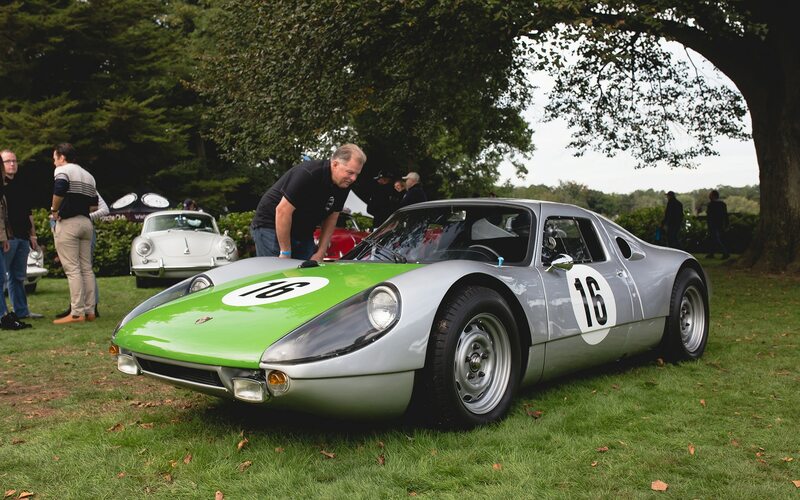 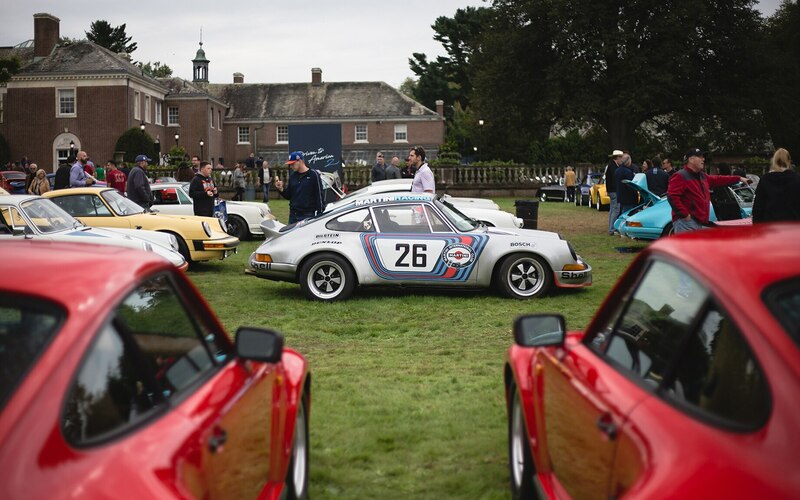 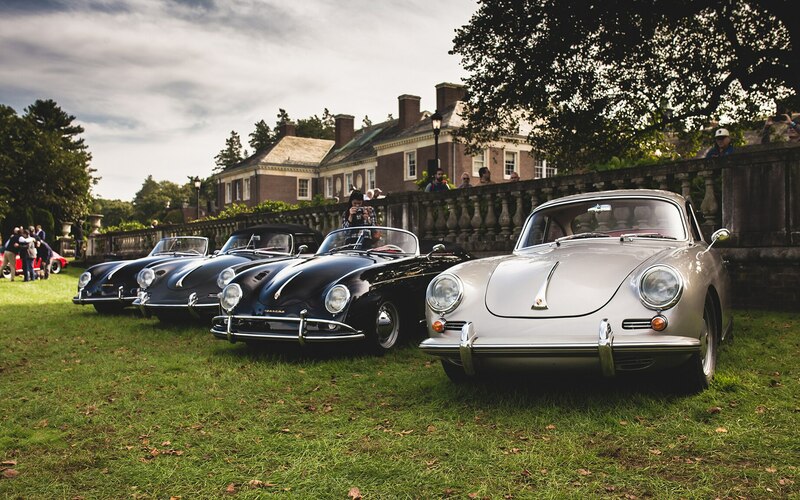 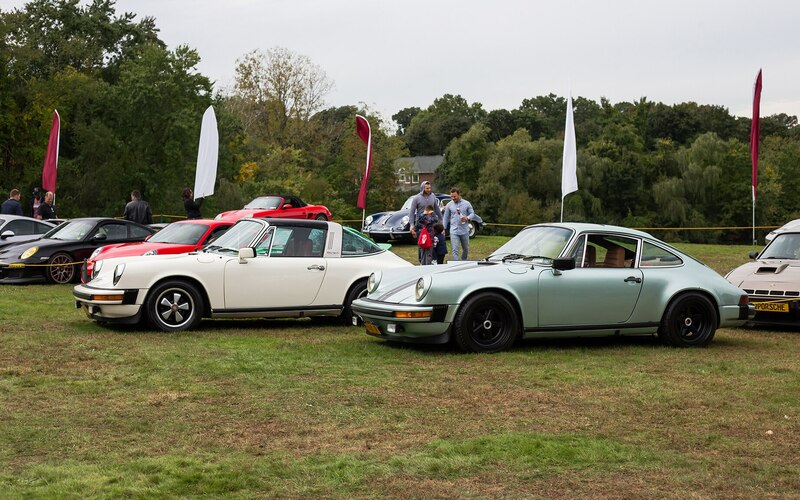 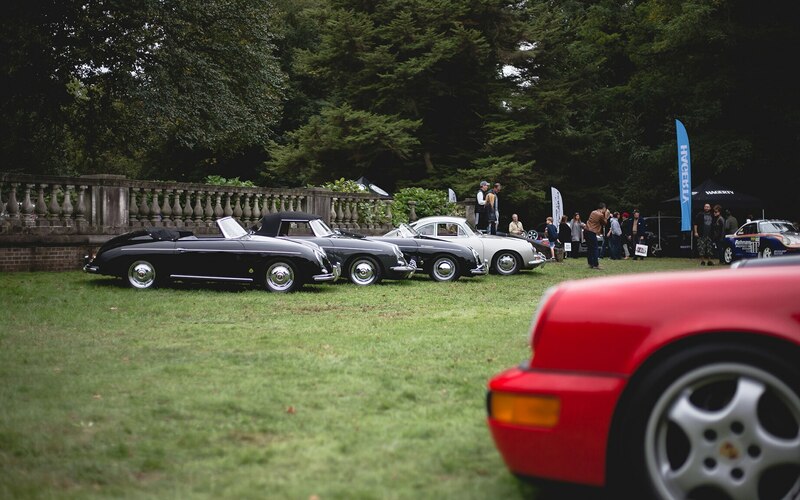 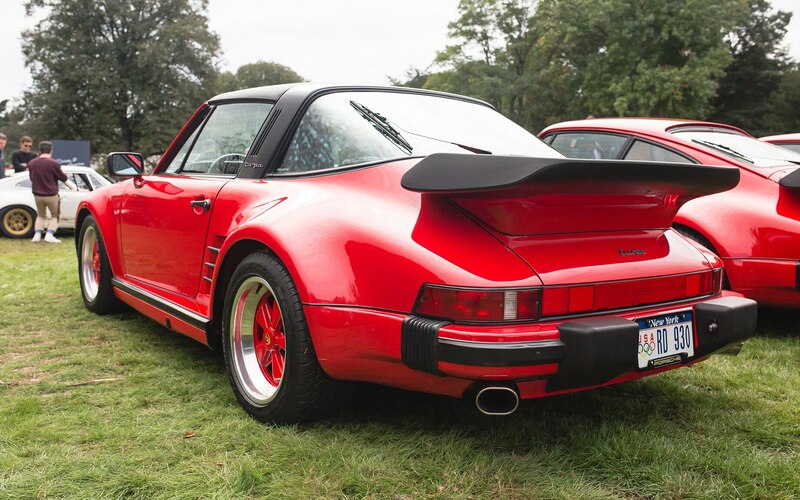 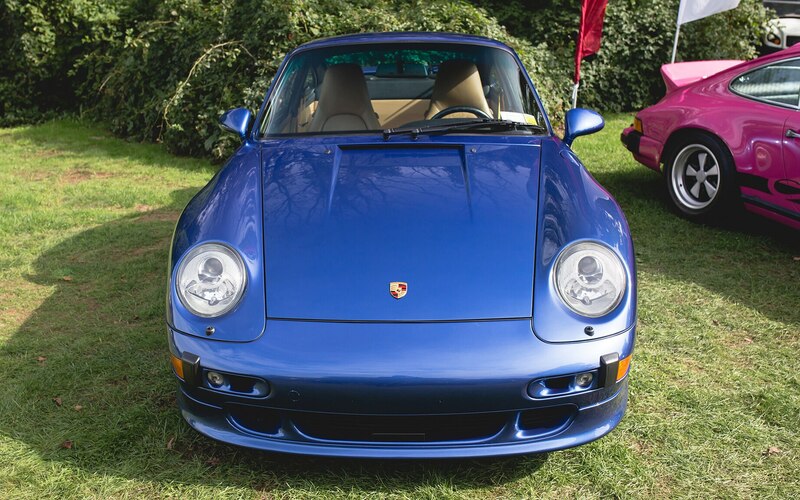 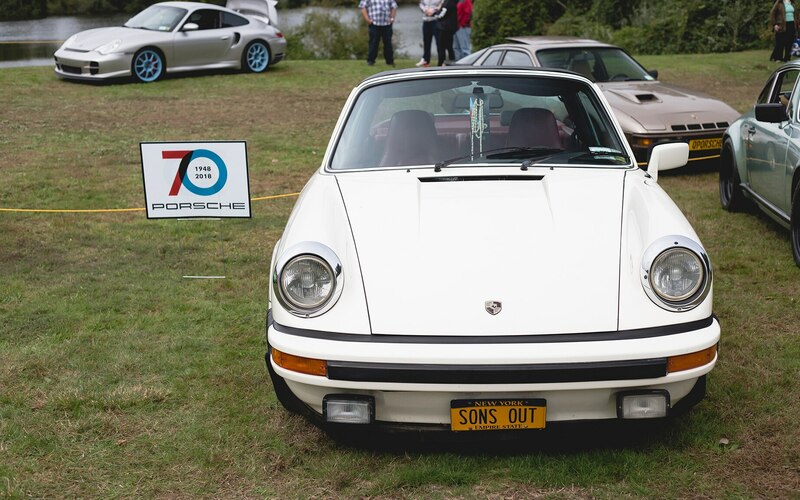 Set in the heart of western Long Island in the affluent neighborhood of Old Westbury, Driven to America is a Eurocentric automotive gathering dedicated mainly to celebrating air-cooled Porsches. 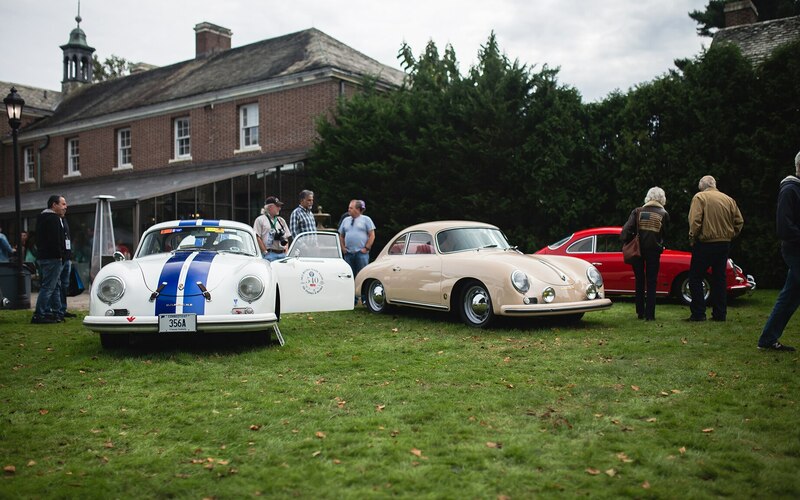 But this year, the event was a little different. 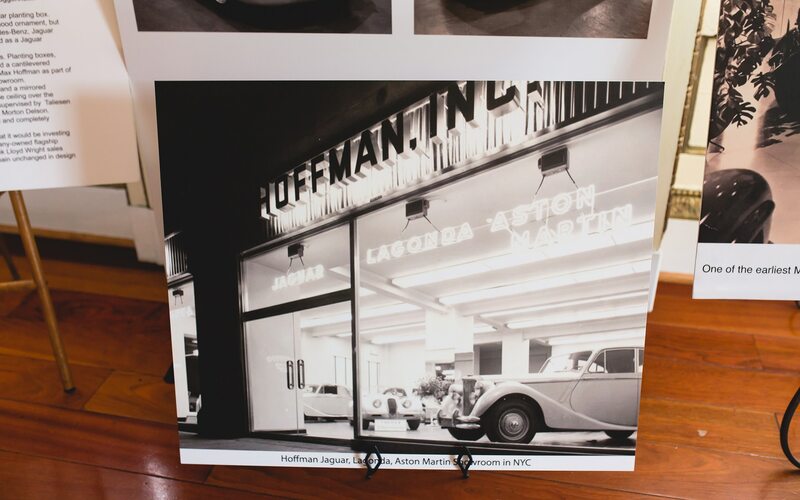 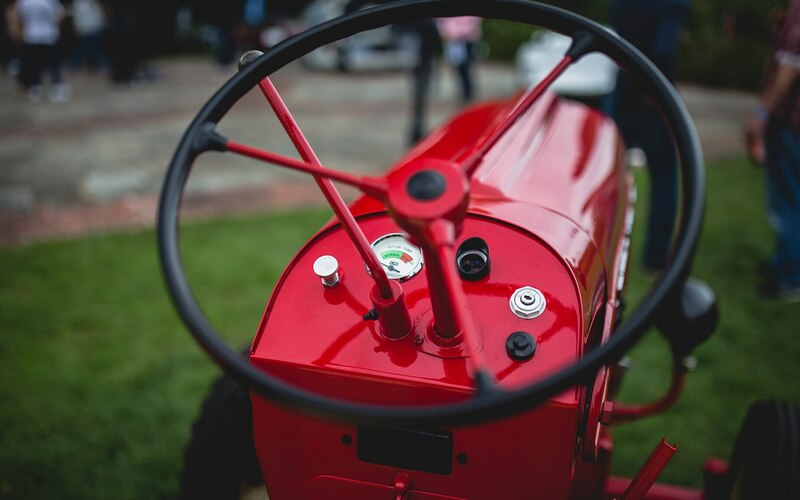 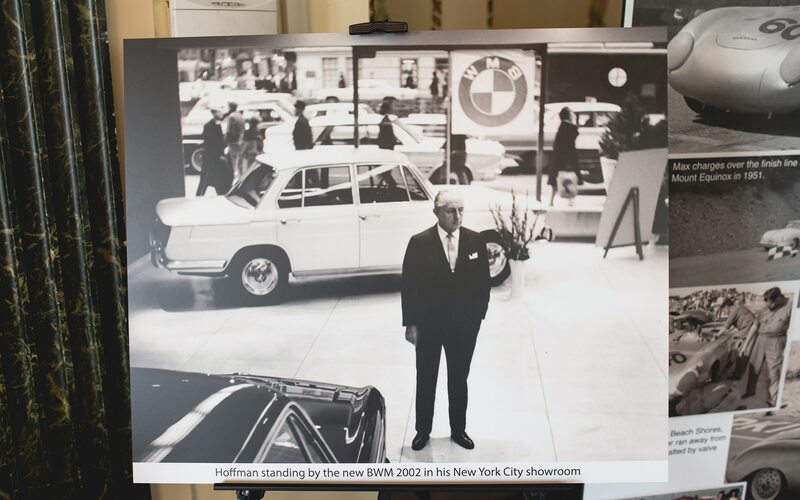 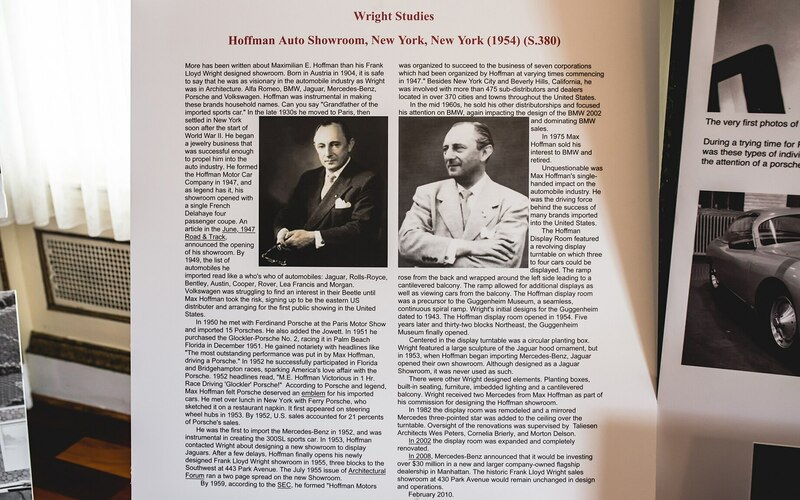 In addition to paying tribute to classic Zuffenhausen thoroughbreds, this year’s show also put efforts together to honor the man responsible for single-handedly opening America’s doors to the importation of foreign automobiles: a Mr. Maximillian Hoffman. 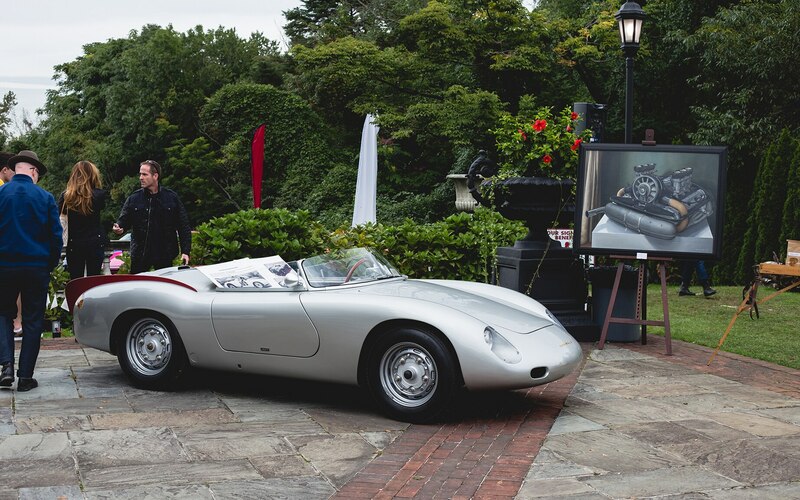 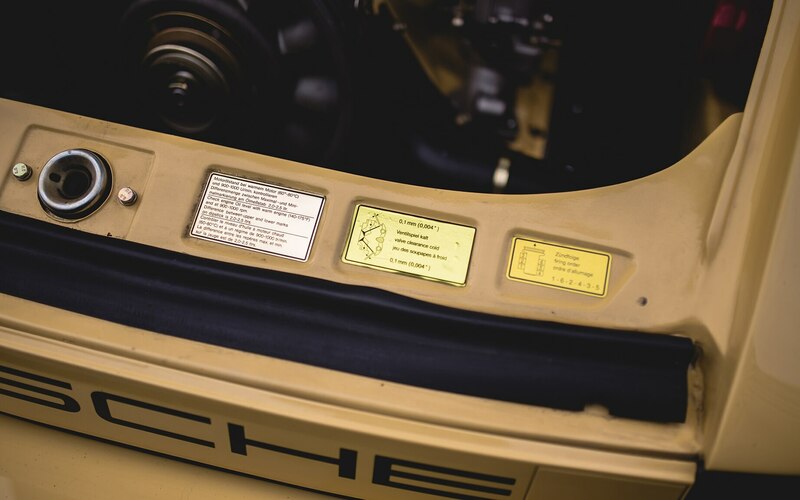 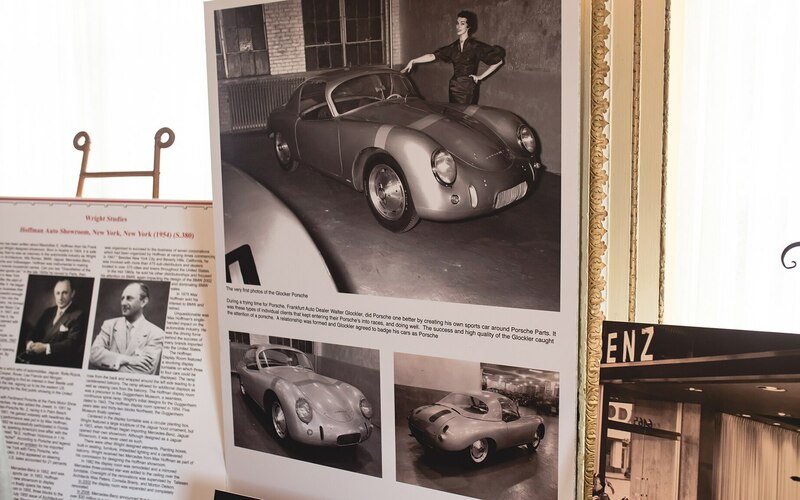 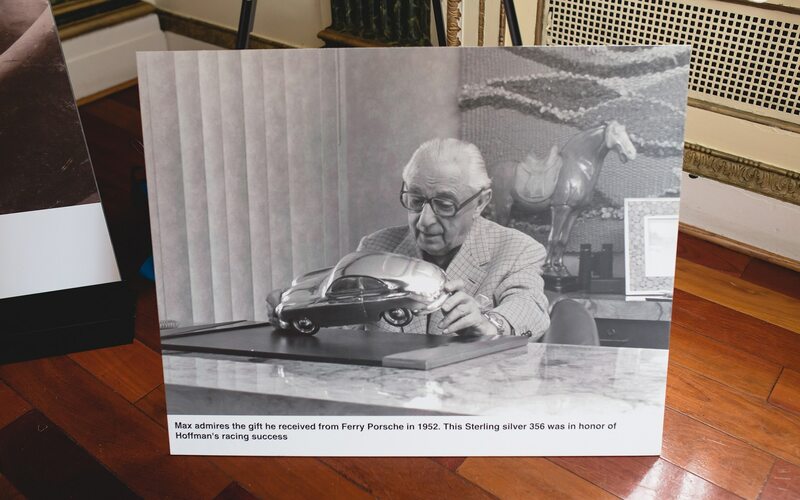 Porsche’s presence on U.S. soil as an automotive icon and a symbol for everything a luxury sports car should be would not exist without the efforts of Mr. Hoffman. 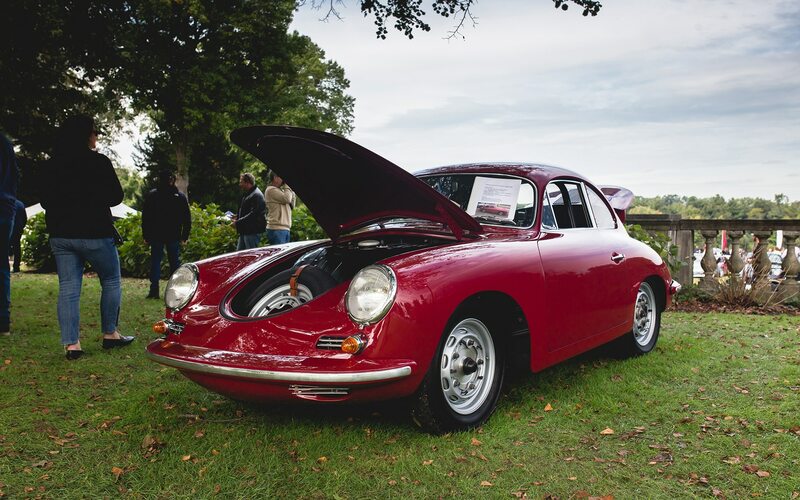 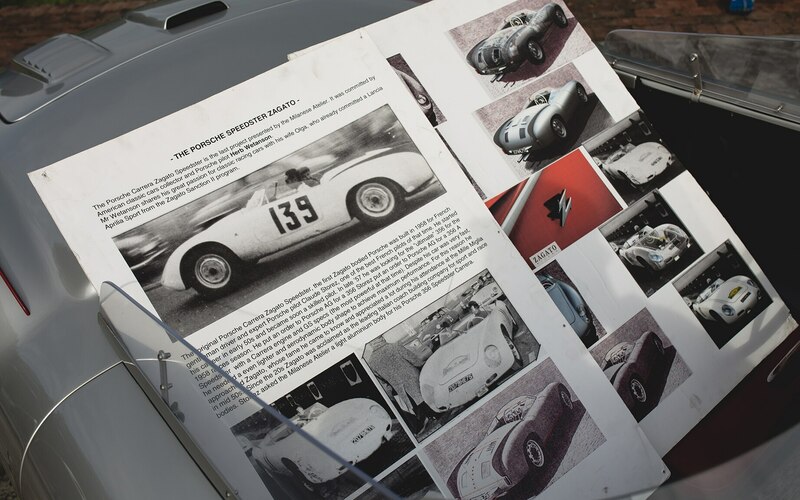 Given that this year, Porsche celebrates its 70th anniversary of building sports cars, beginning with the legendary Type 356-001 (-001 for signifying the first-ever example in prototype form) in 1948, it was only fitting for the show to go all-in with its tribute to air-cooled Porsches by summoning them to converge at the de Seversky Mansion for the second year in a row. 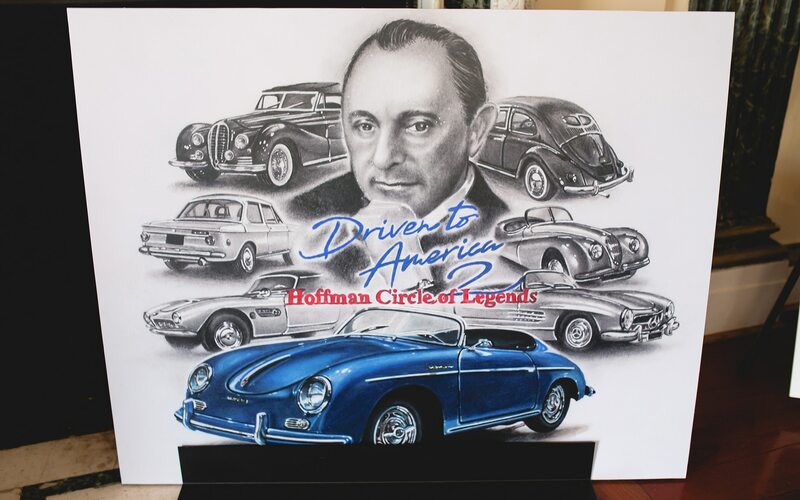 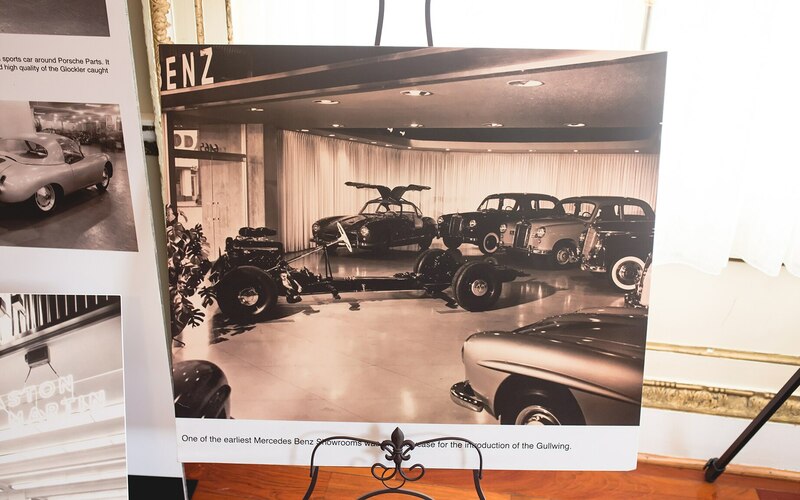 Hoffman may have initiated his legacy by introducing the Mercedes-Benz W198 300SL Gullwing and the W121 190SL to America, with the first-ever Gullwing being sold to none other than Briggs Cunningham. 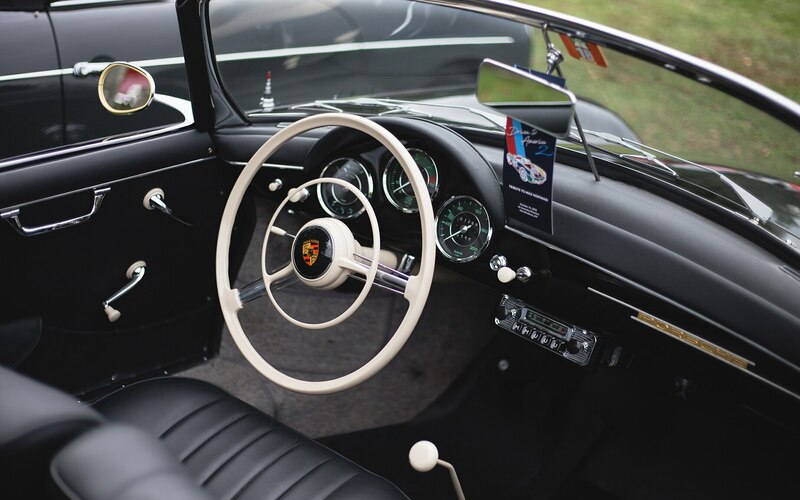 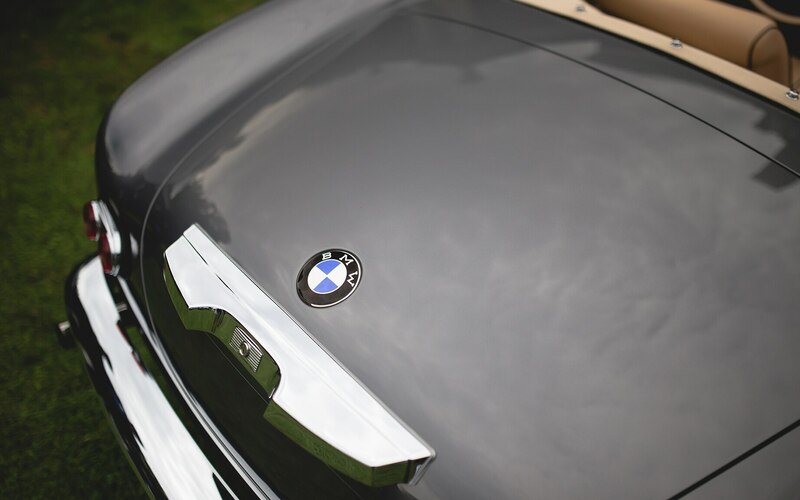 But his operation later led to America’s introduction to the Porsche 356, the Volkswagen Beetle, and the BMW 507. 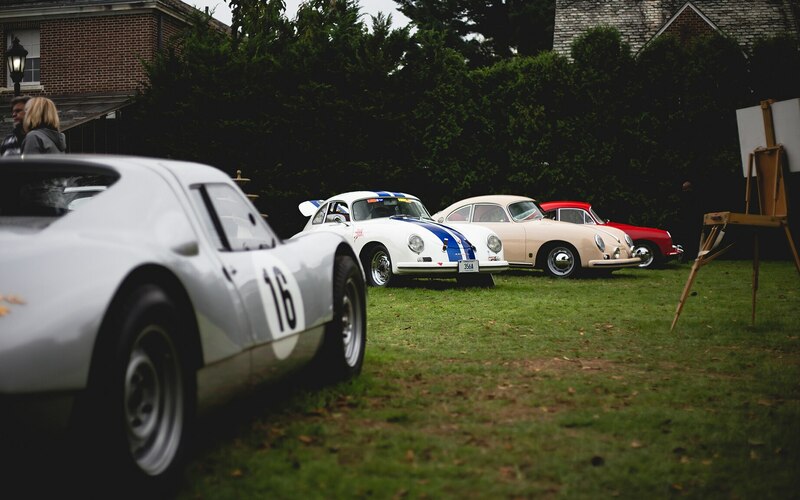 Since then, as they say, the rest is history. 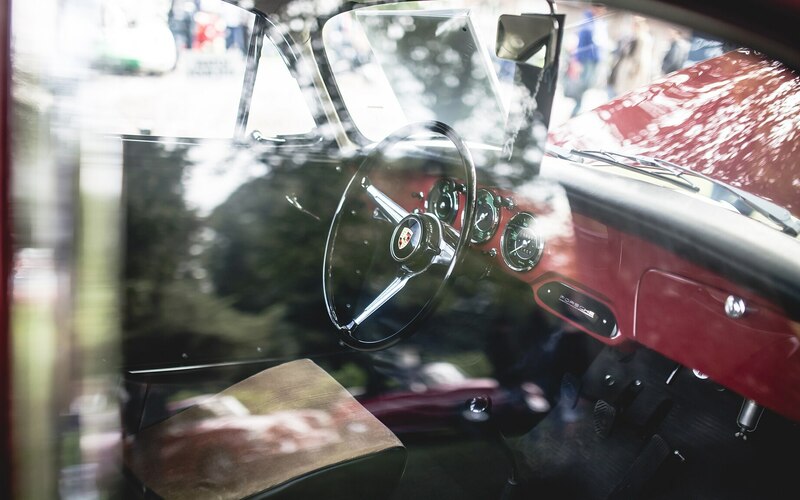 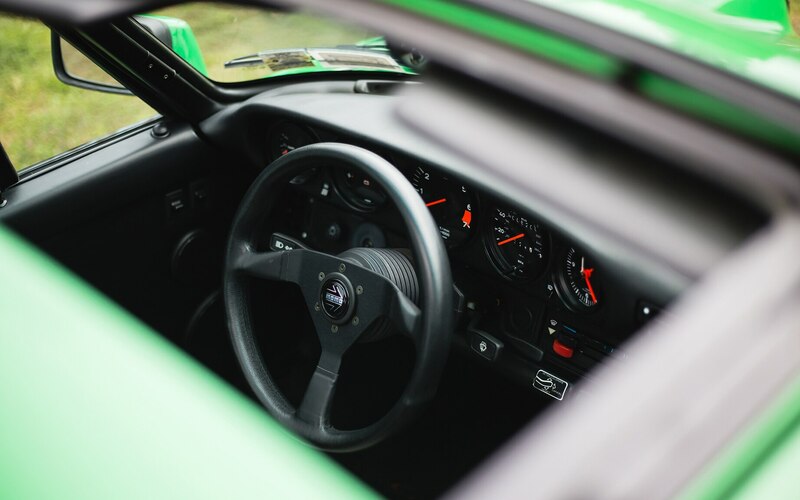 From early 356s, to the hardly-loved 914, and all the way through to the later and purist-lamented water-cooled cars of the post-millennium. 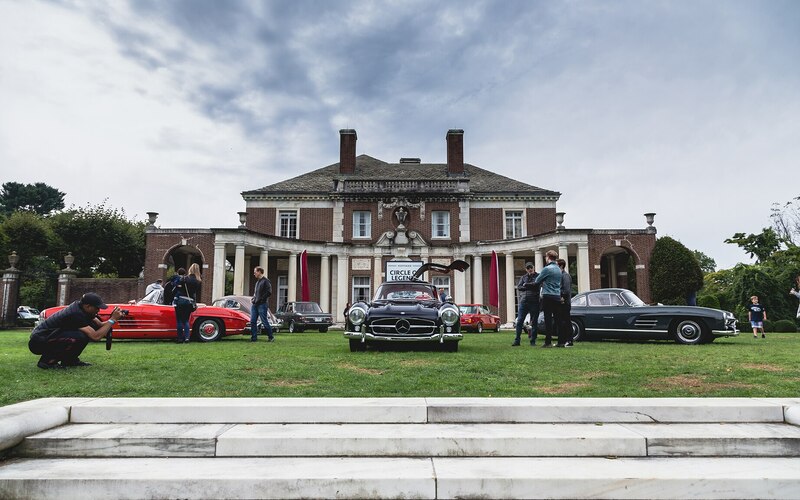 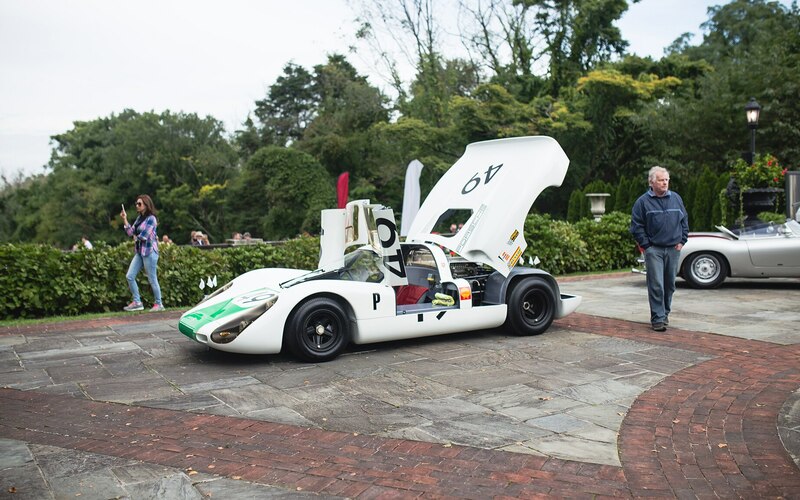 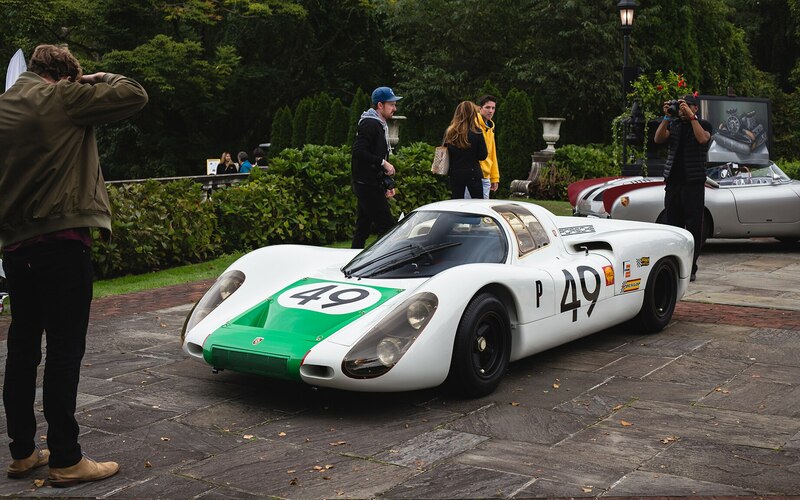 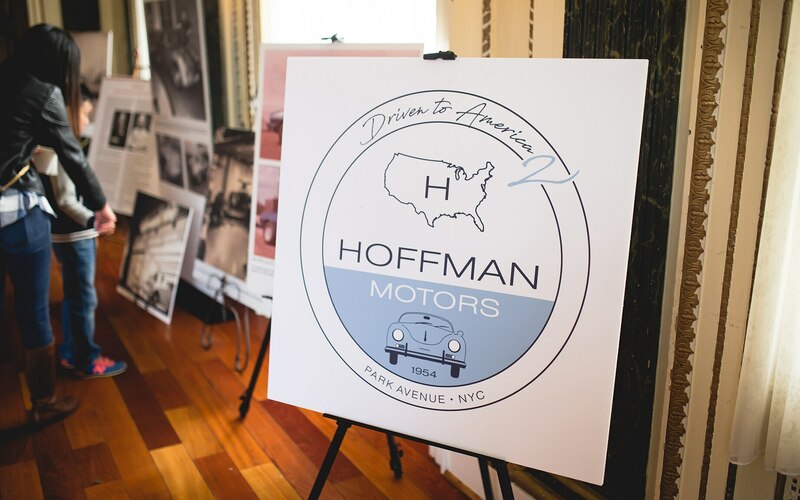 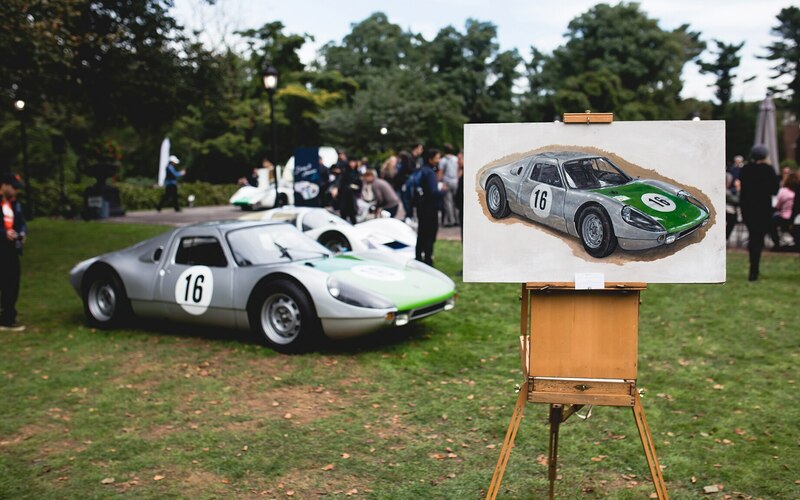 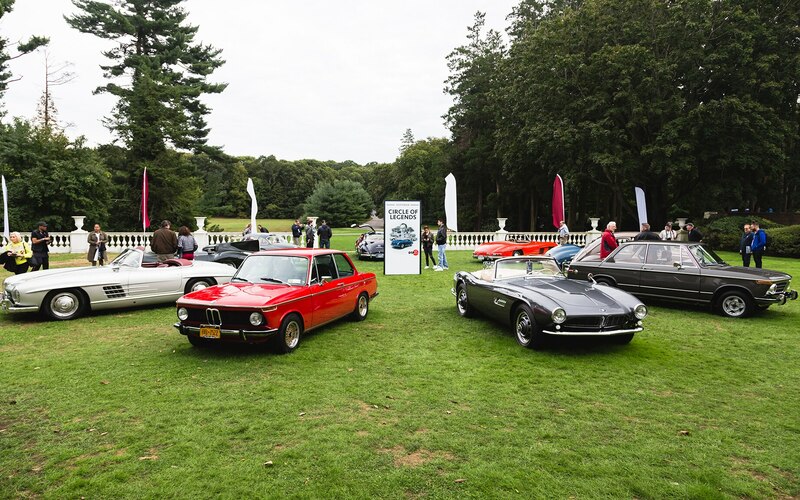 Hundreds of world-renowned P-Cars festooned the grounds of the de Seversky Mansion grounds to pay tribute to Mr. Hoffman and his legacy. 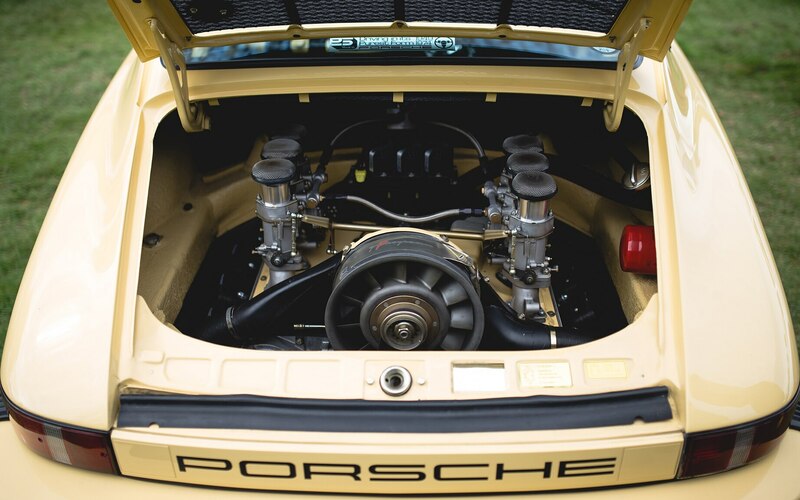 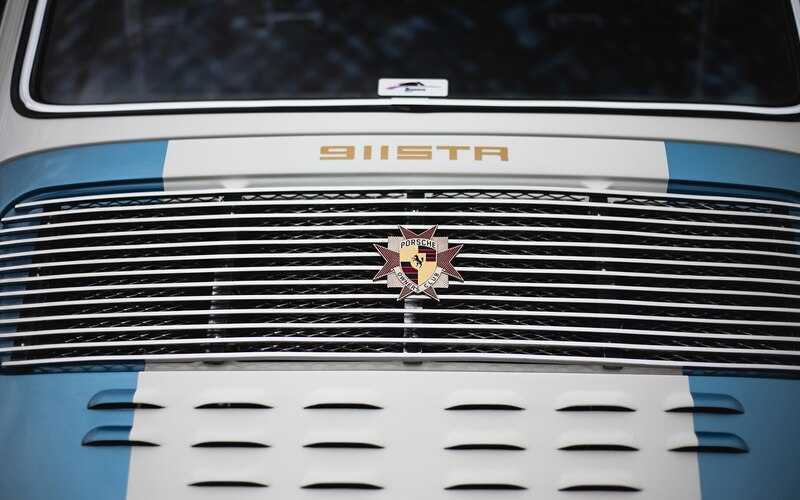 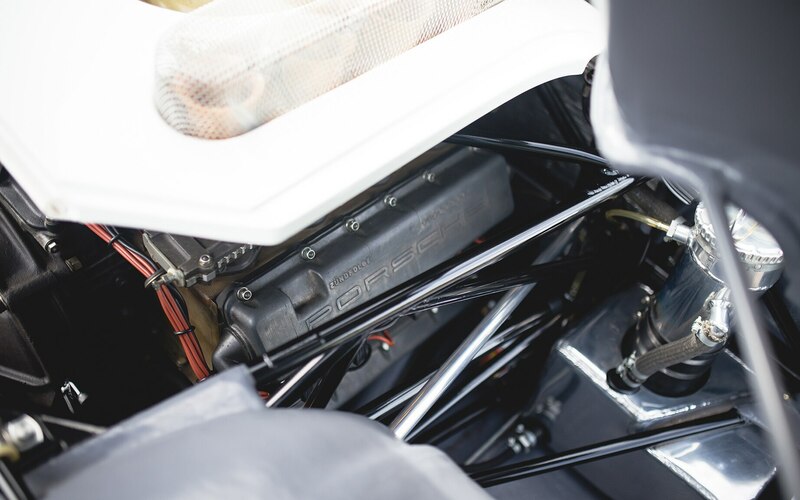 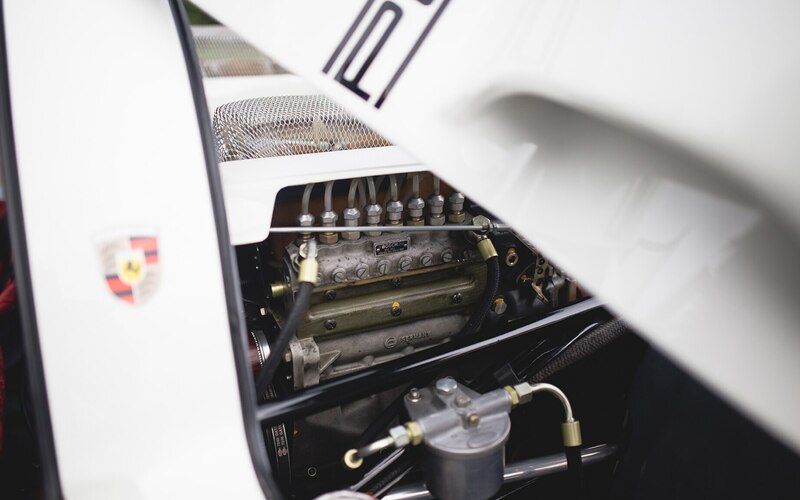 And while Porsche’s strong history isn’t just isolated to the rear-engine 356 and the 911 platform. 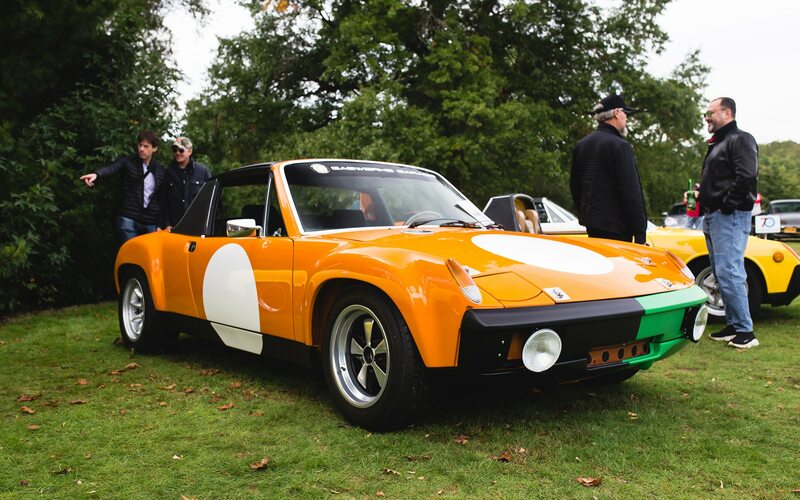 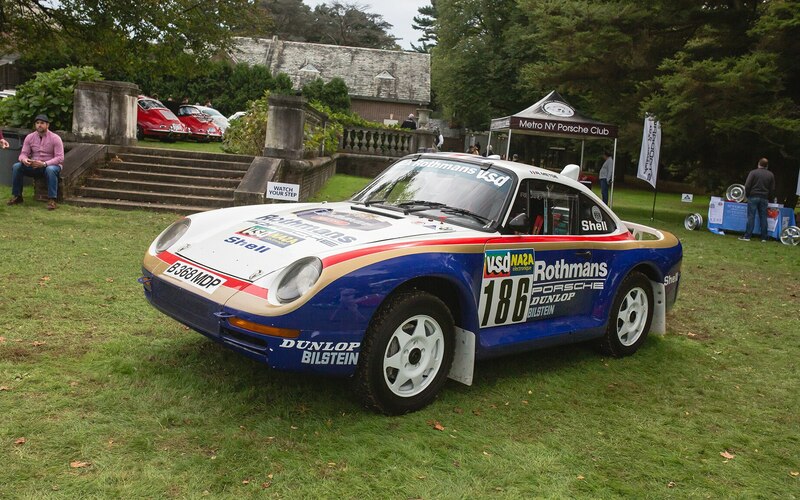 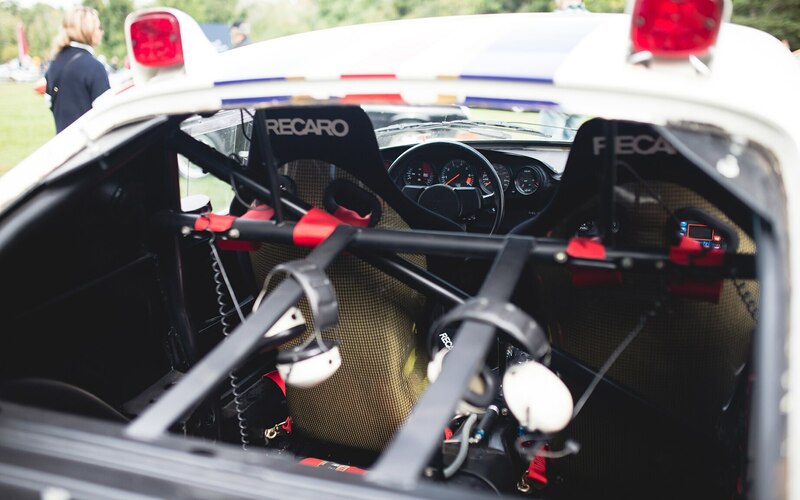 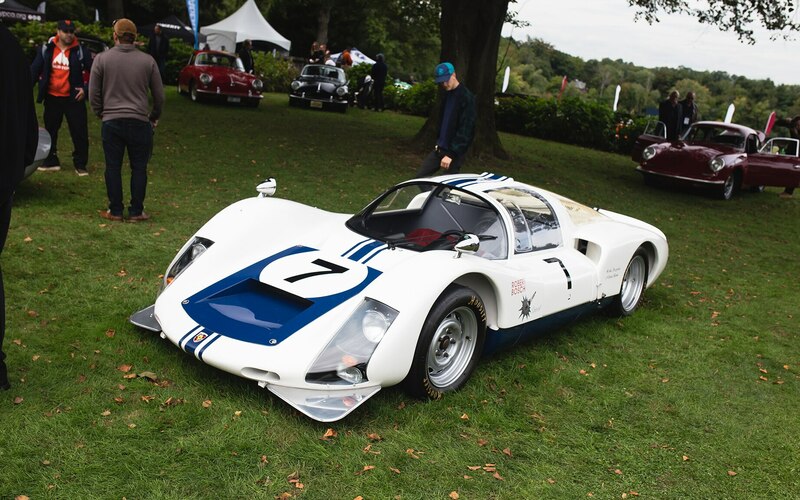 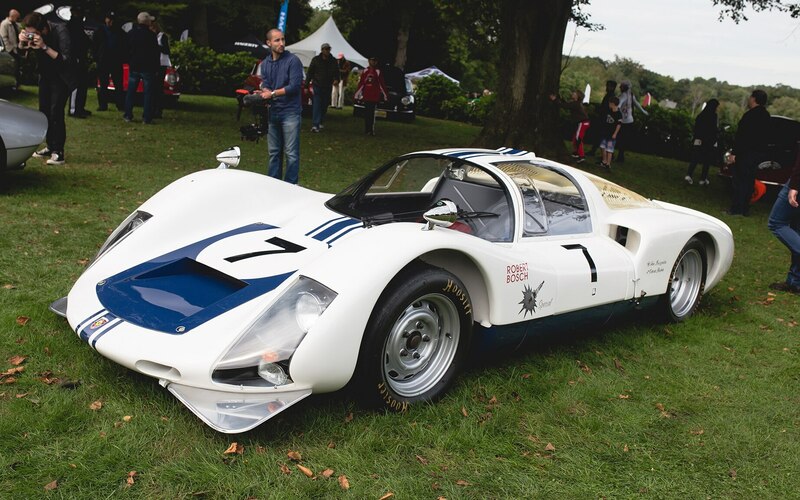 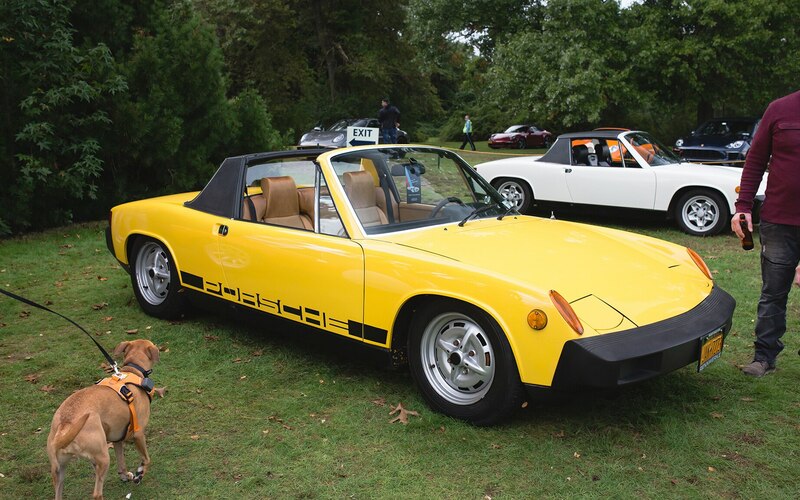 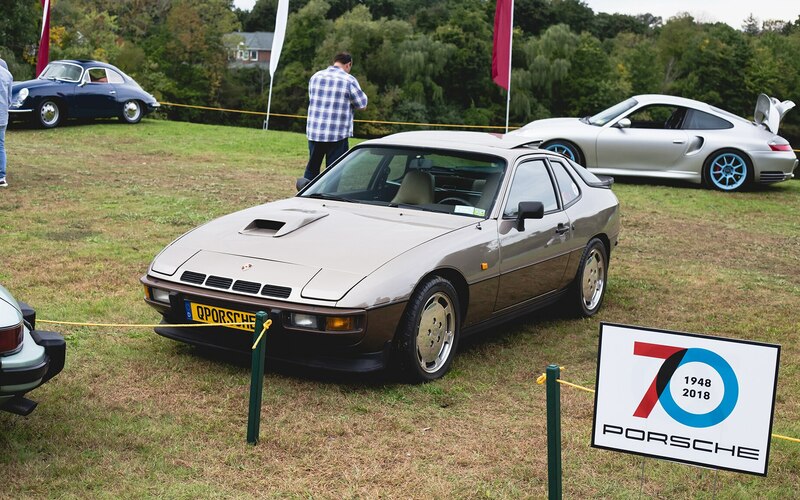 Other show cars included the a few four-cylinder 912s, front-engine 944s, and a couple of 928s. 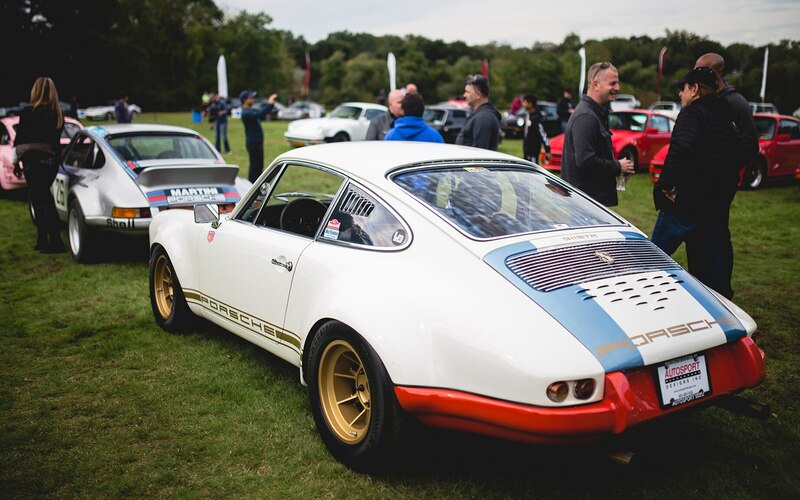 And naturally, renowned celebrity Porsche owner and enthusiast, Magnus Walker, was in present among the 2,000-plus attendees. 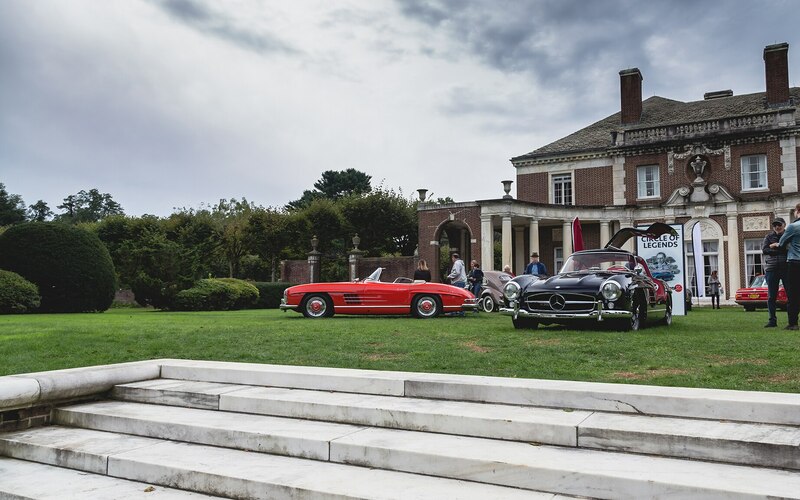 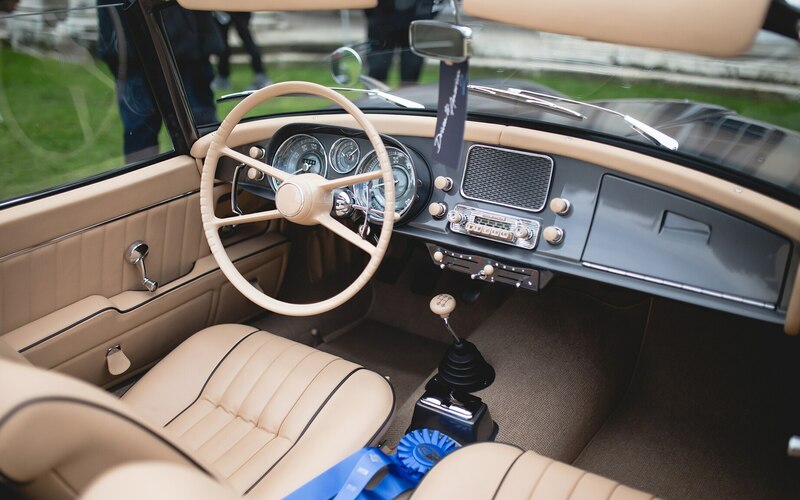 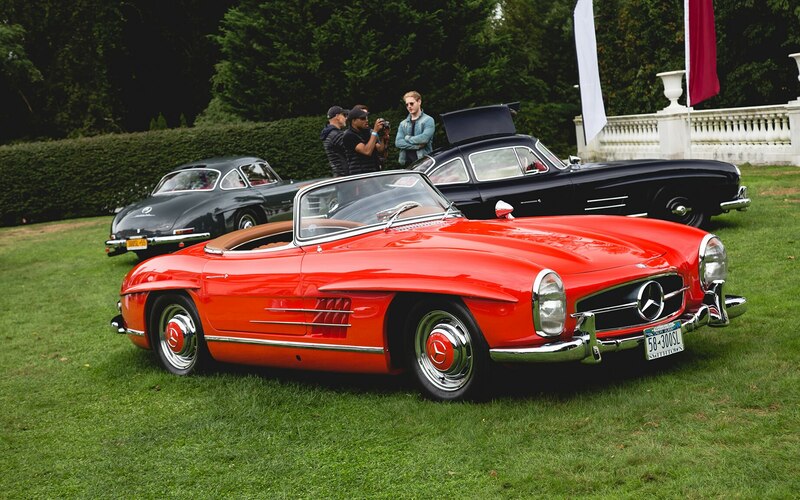 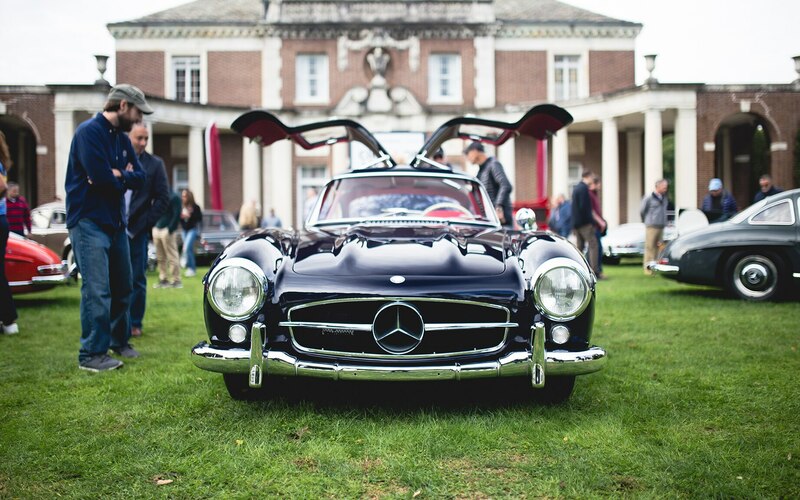 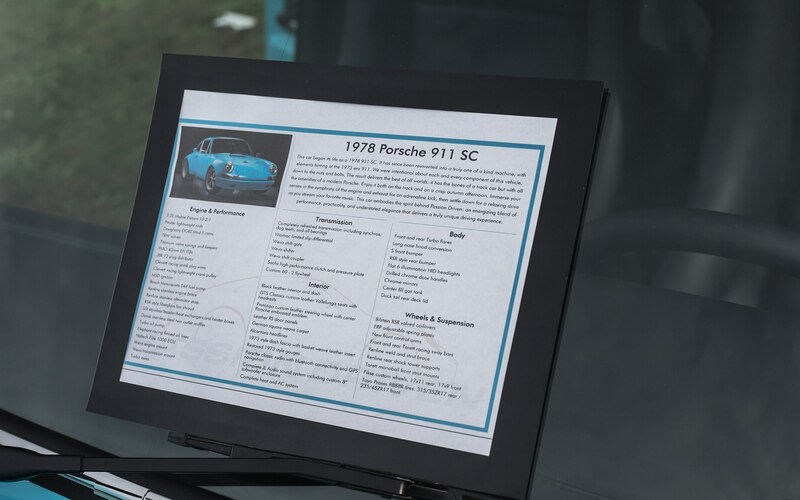 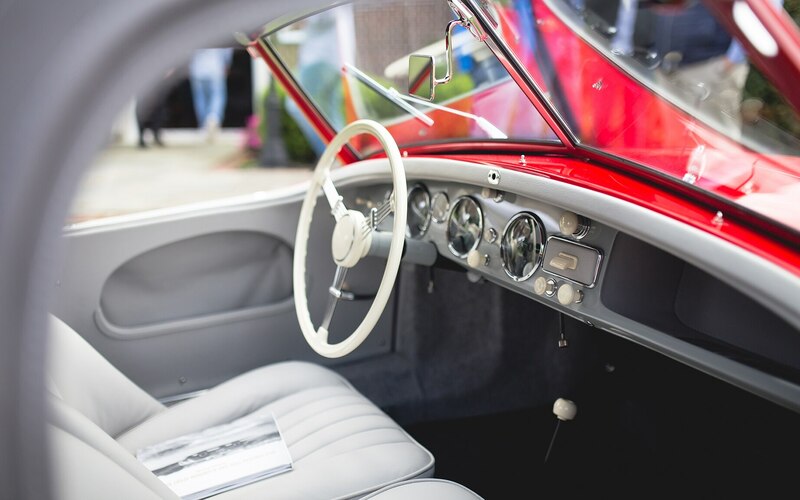 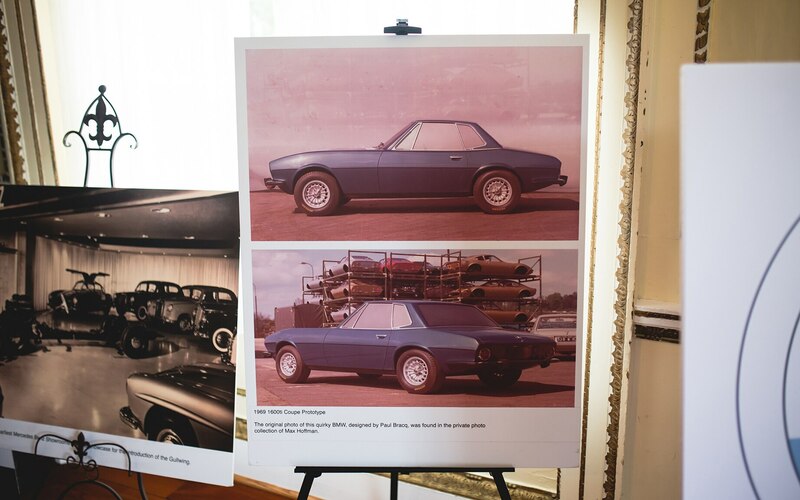 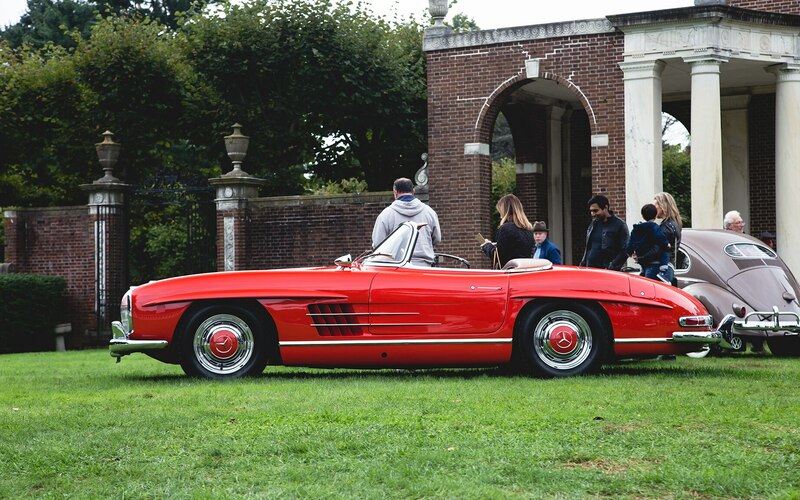 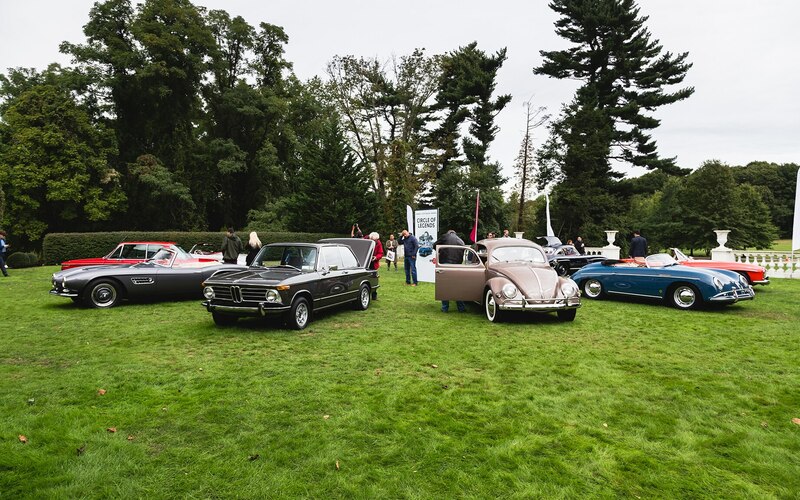 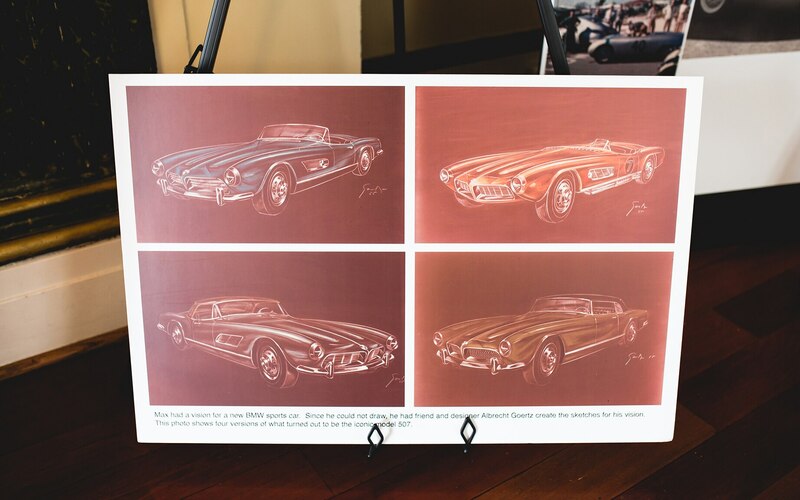 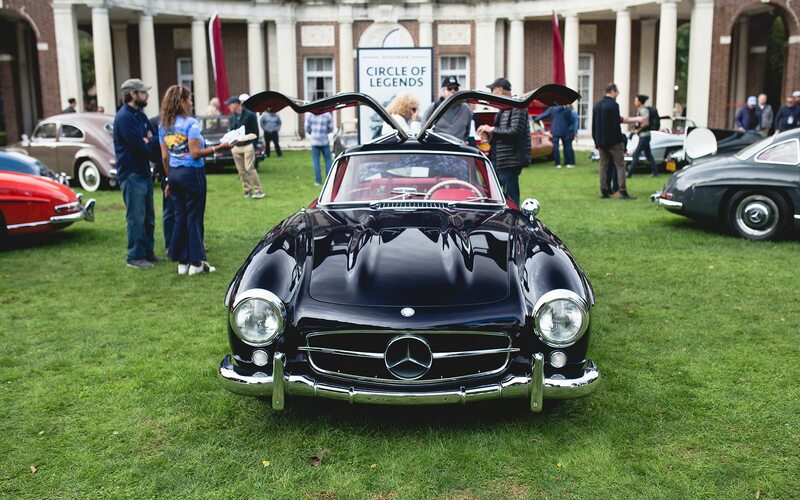 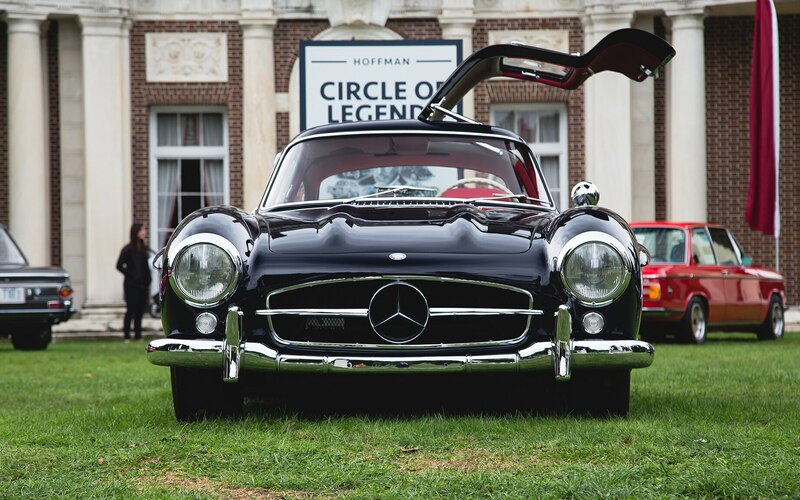 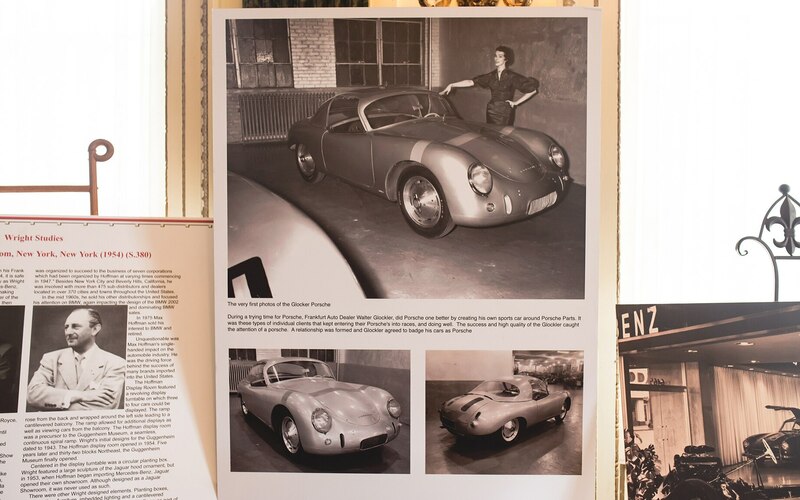 New to this year’s celebration was the display of Max Hoffman’s Circle of Legends, showcasing the other key cars that essentially rooted America’s love affair for German automobiles: a Mercedes-Benz 300SL, a BMW 507, and even an original Volkswagen Beetle. 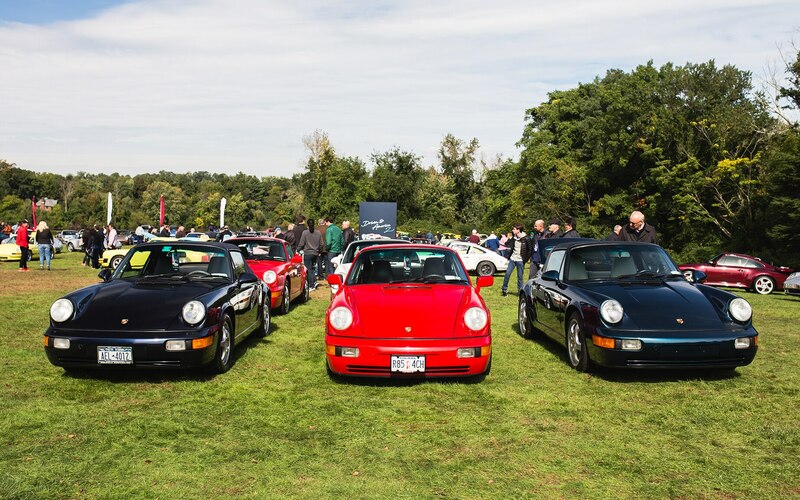 Additionally, our friends at Hagerty hosted a live discussion panel, analyzing the current and future status of the classic Porsche market. 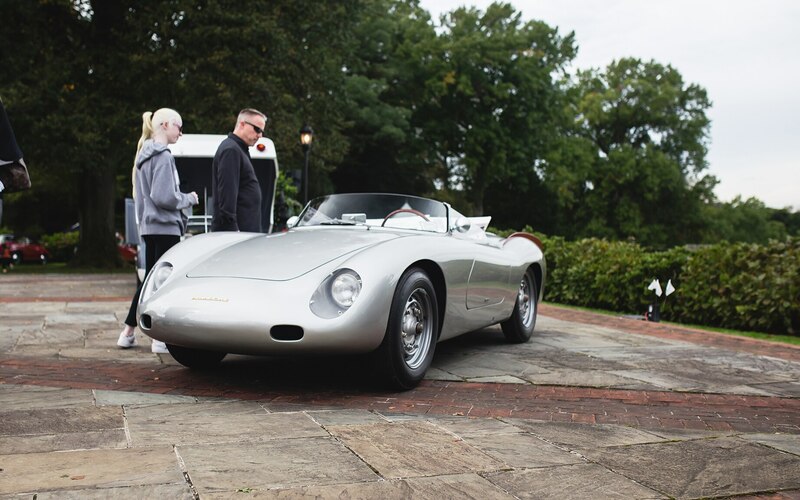 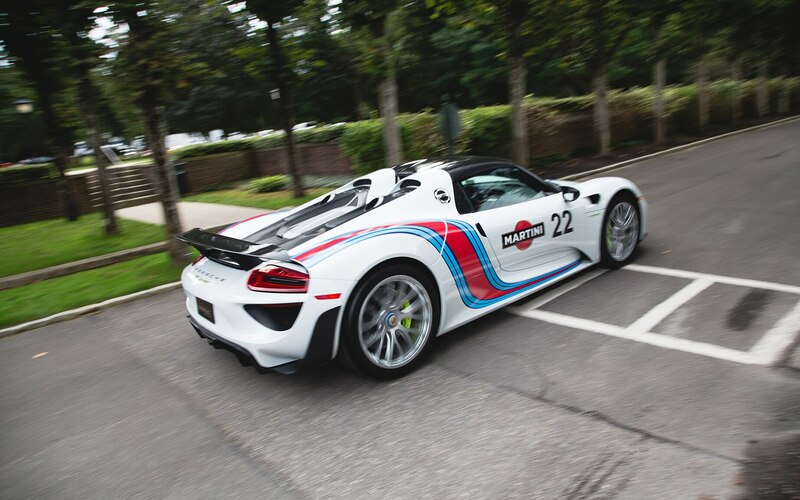 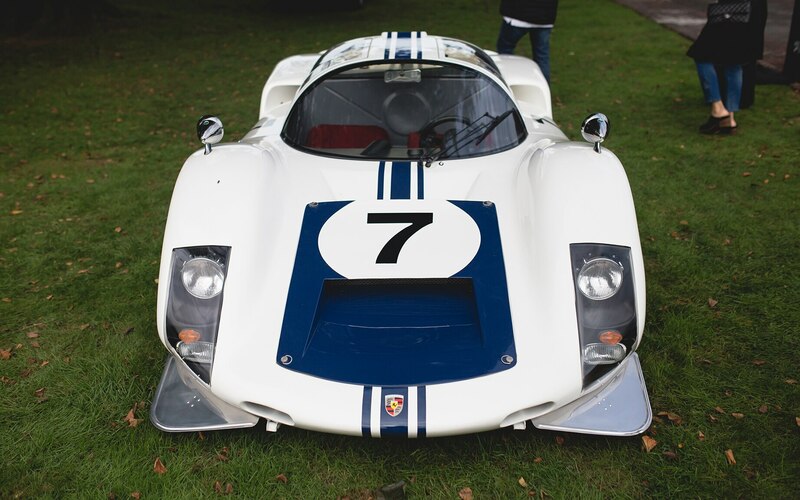 The forum included renowned editor, Larry Webster; dedicated Porsche enthusiast and racer, Prescott Kelly; Porsche Classic Center Manager, Ray Shaffer; and award-winning automotive scholar, Cam Ingram. 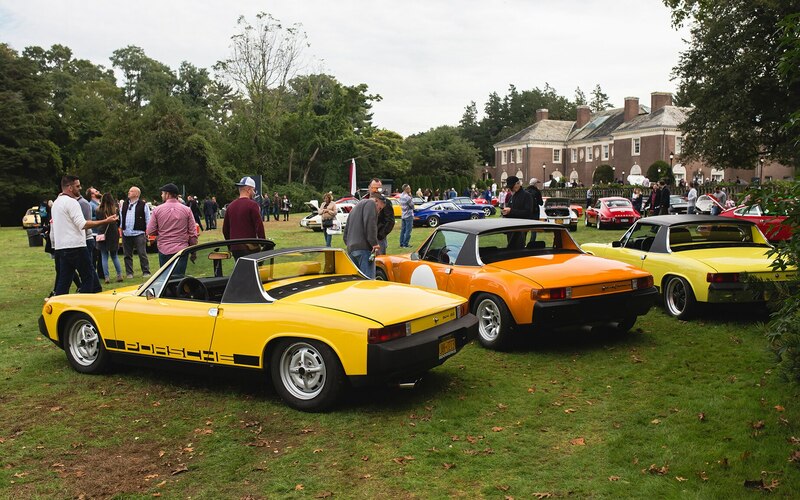 In case you missed the incredible spectacle that occurred on October 14, 2018 in the heart of Nassau County, we gathered up a massive photo gallery for your viewing pleasure. 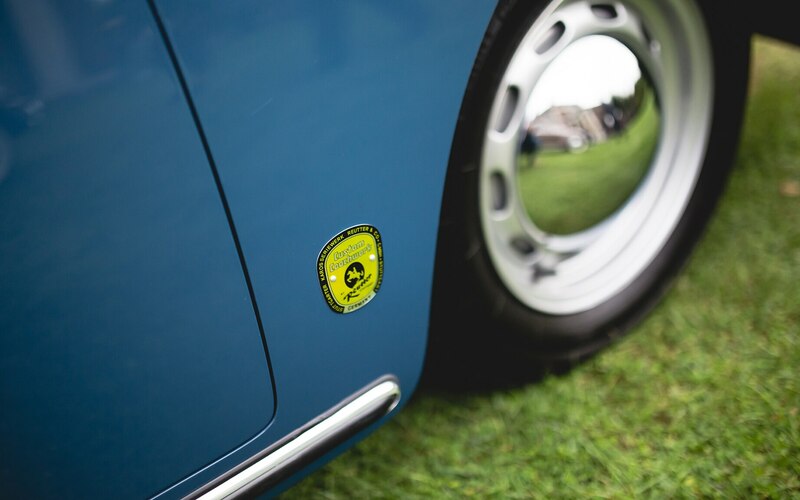 And if you own an air-cooled P-Car and or would just like to attend next year’s show, be sure to follow Driven to America, who plans to return next year.